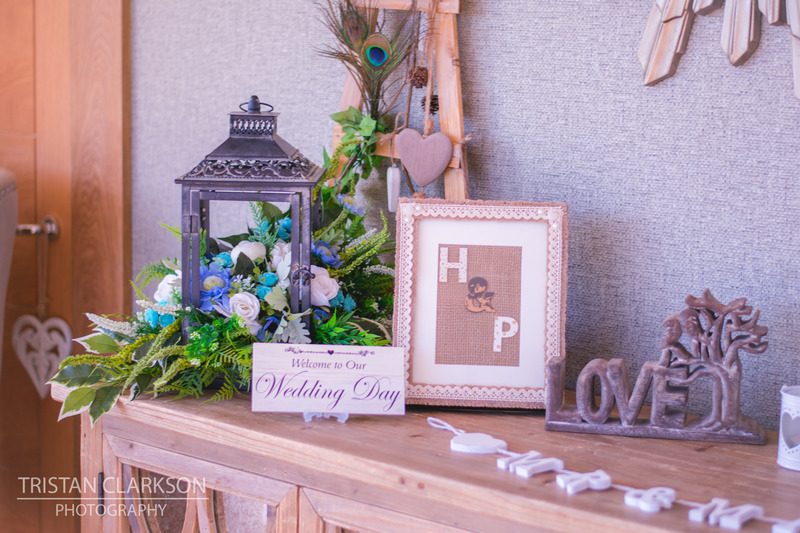 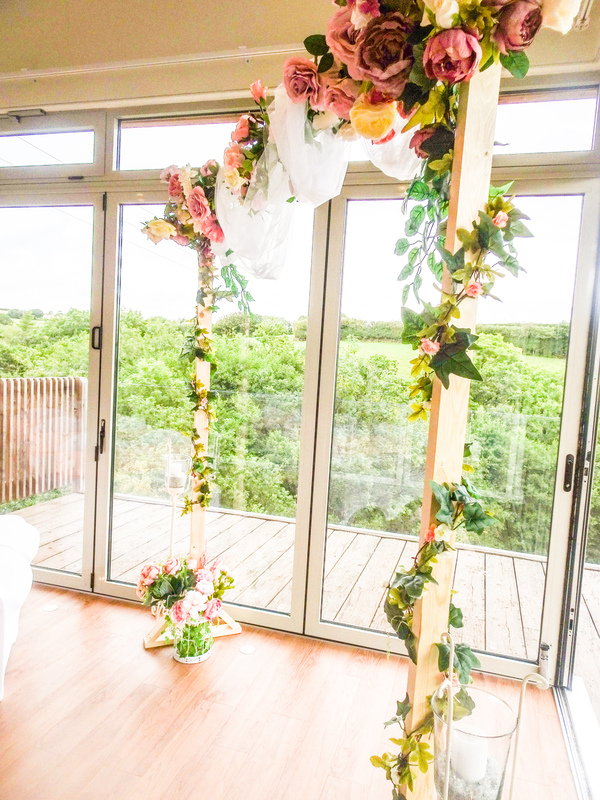 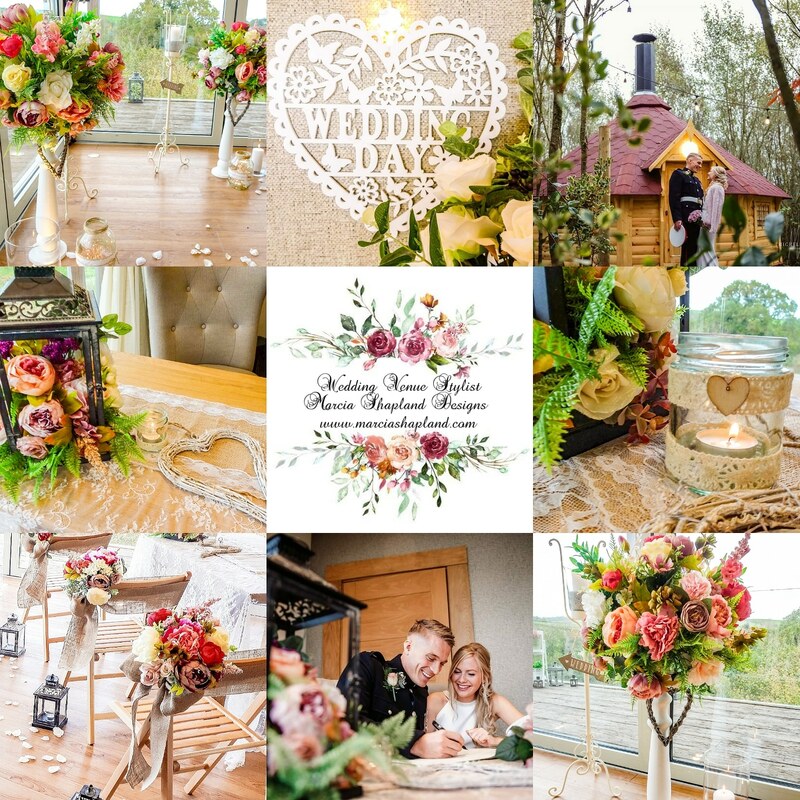 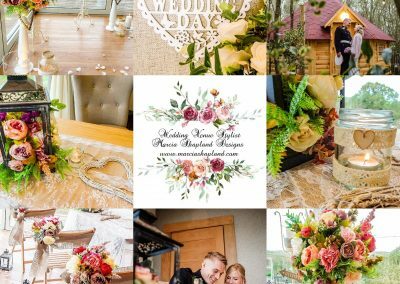 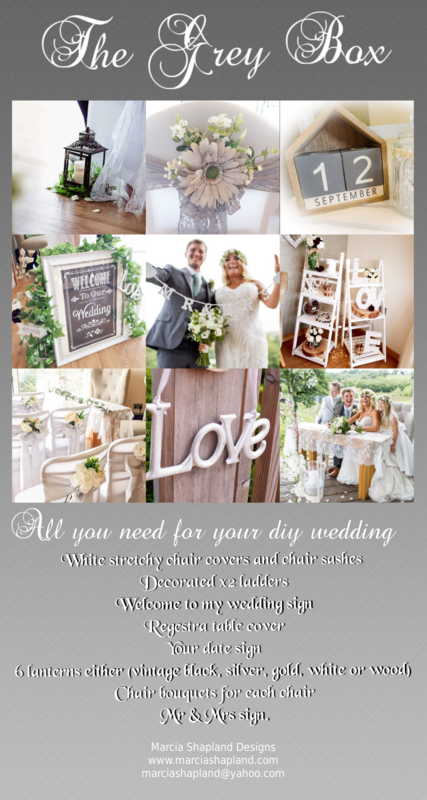 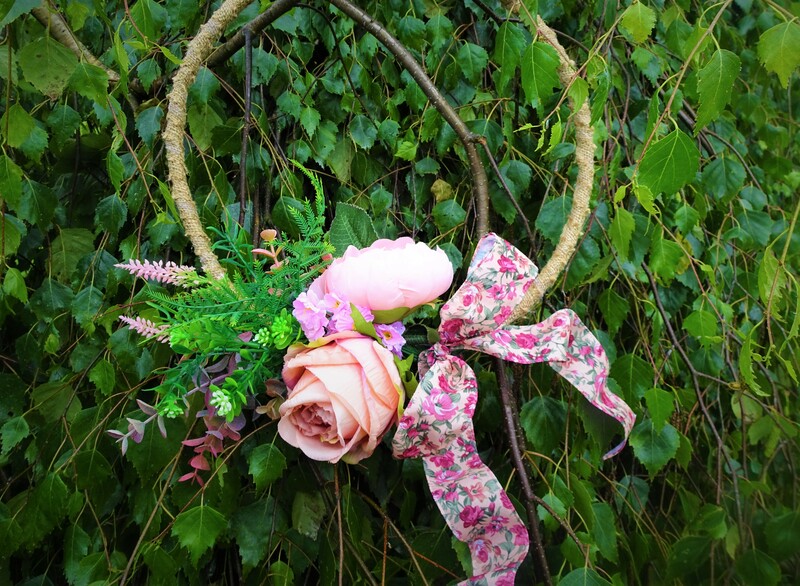 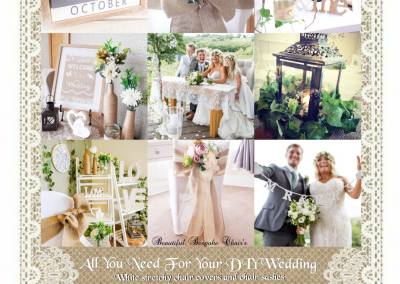 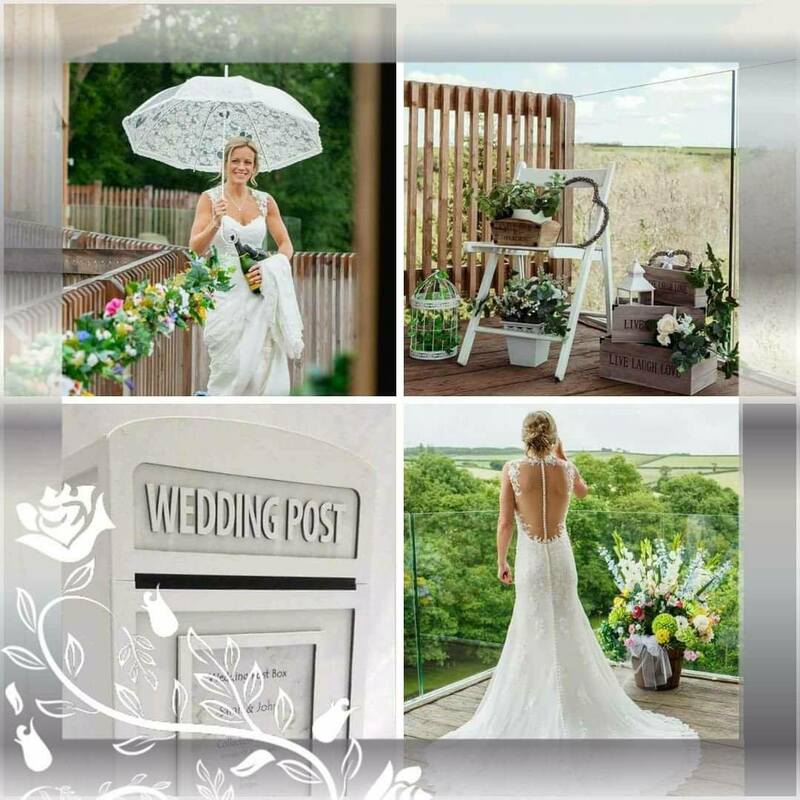 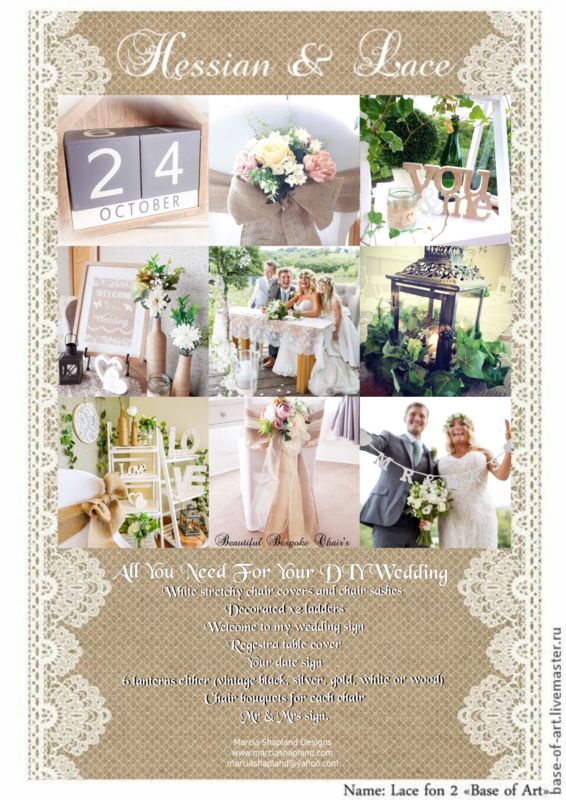 Based in Barnstaple, North Devon, I offer a complete wedding & events styling service across the United Kingdom. 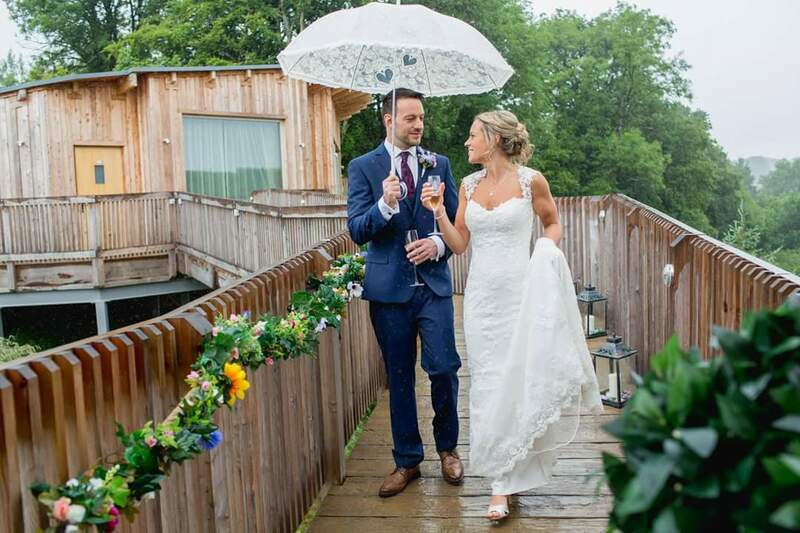 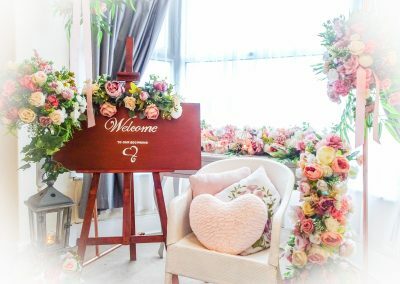 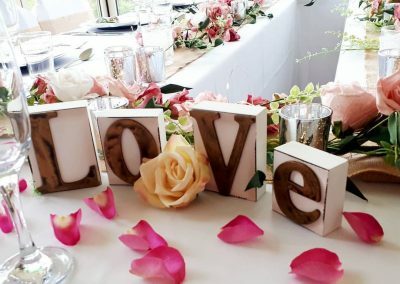 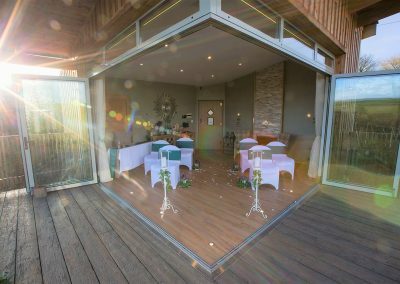 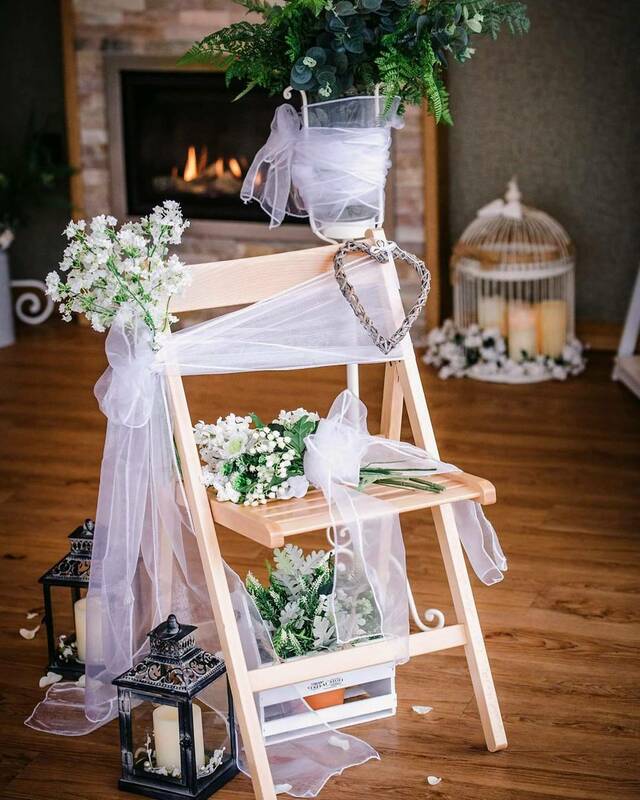 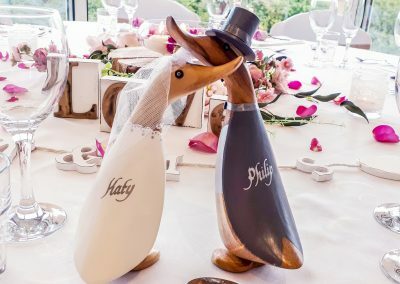 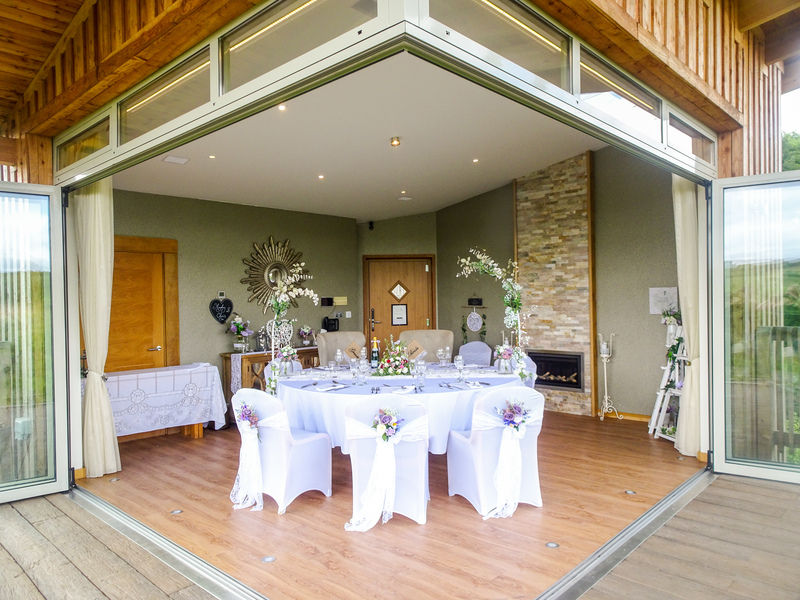 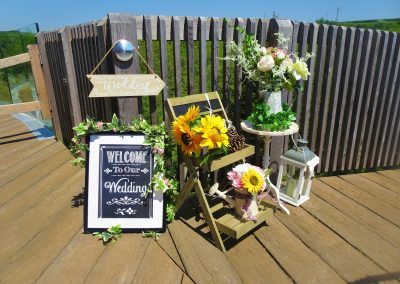 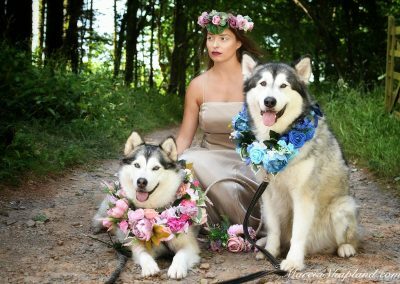 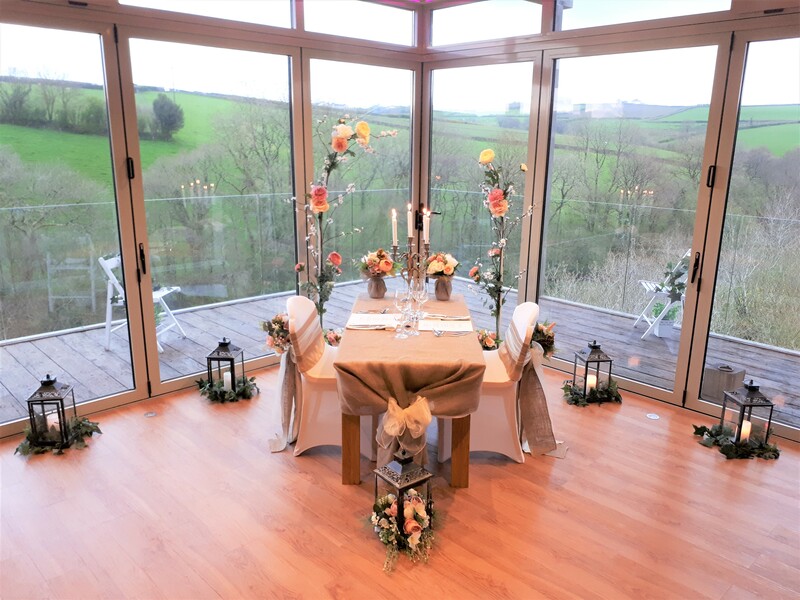 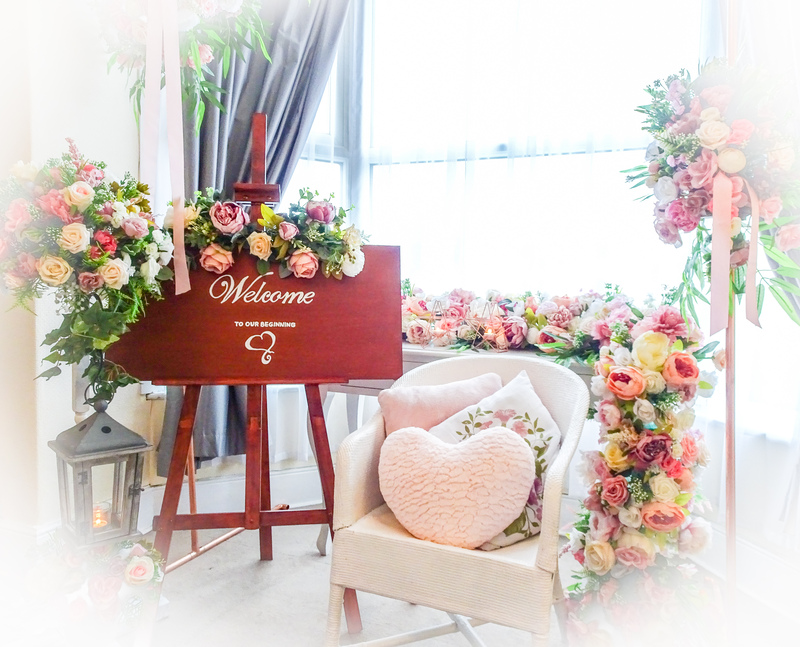 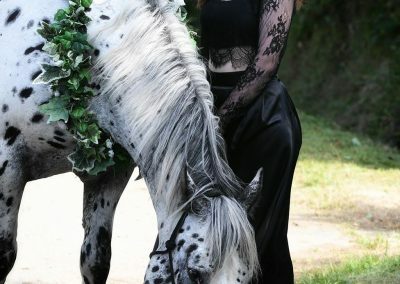 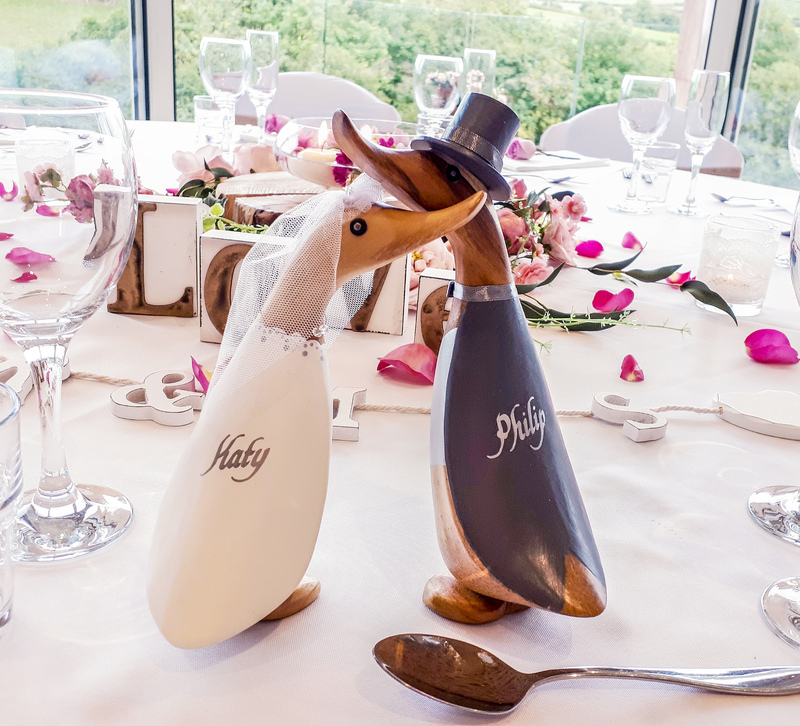 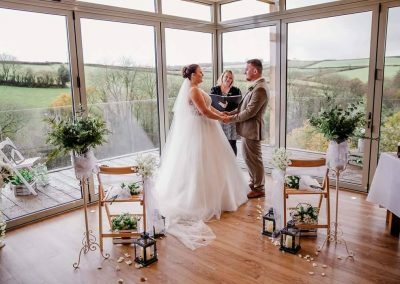 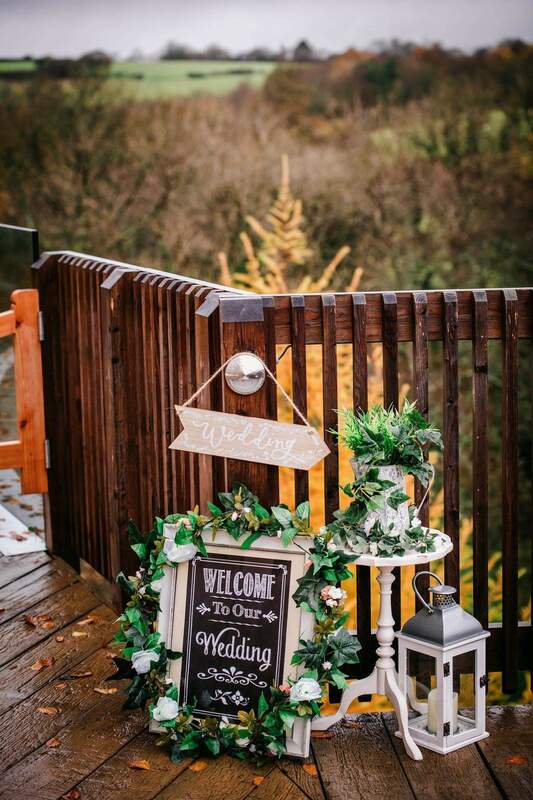 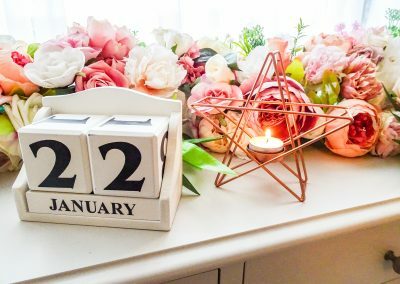 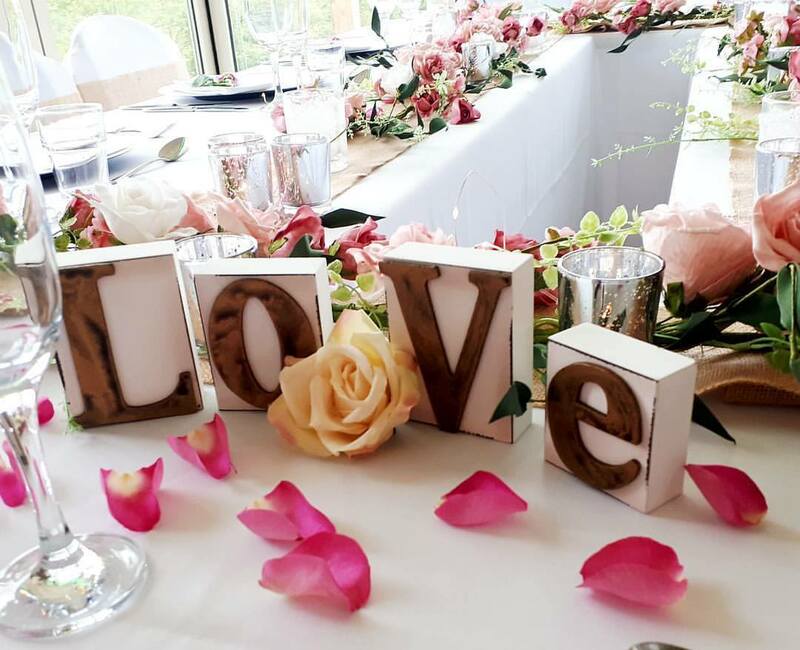 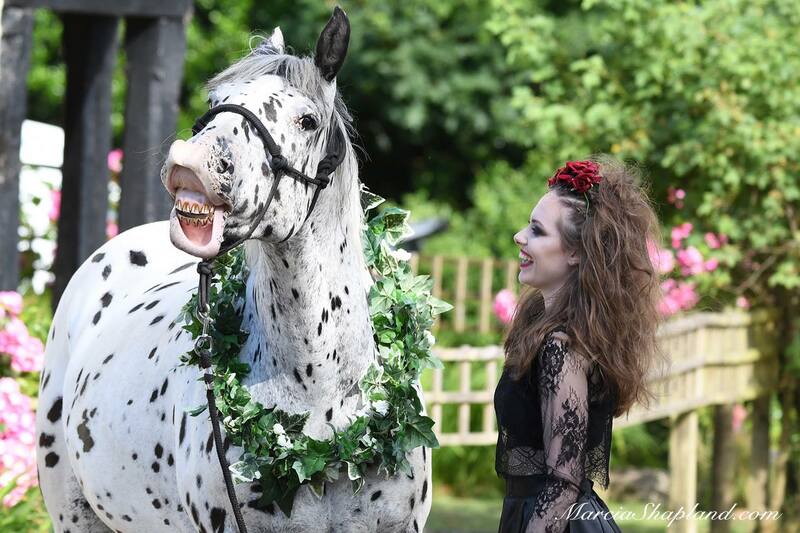 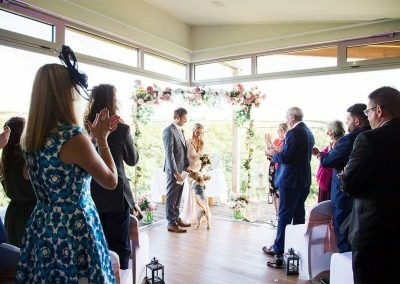 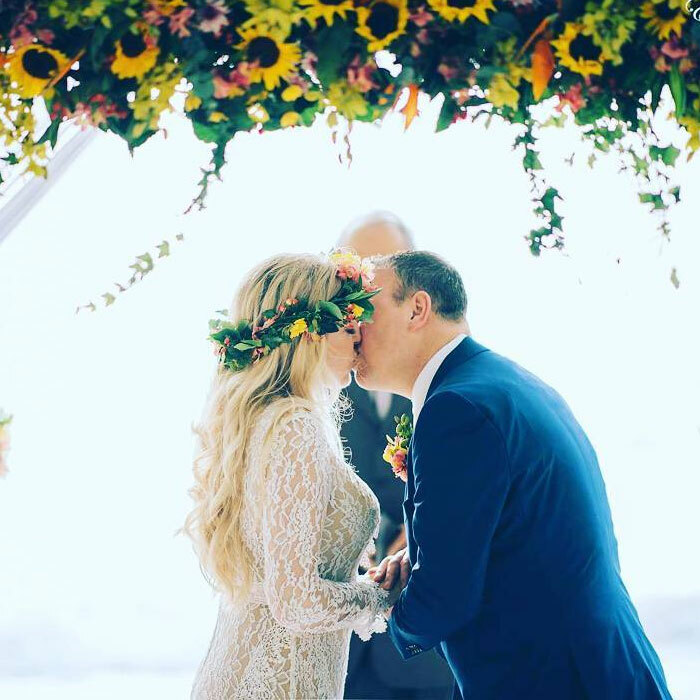 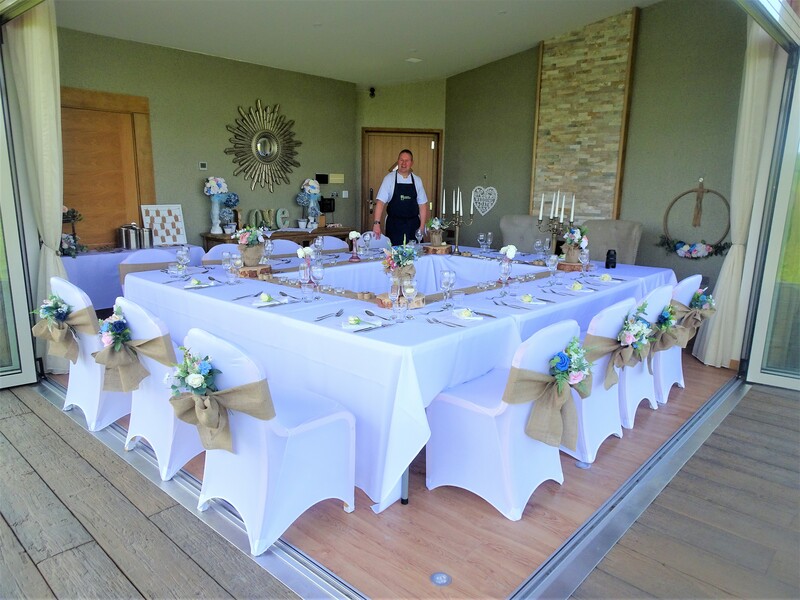 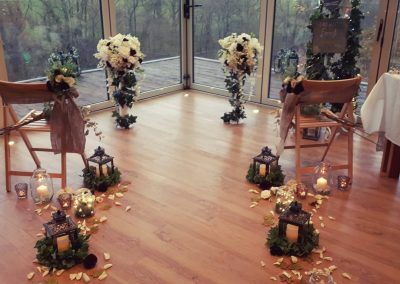 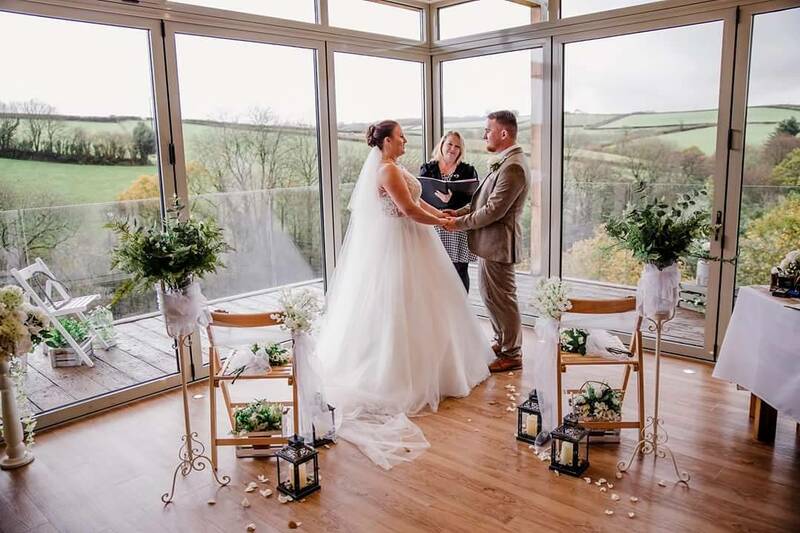 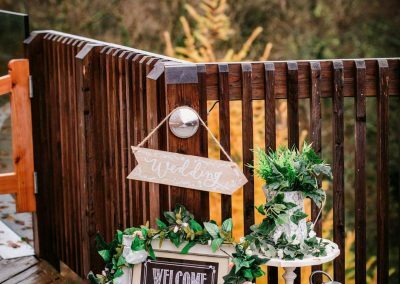 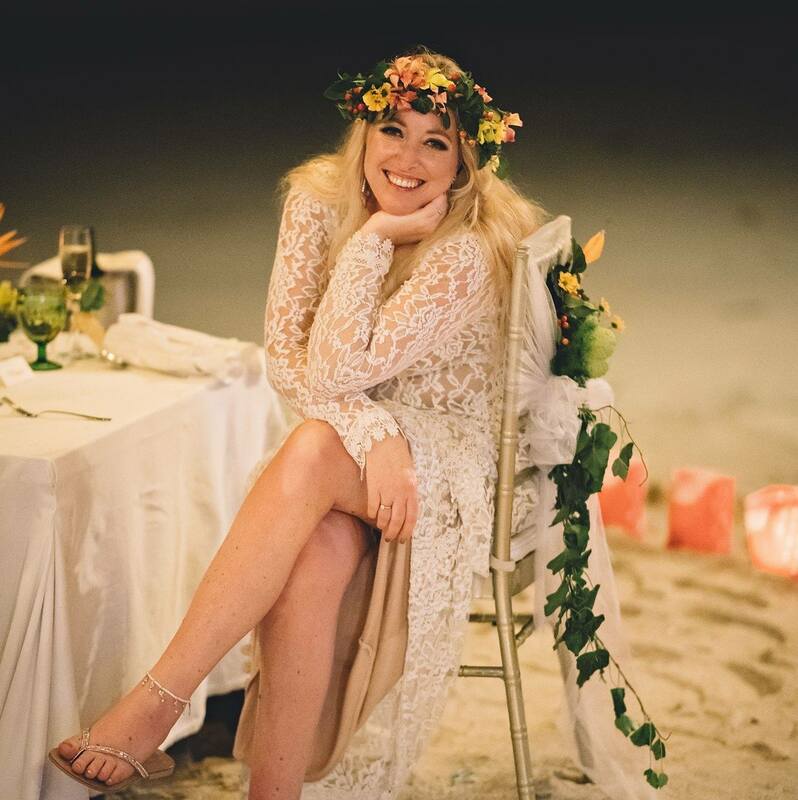 I am able to turn your chosen wedding or events venue into the setting you always dreamed of – With attention paid to every slightest detail to ensure your special day is as magical as you deserve. 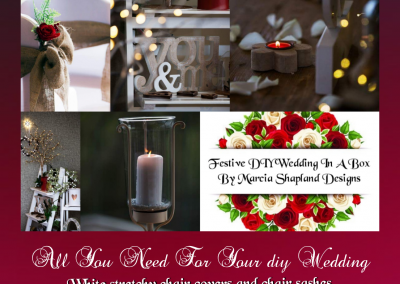 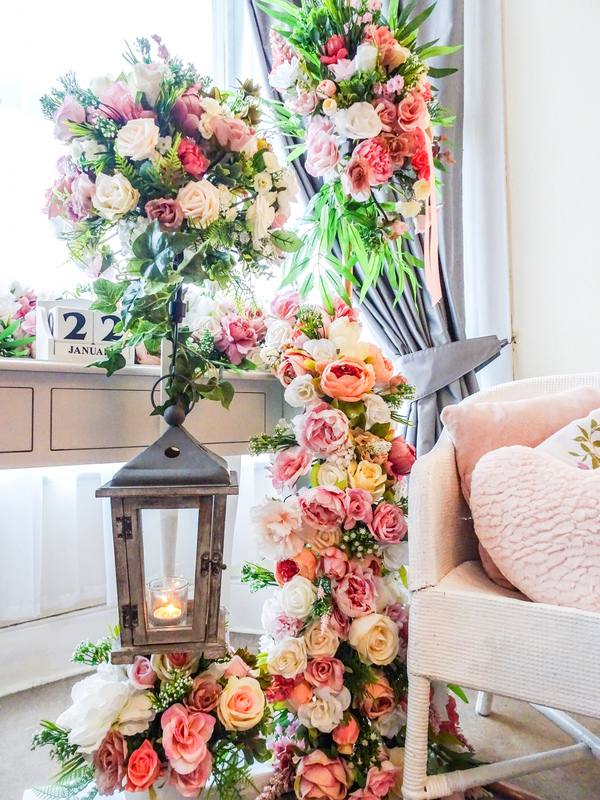 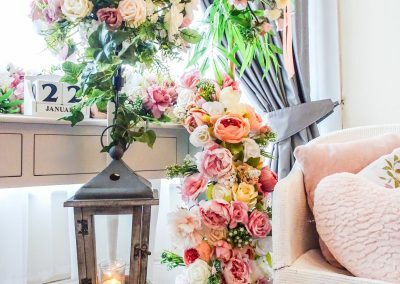 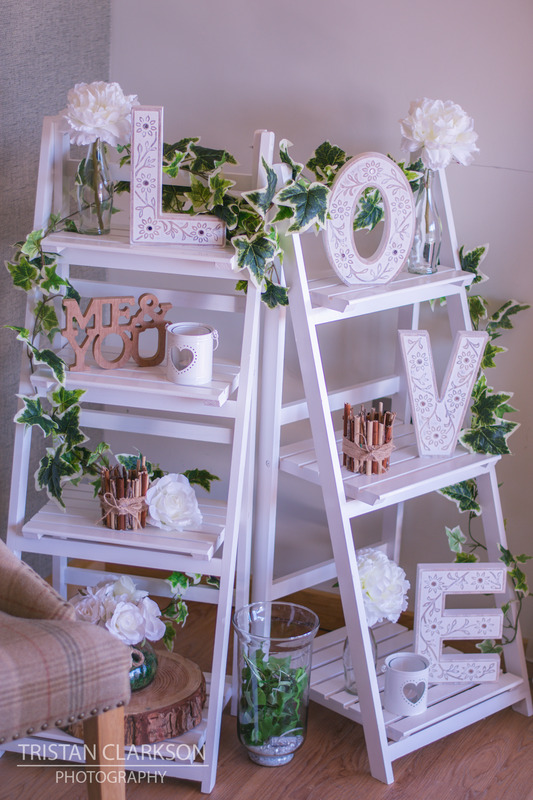 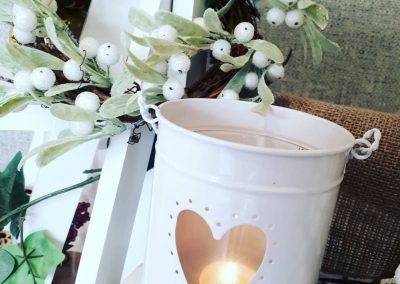 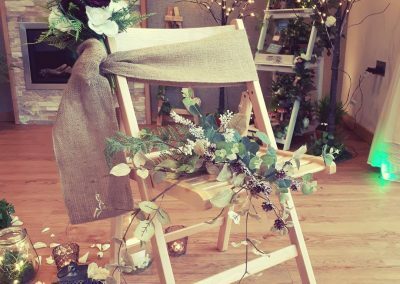 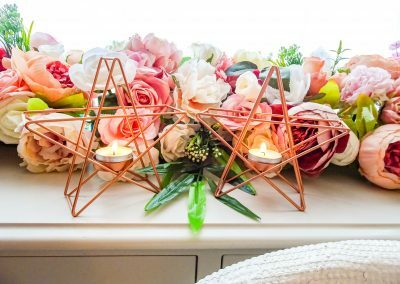 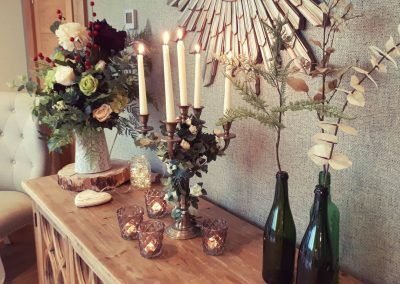 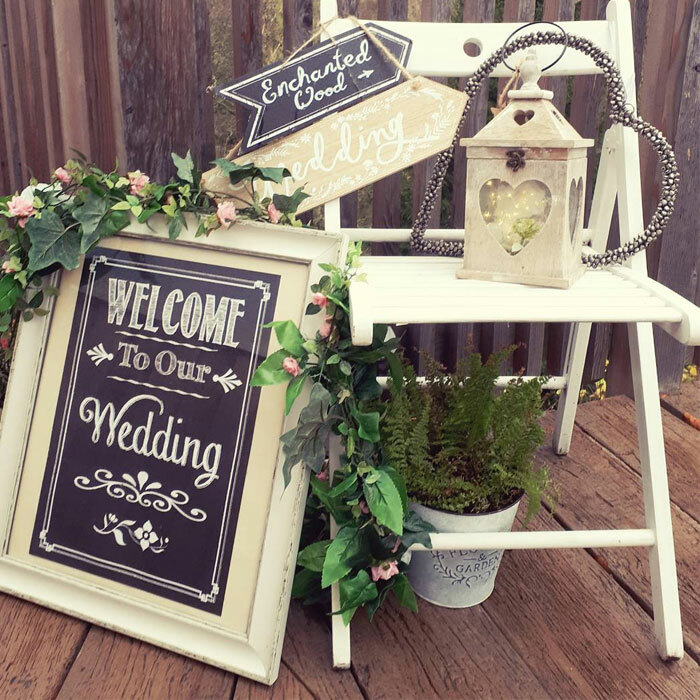 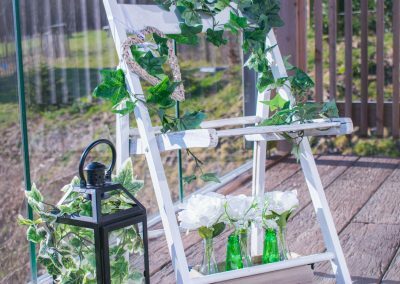 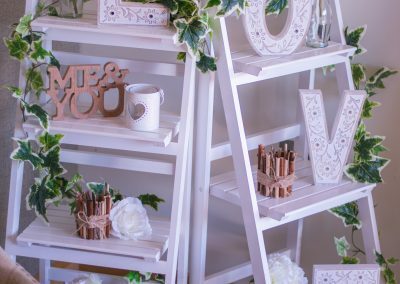 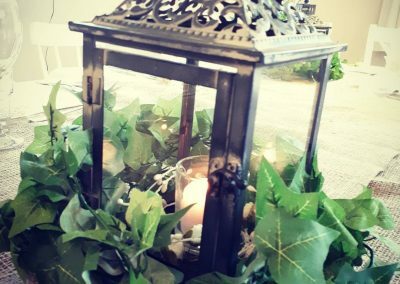 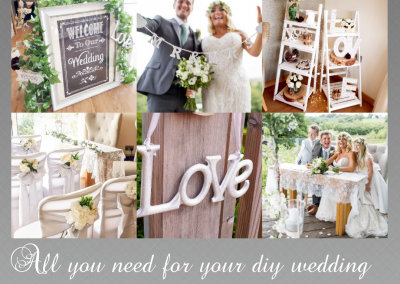 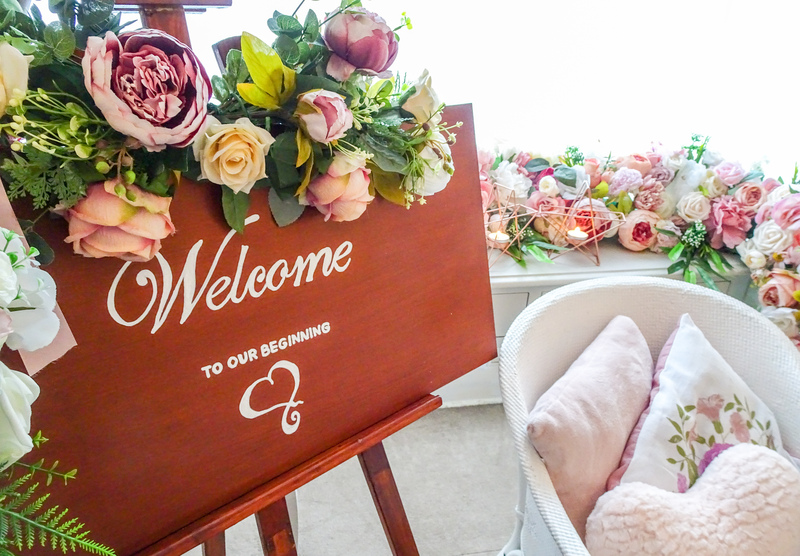 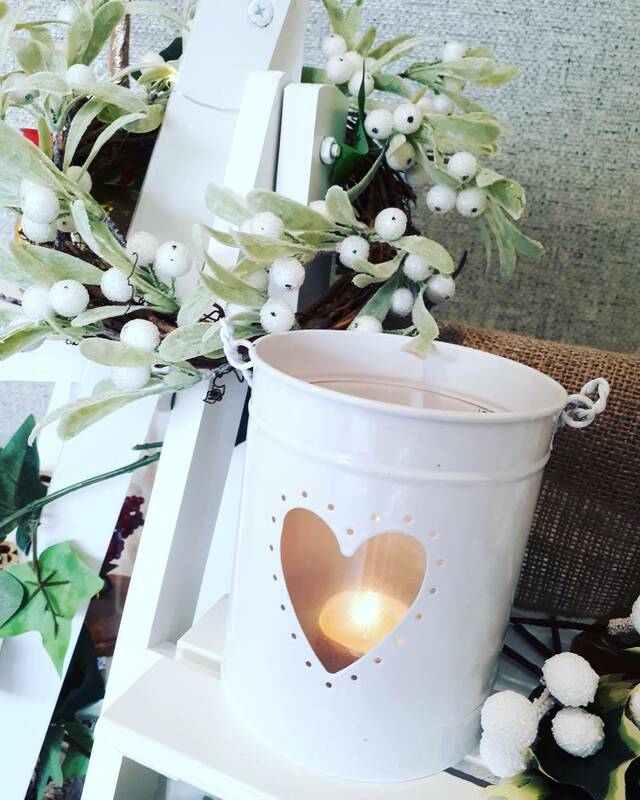 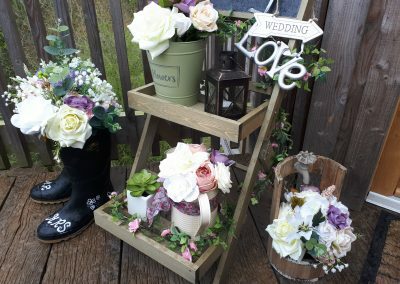 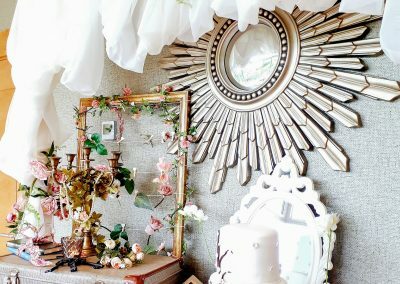 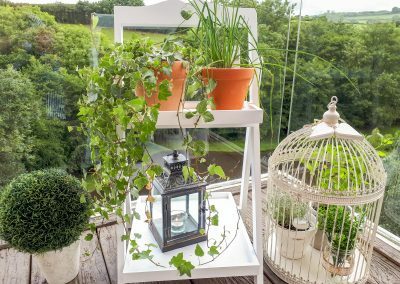 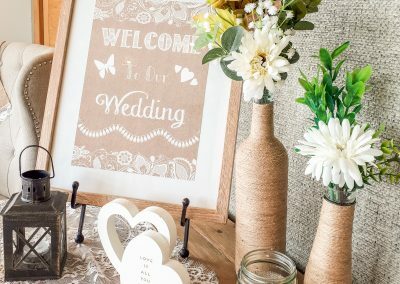 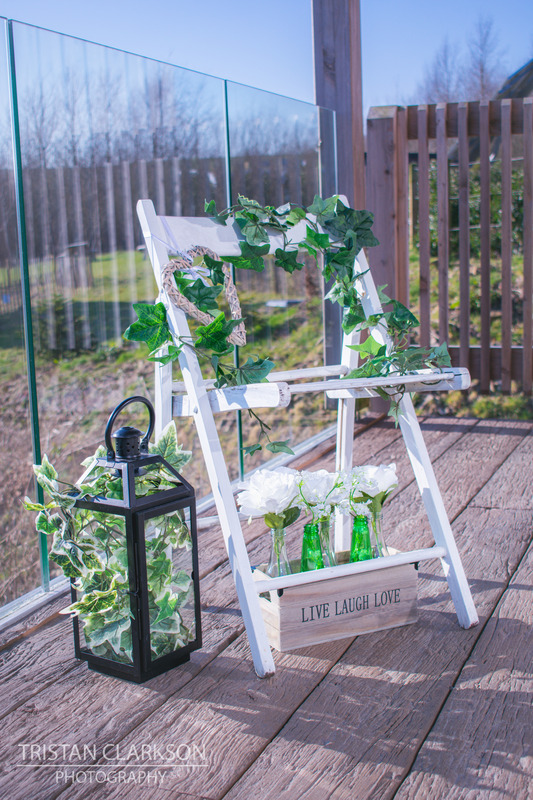 I offer a range of services from supplying small decorations & sundries to completely transforming grand venues into the setting of your dreams. 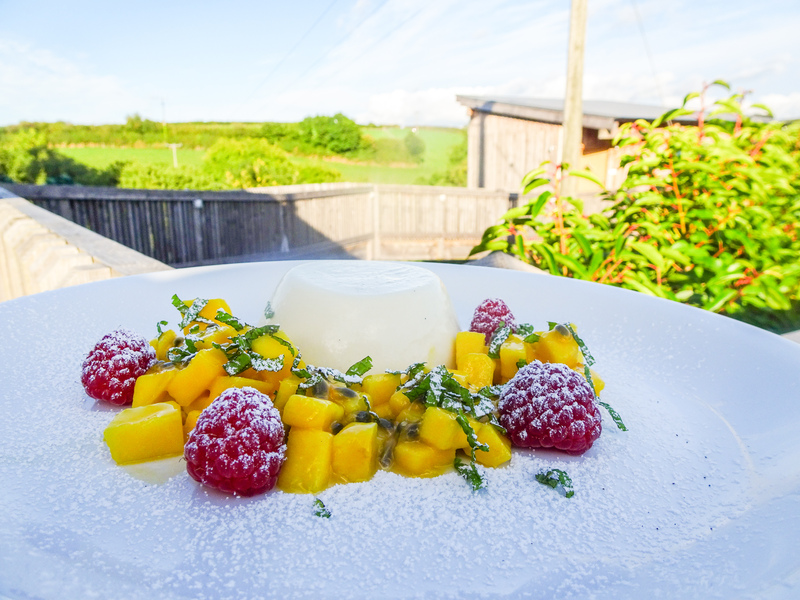 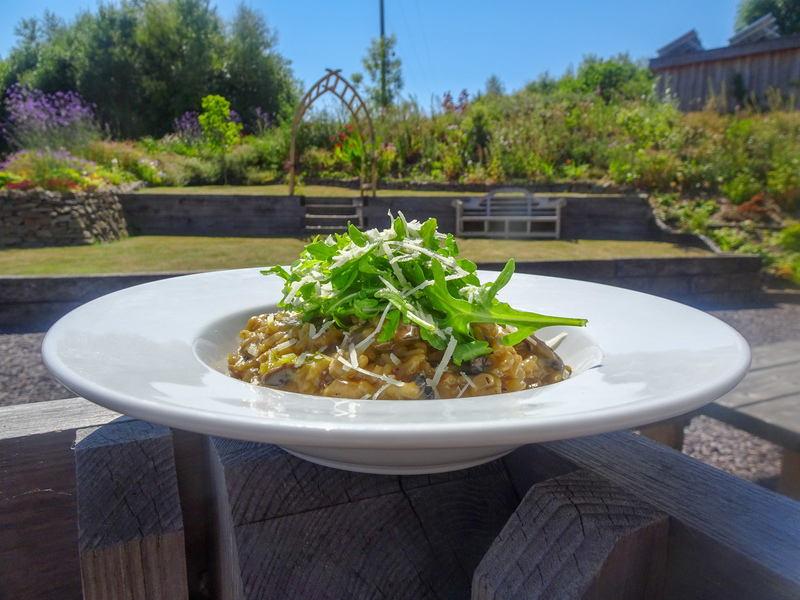 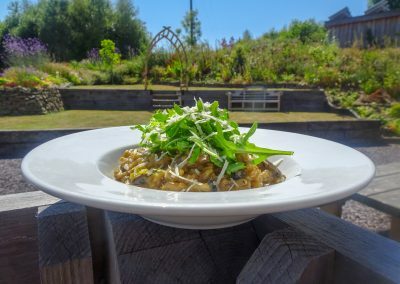 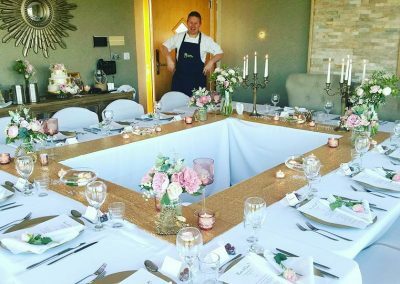 To feel truly special on your wedding day, I offer a bespoke experience where a top local chef (who also happens to be my husband!) 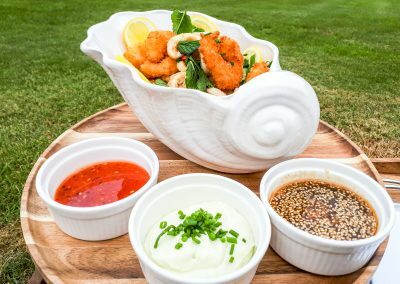 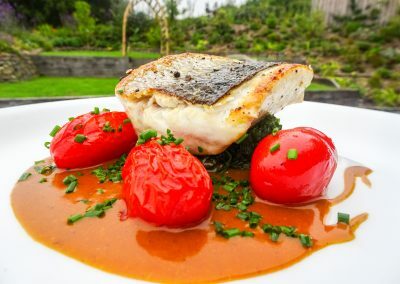 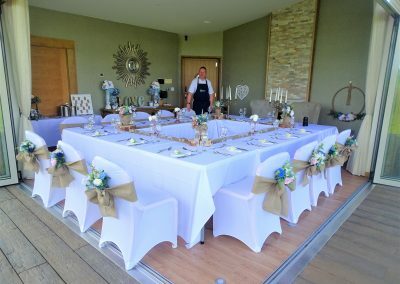 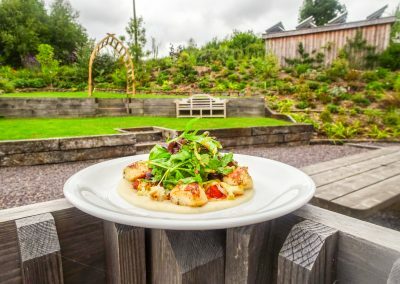 can provide truly memorable catering throughout the day – from an elegant bridal breakfast, afternoon tea for your in-Laws to be, up to a full dining experience for the newly weds and their guests- whether that be an intimate fine dining supper or a lavish, high quality buffet for as many guests as you like! 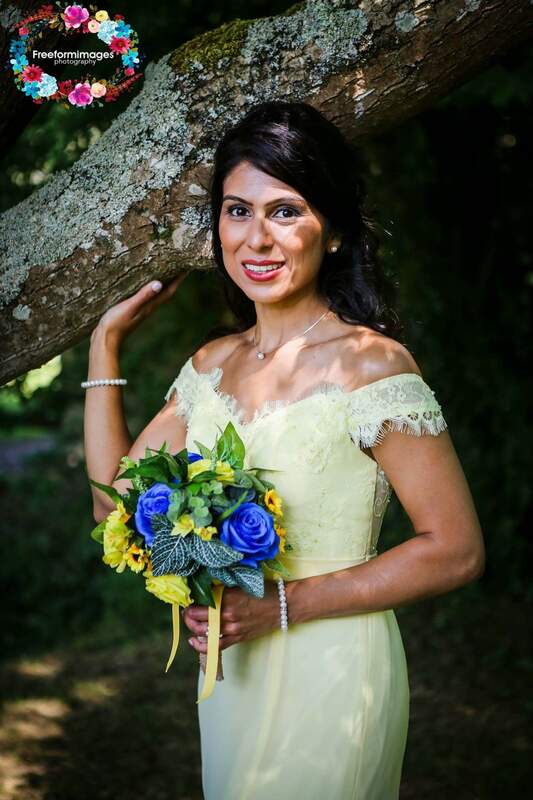 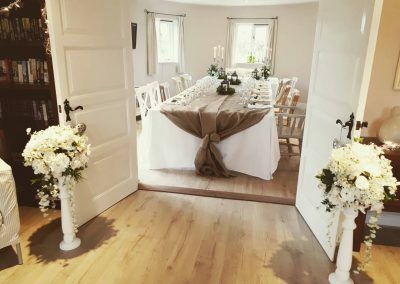 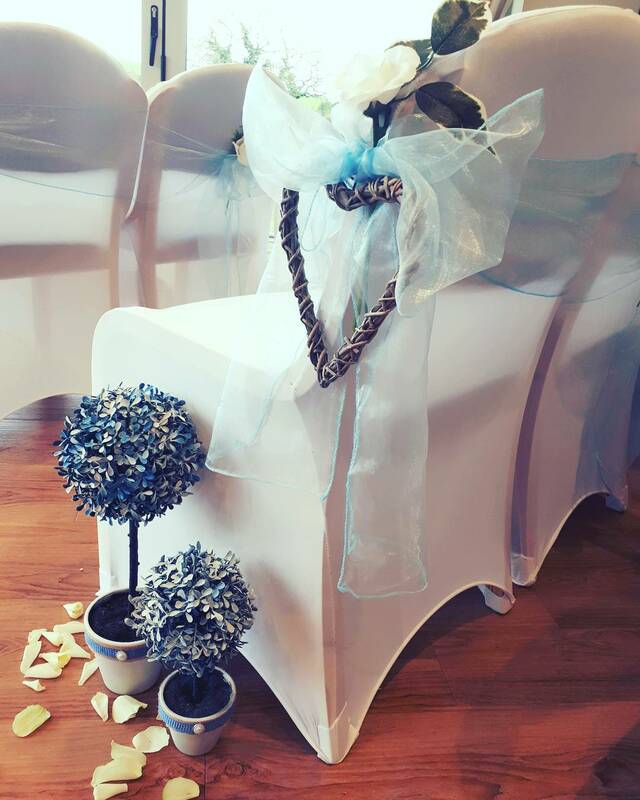 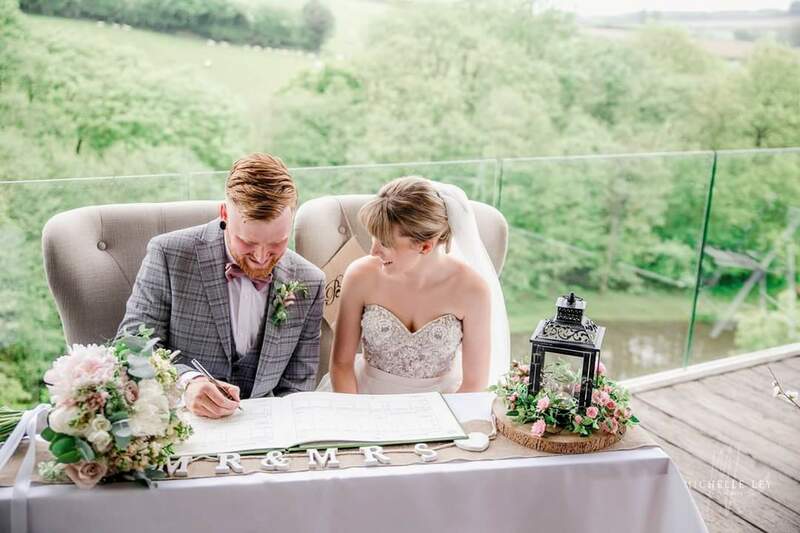 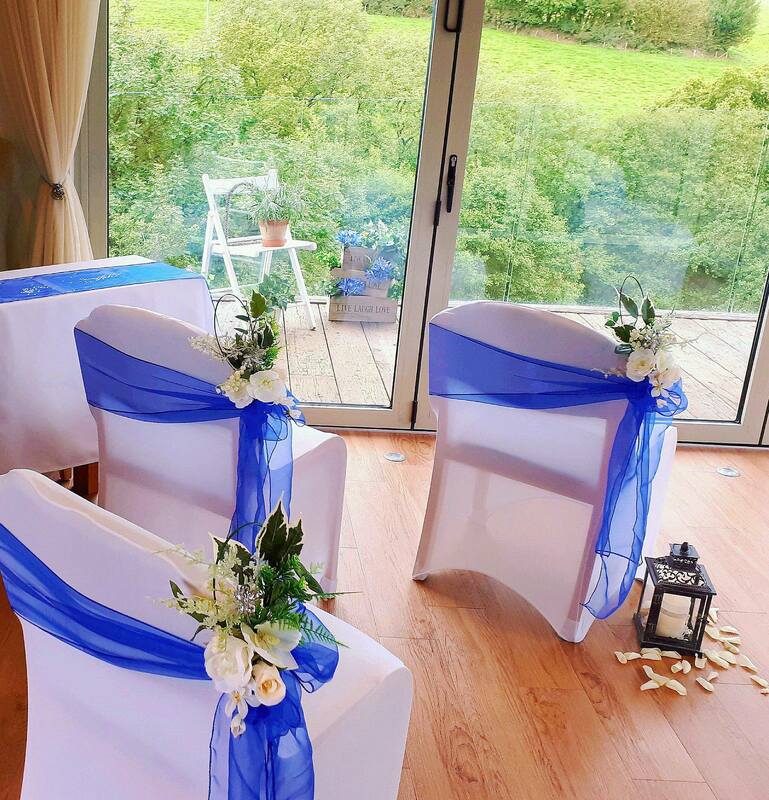 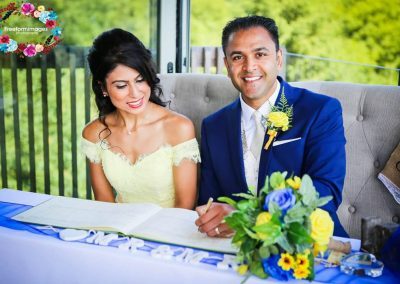 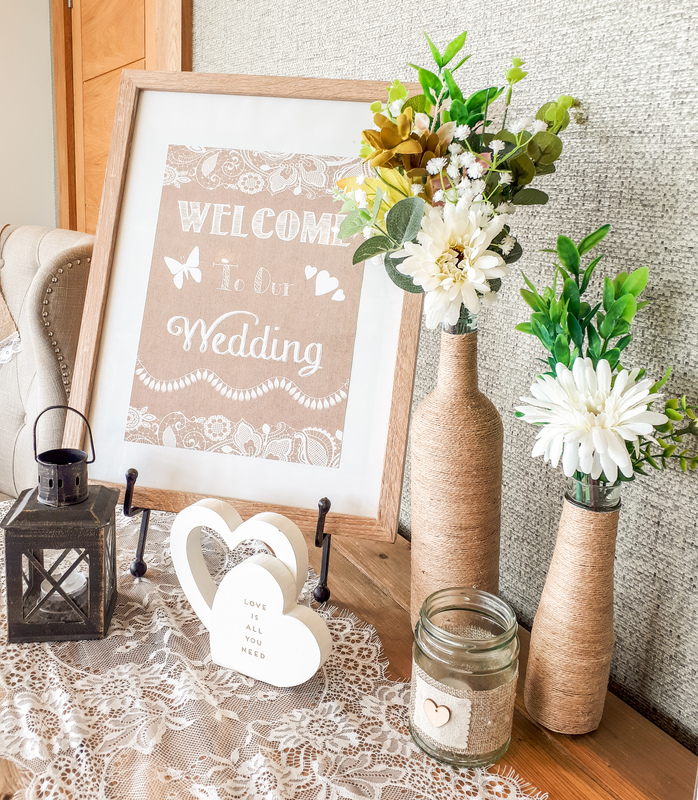 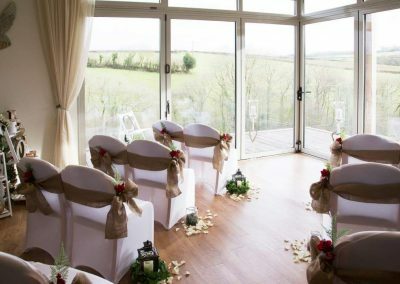 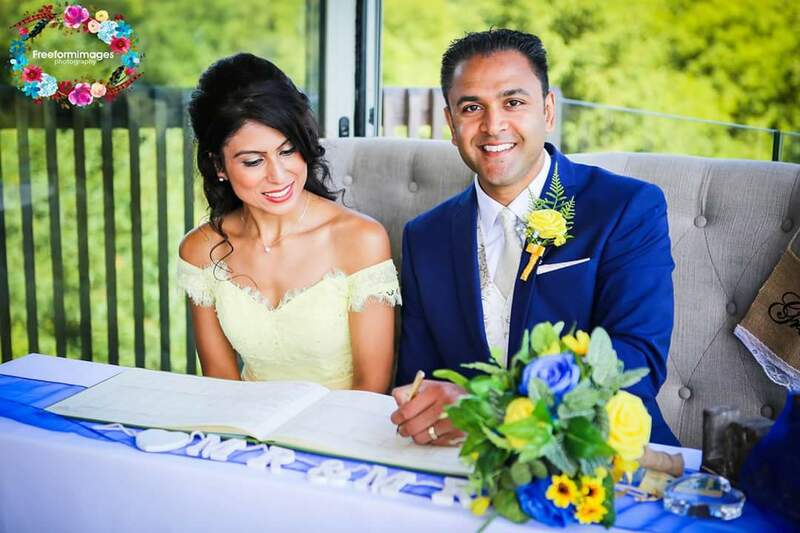 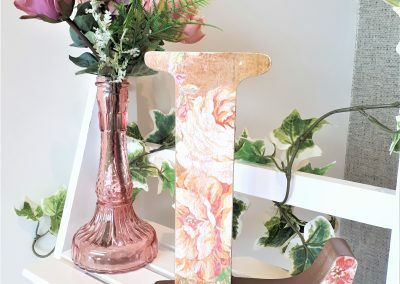 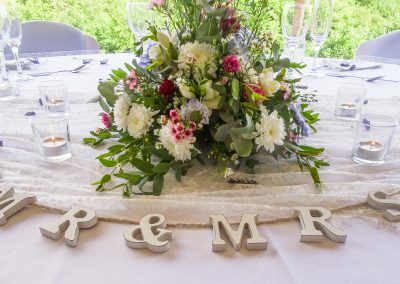 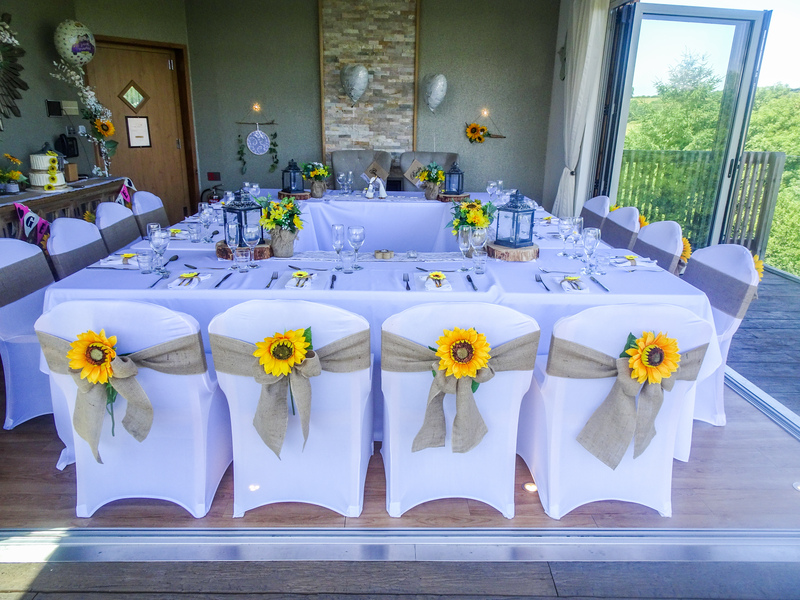 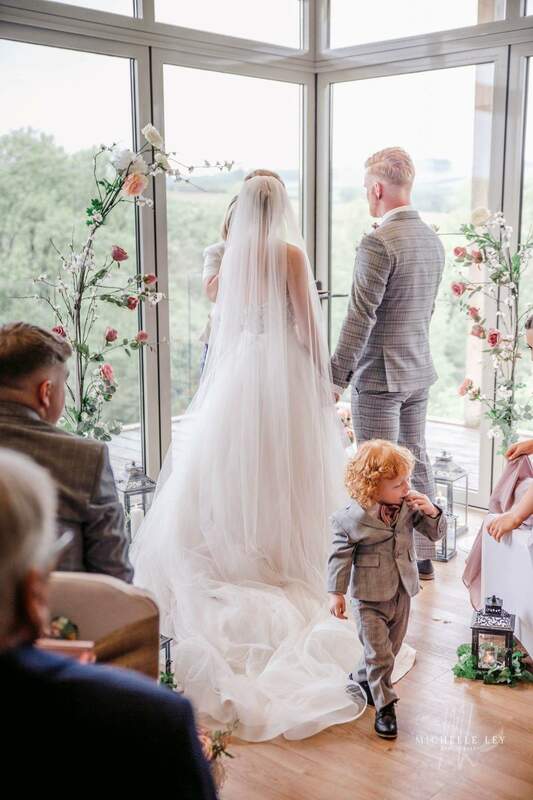 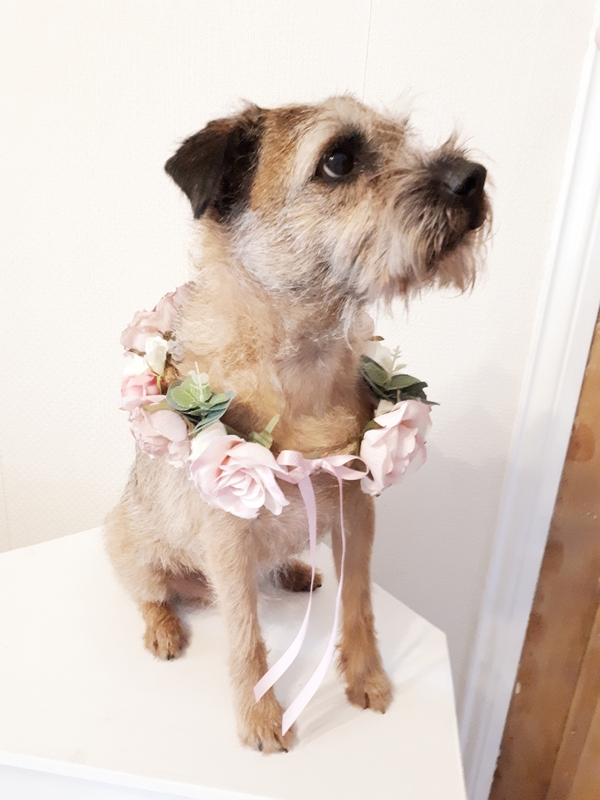 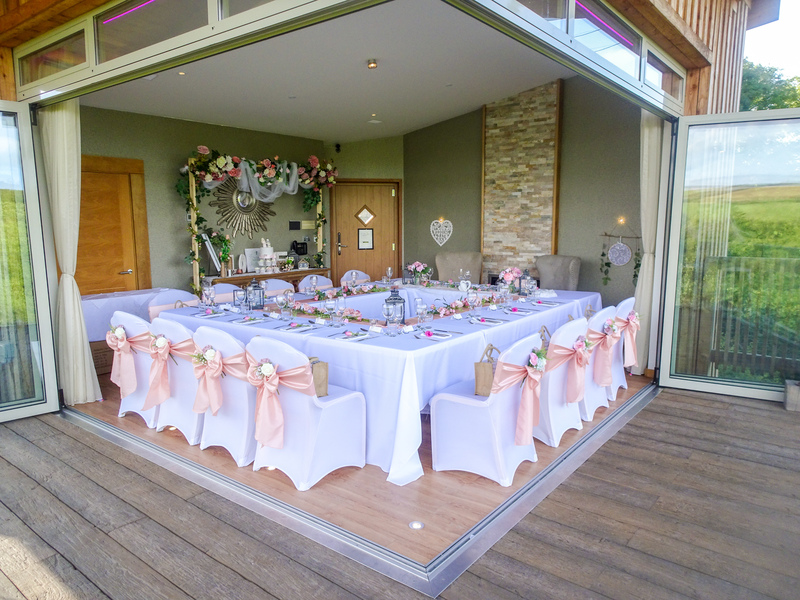 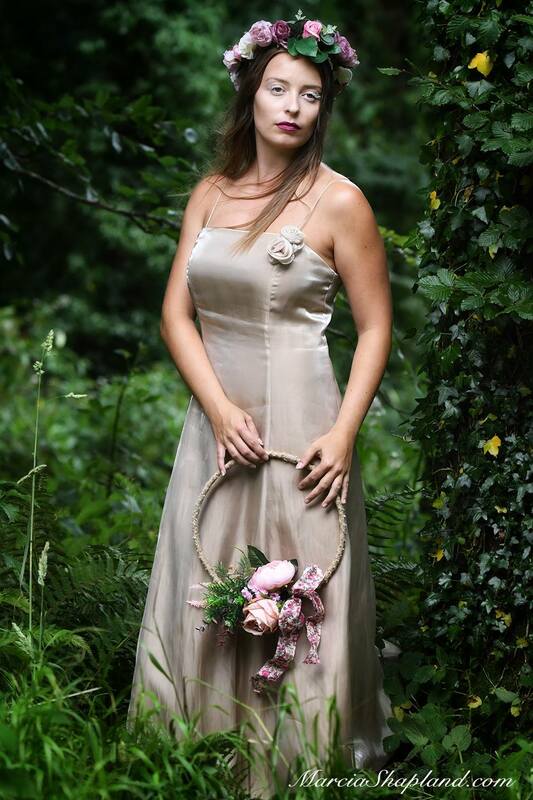 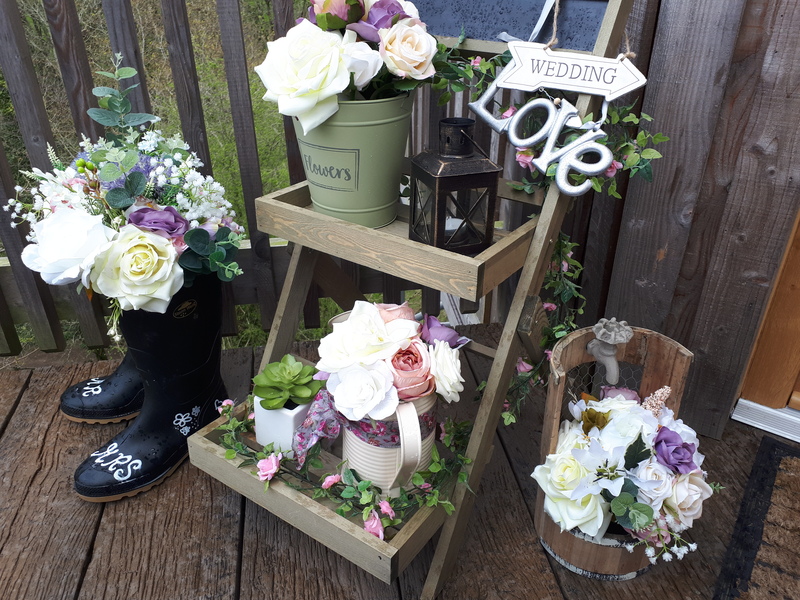 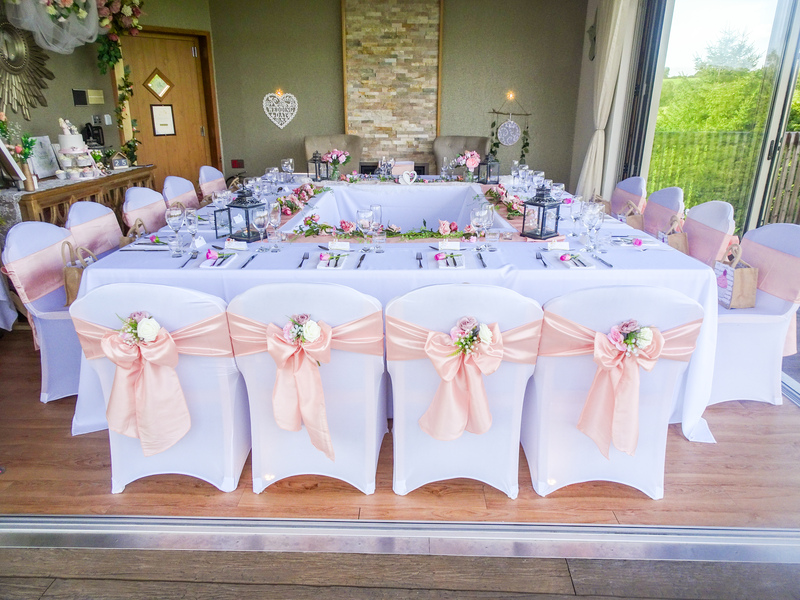 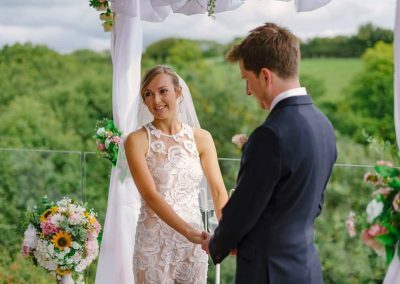 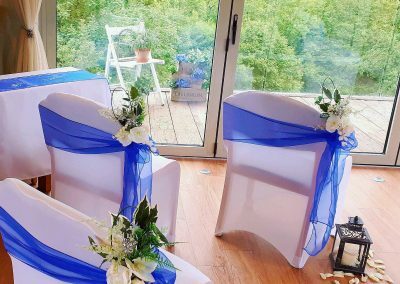 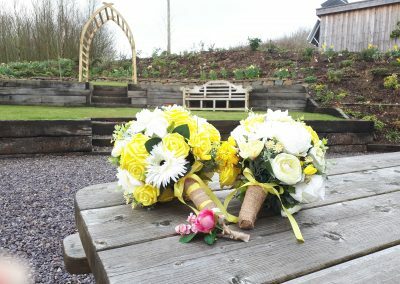 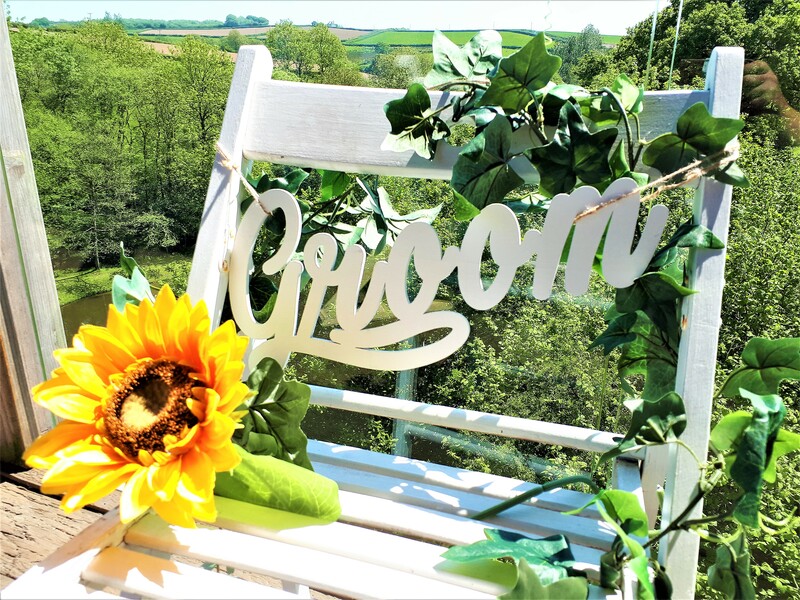 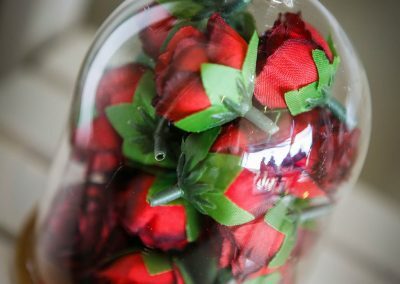 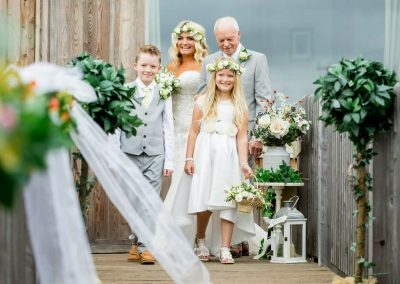 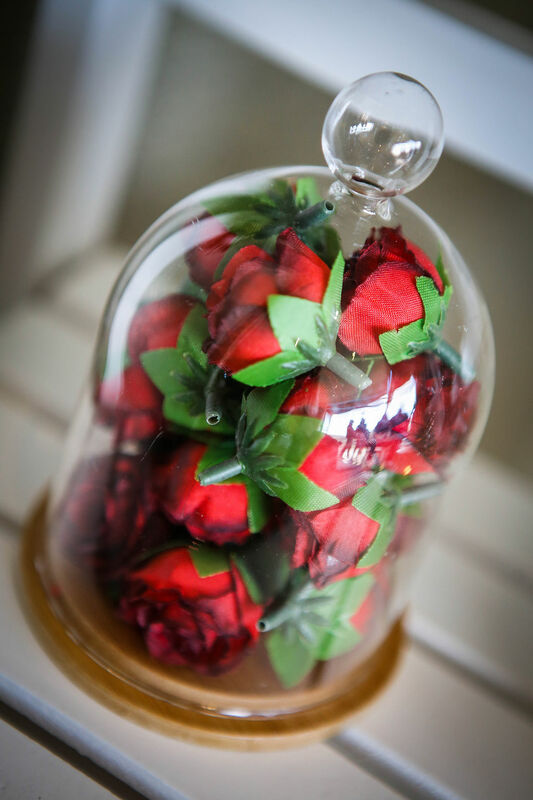 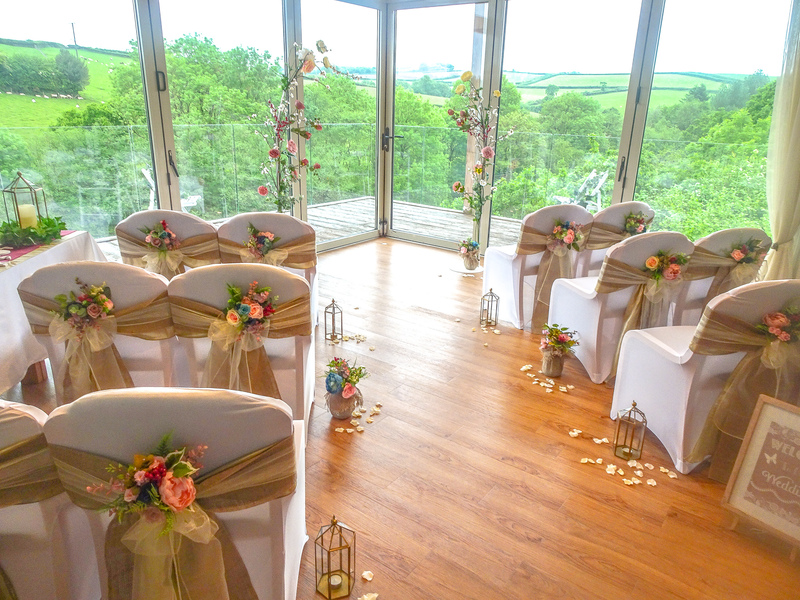 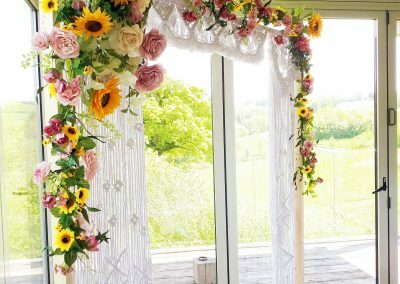 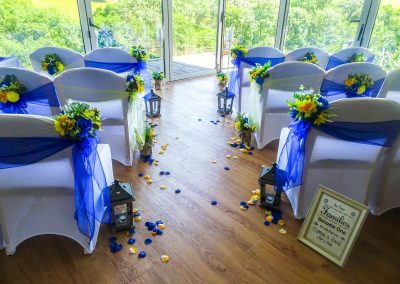 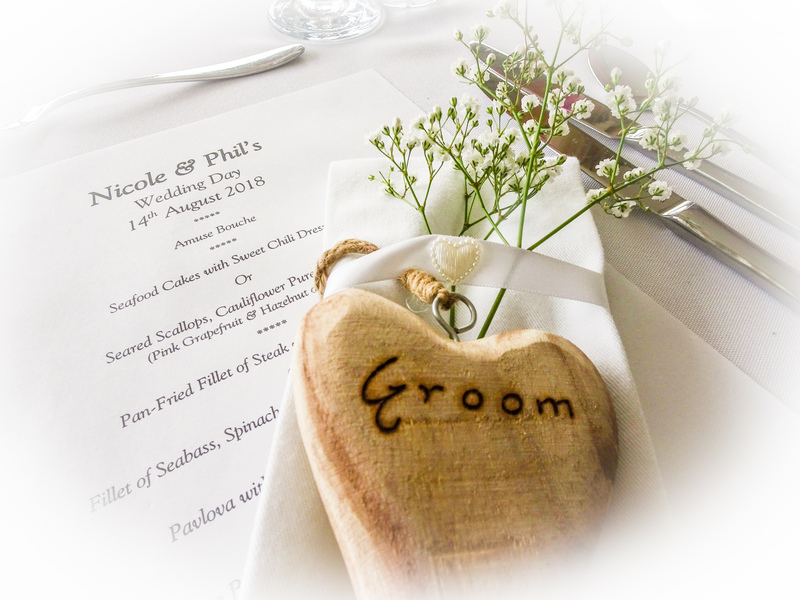 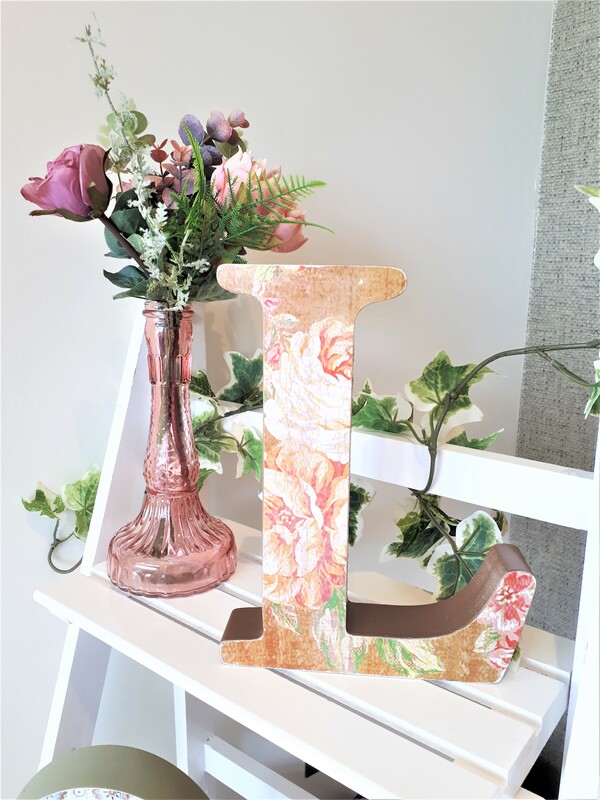 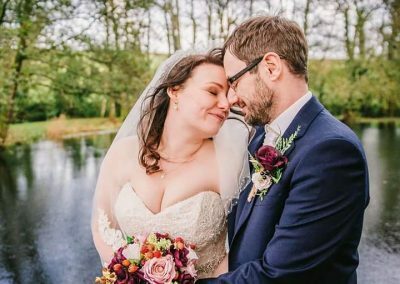 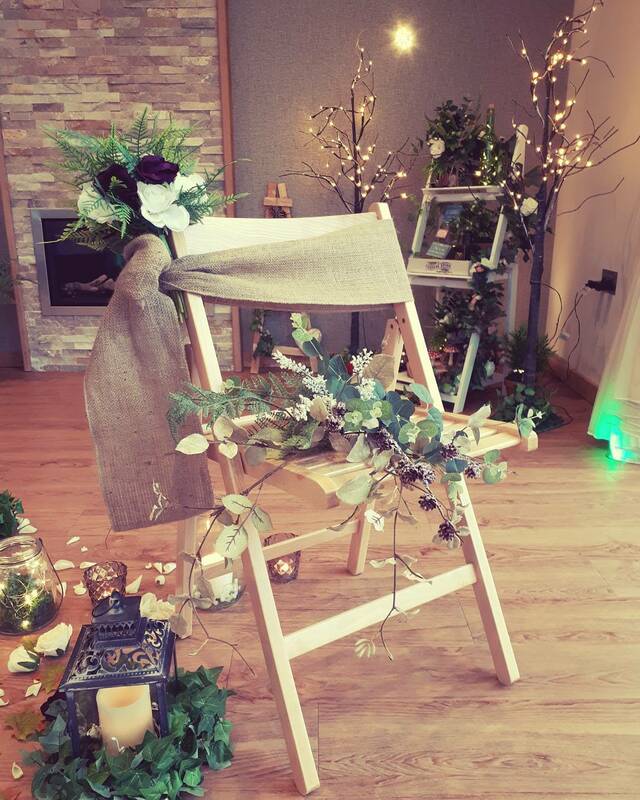 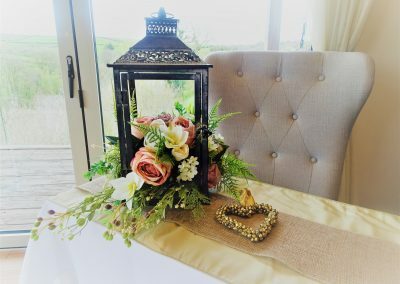 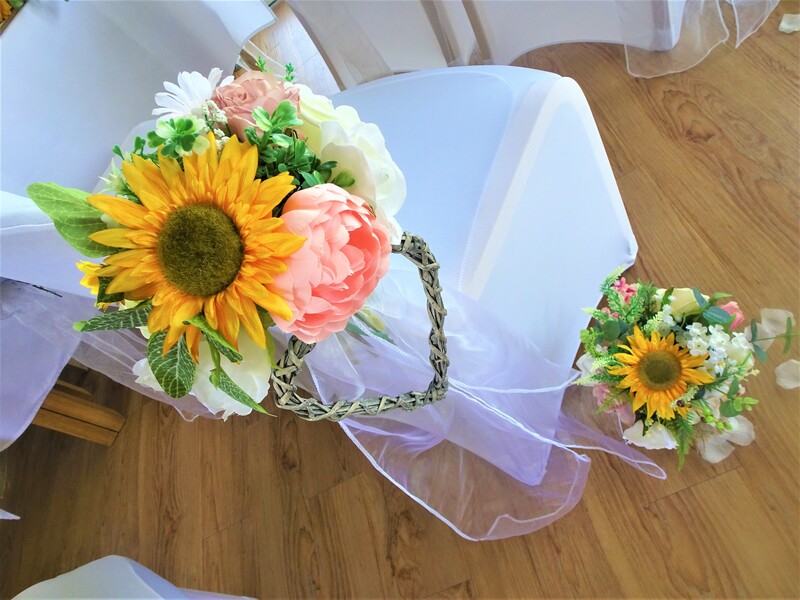 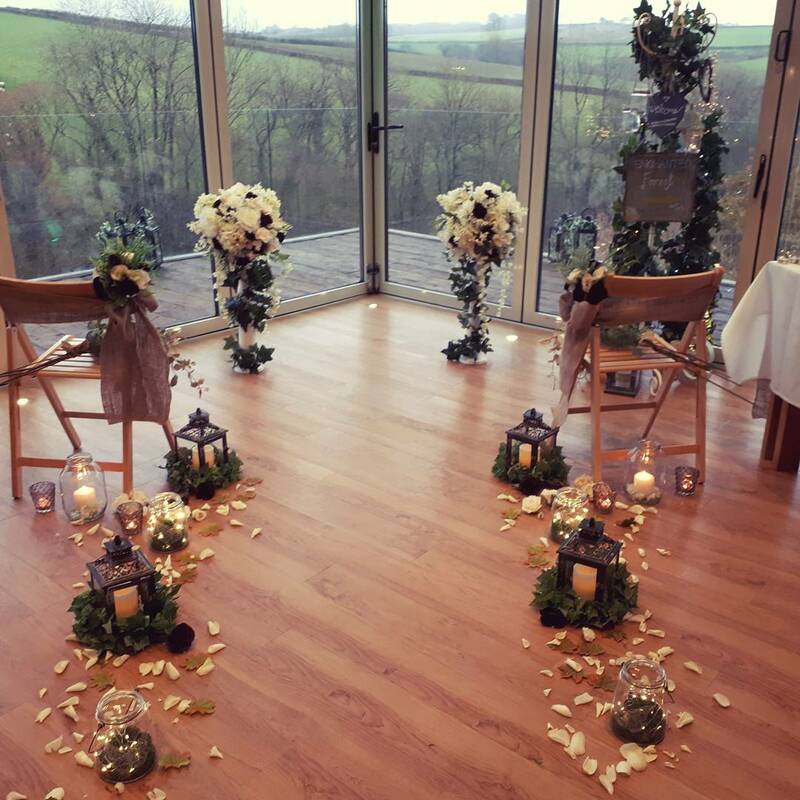 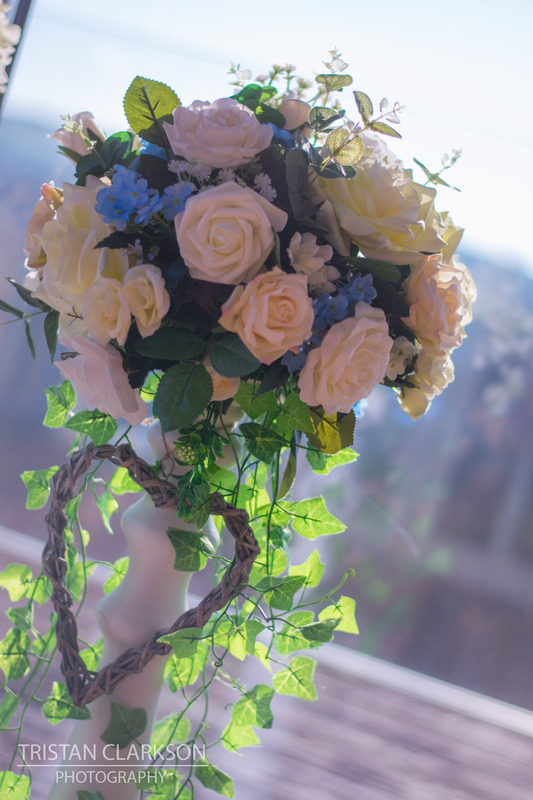 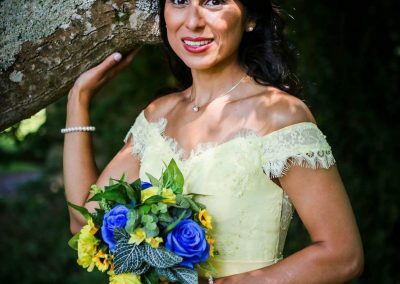 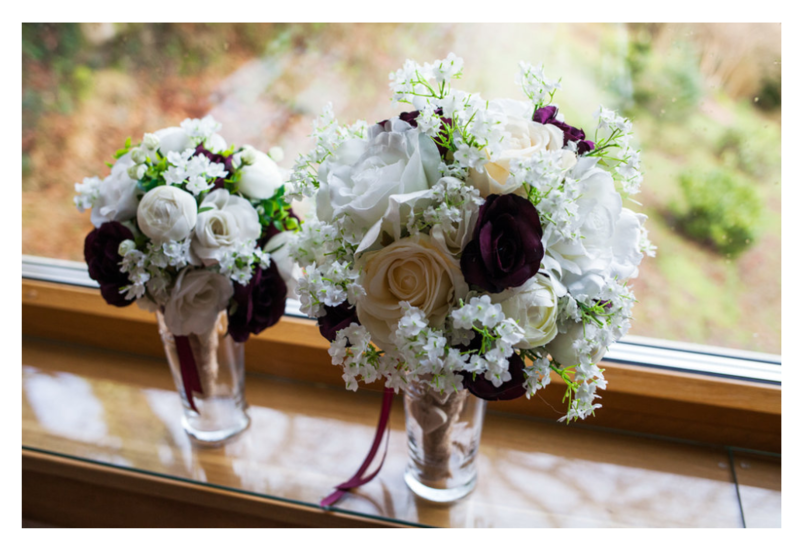 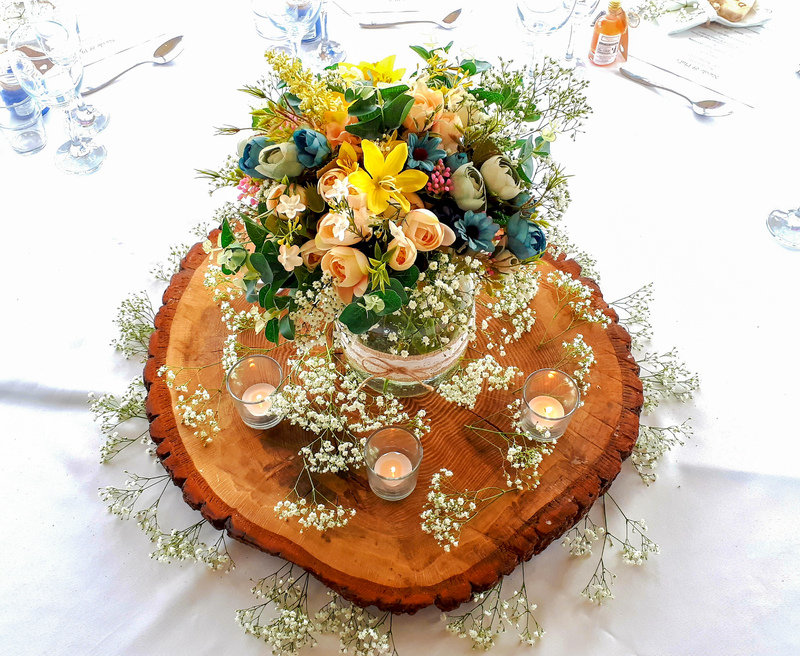 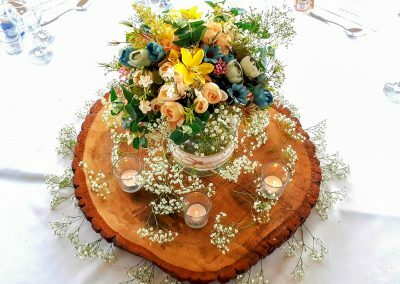 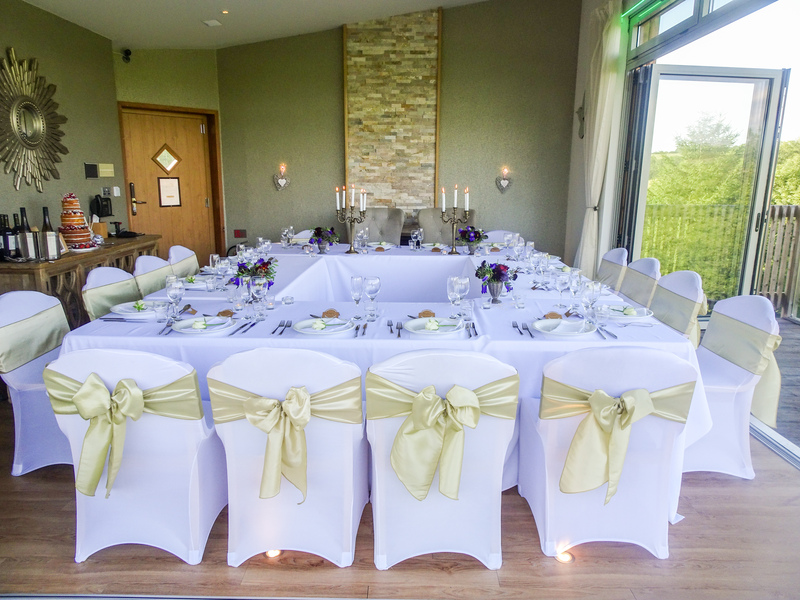 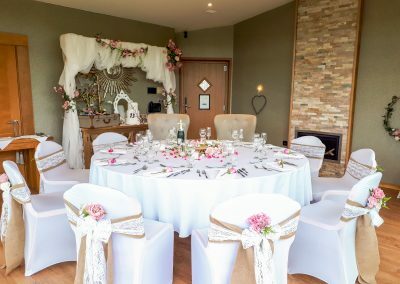 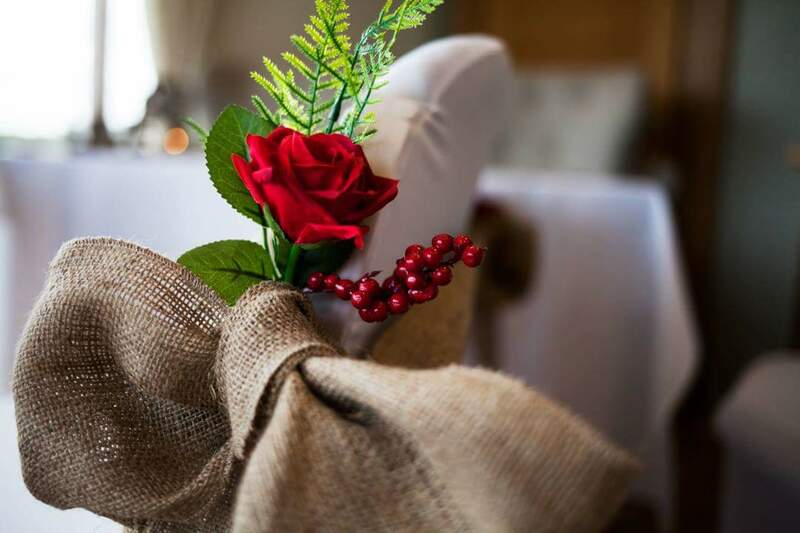 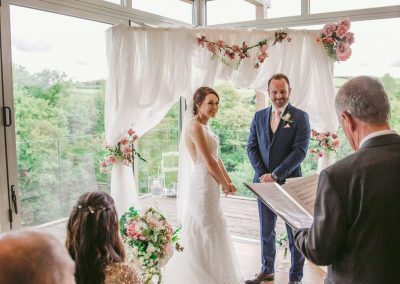 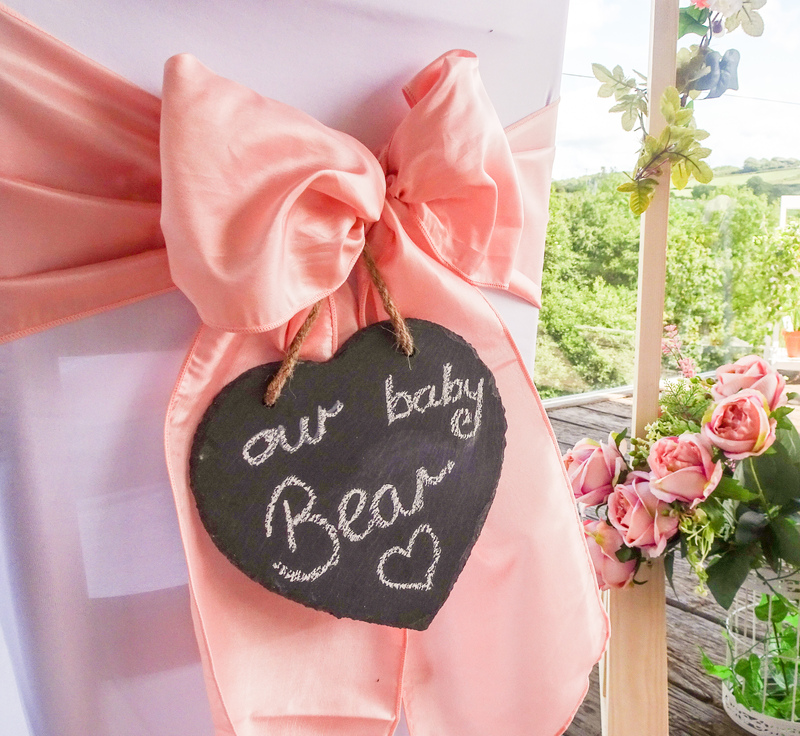 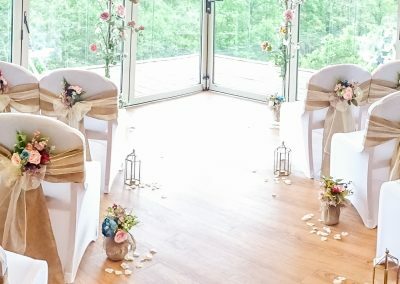 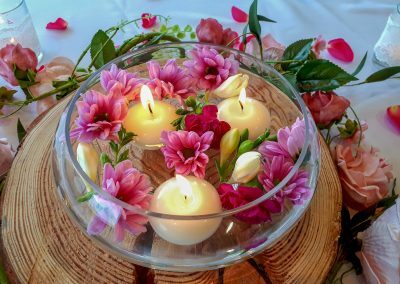 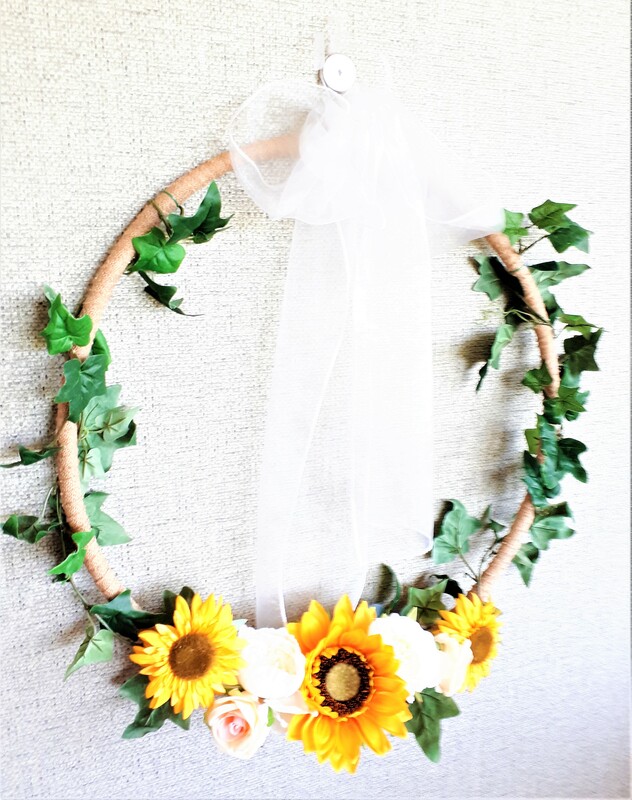 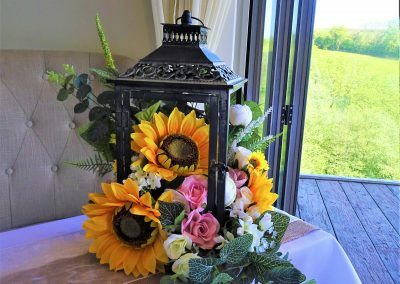 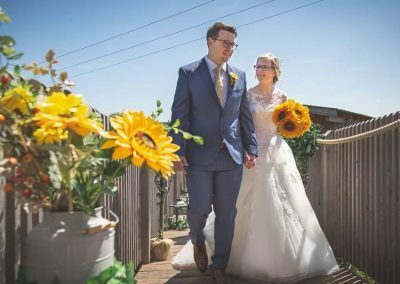 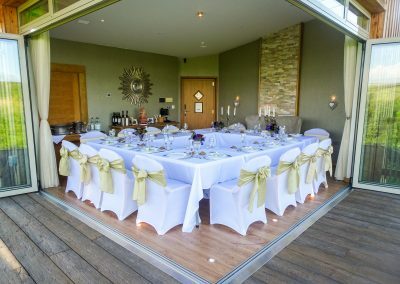 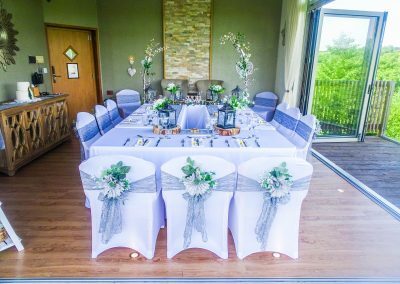 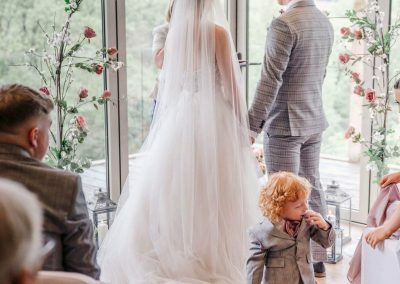 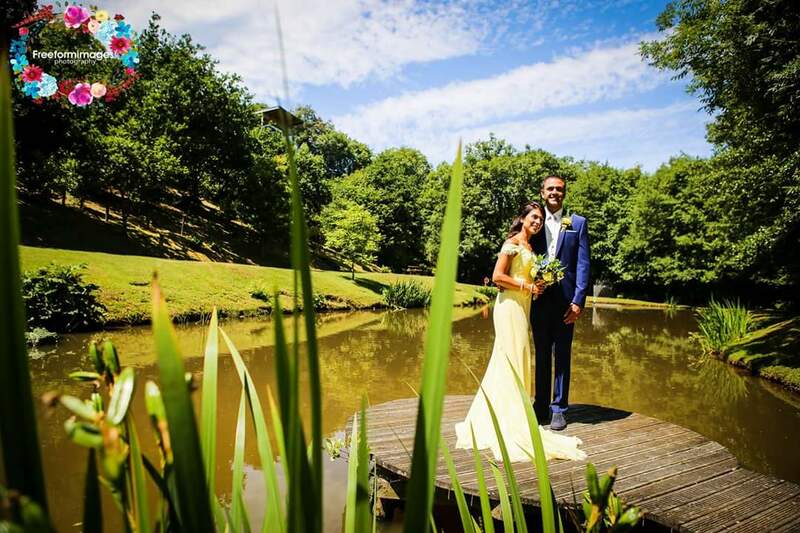 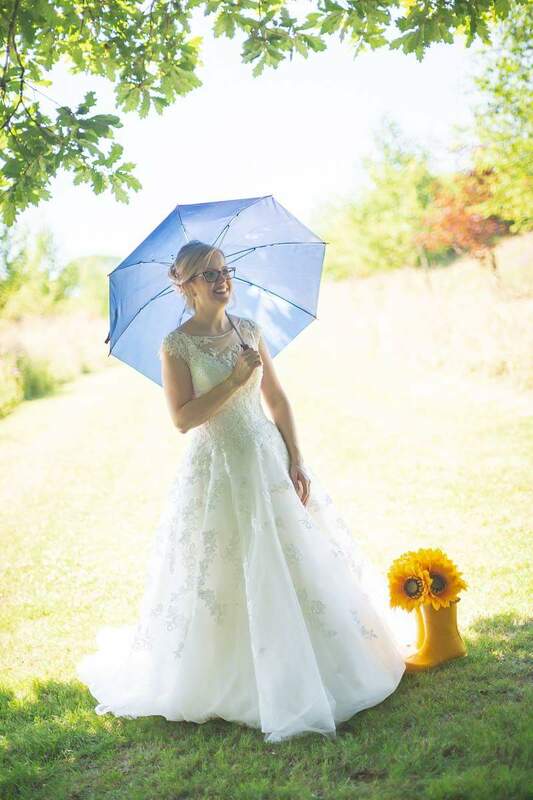 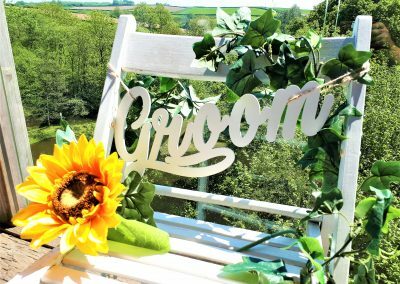 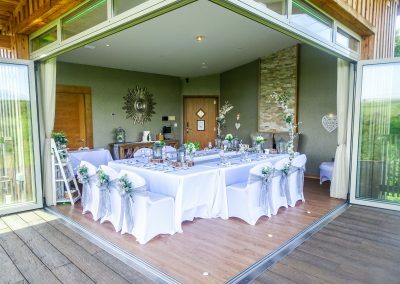 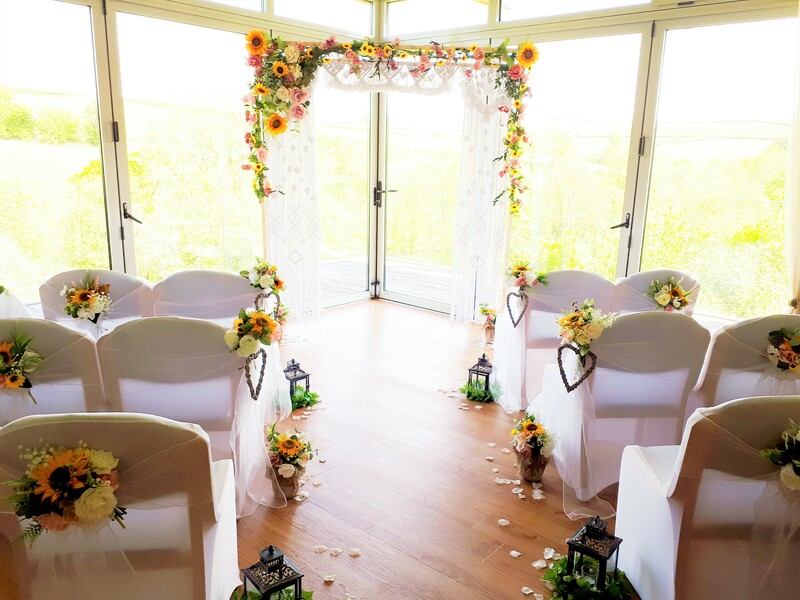 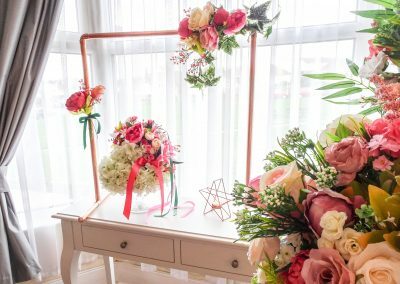 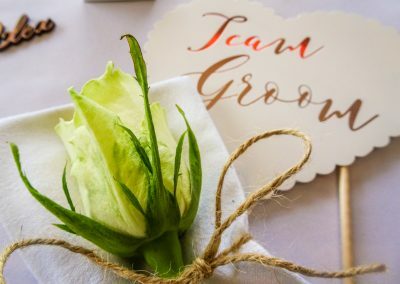 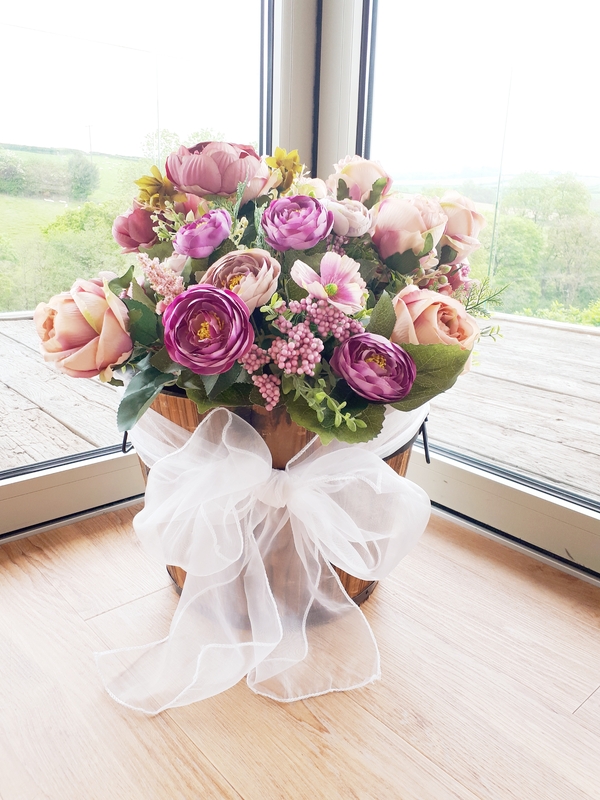 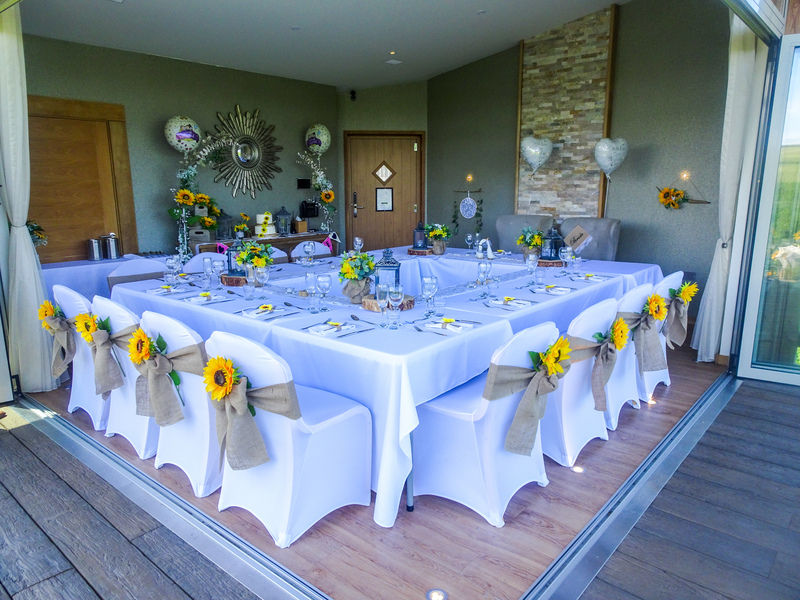 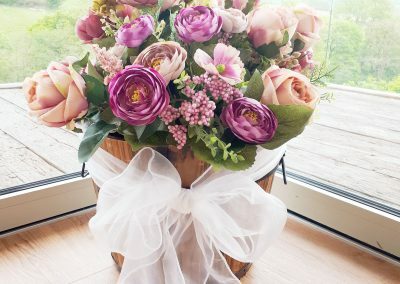 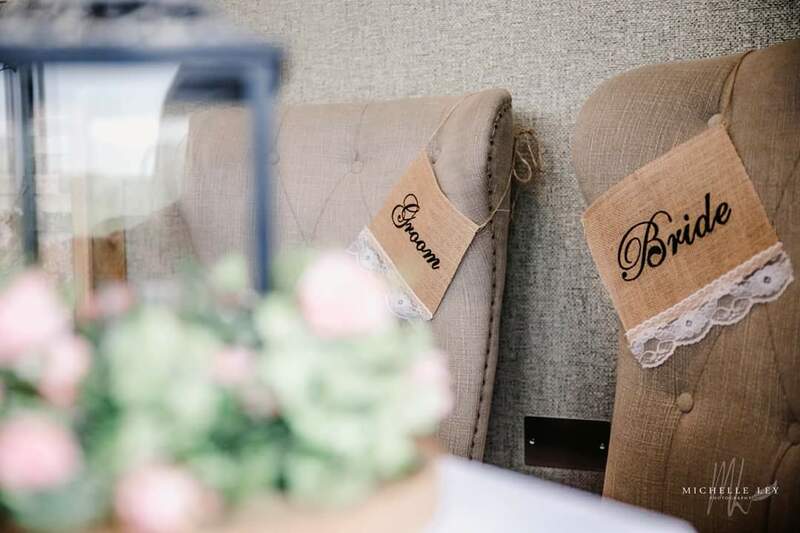 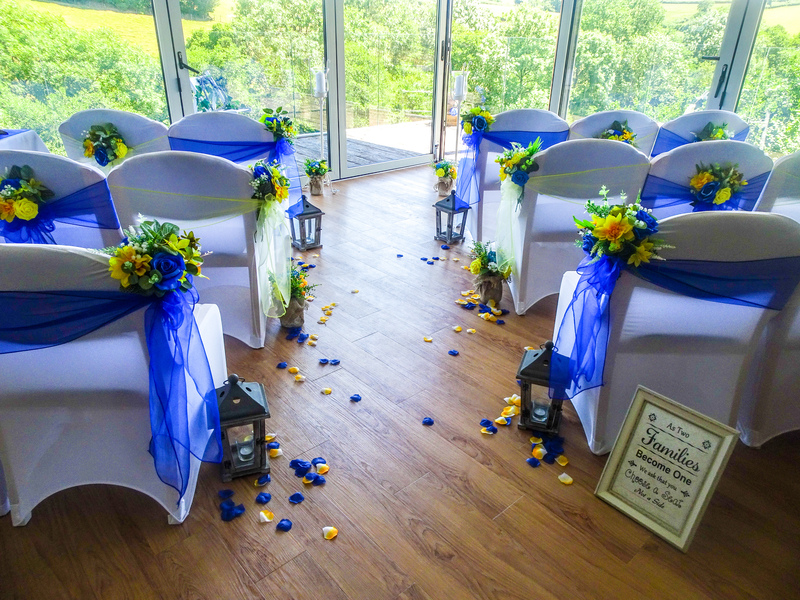 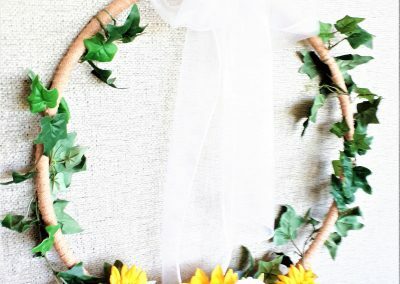 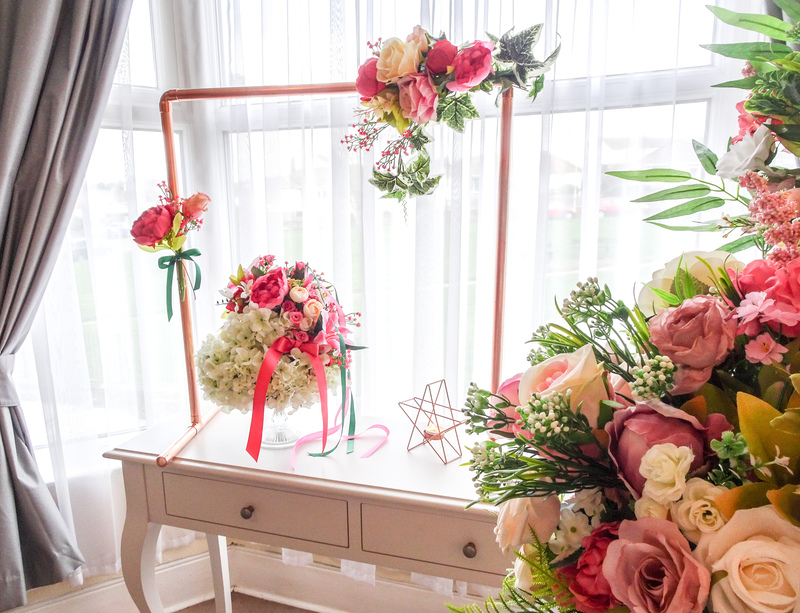 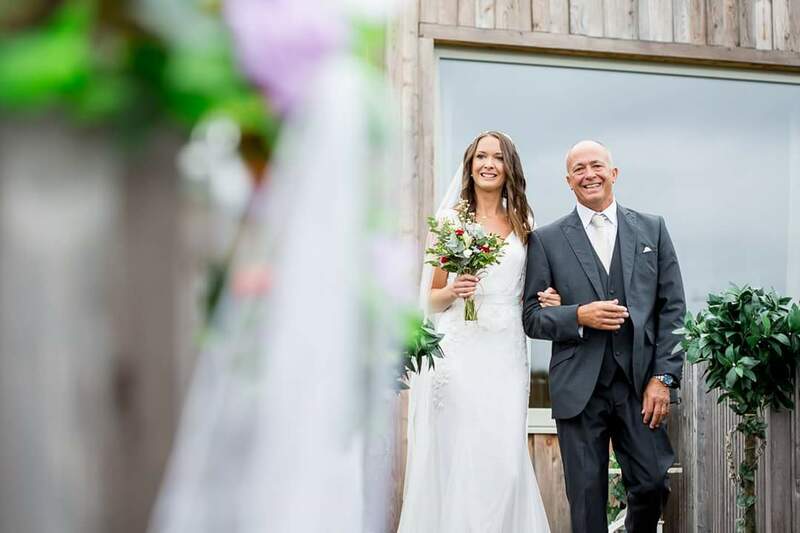 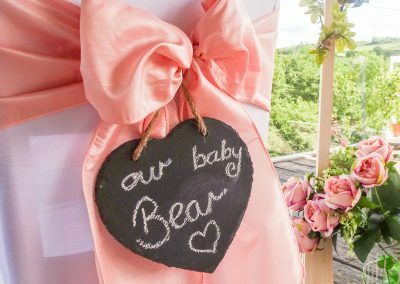 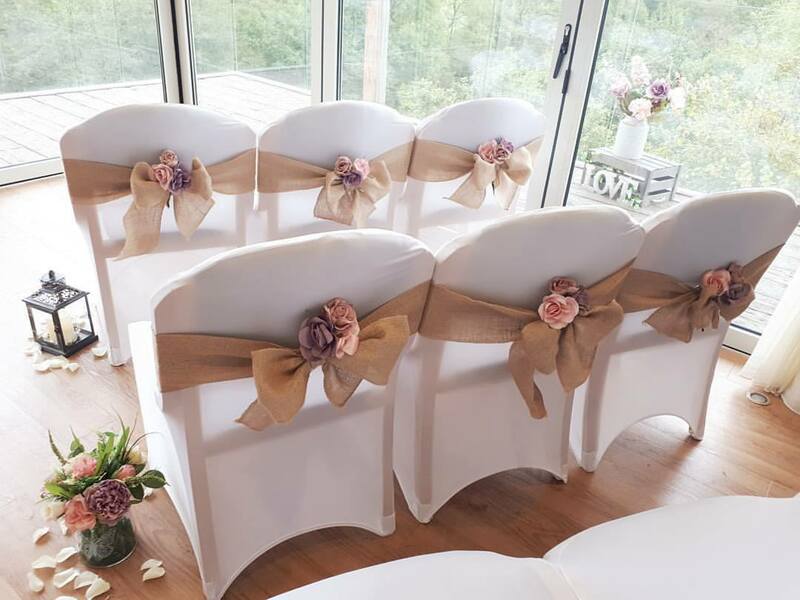 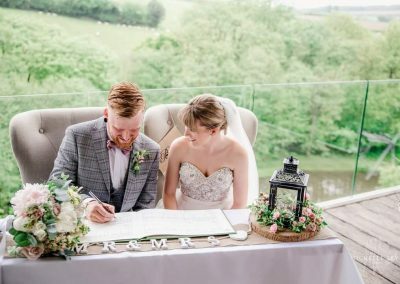 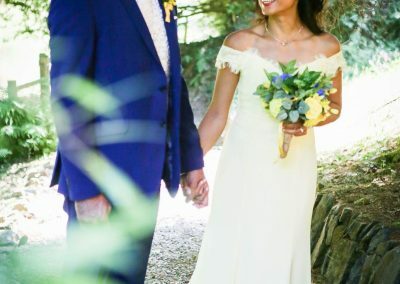 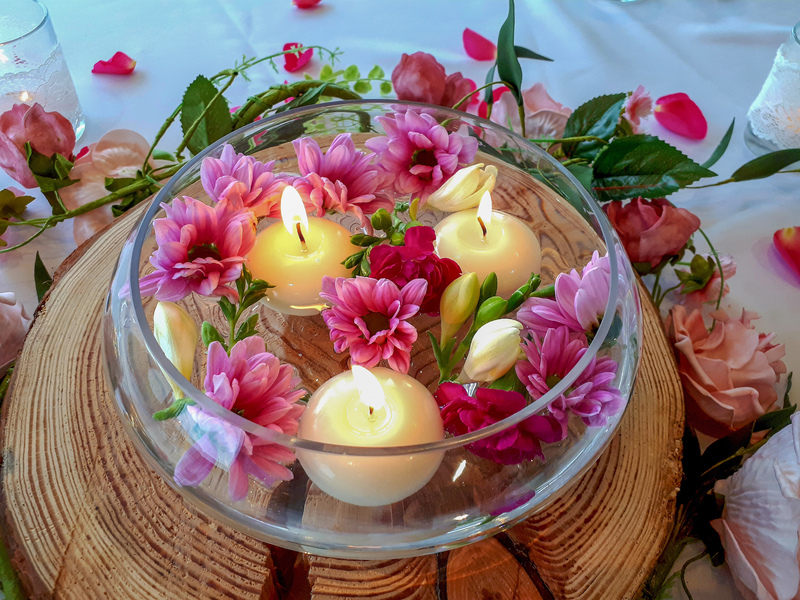 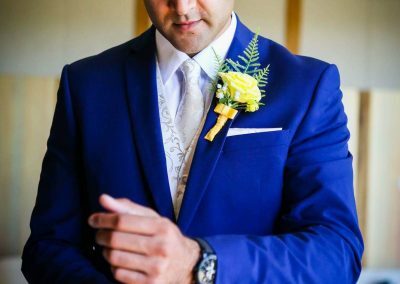 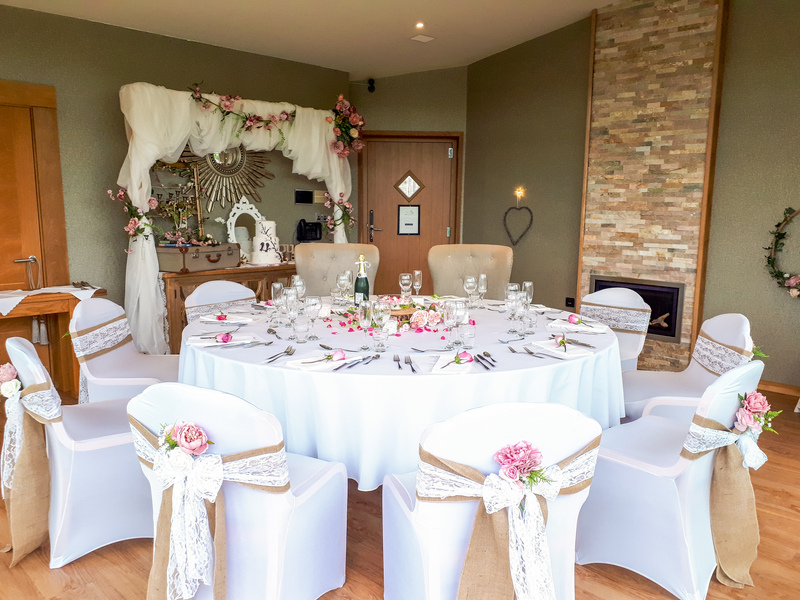 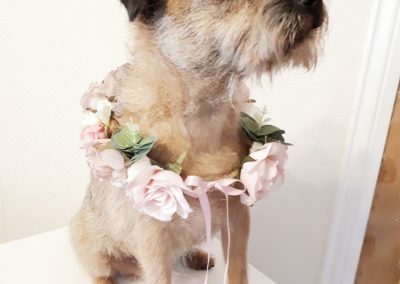 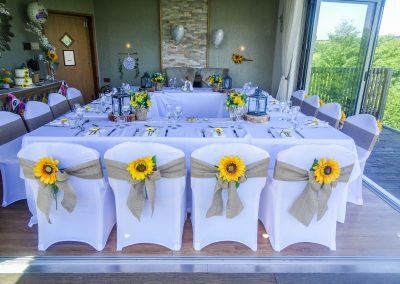 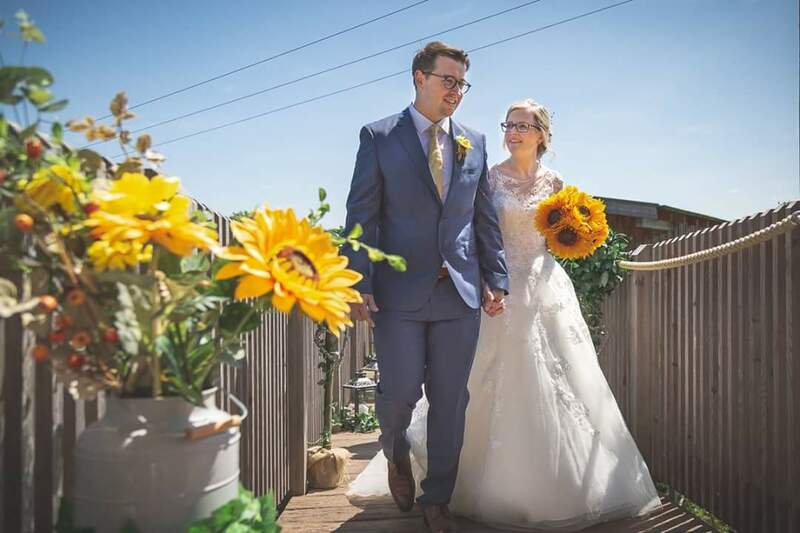 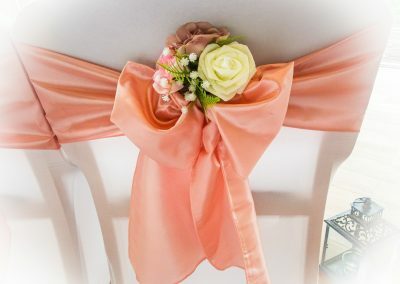 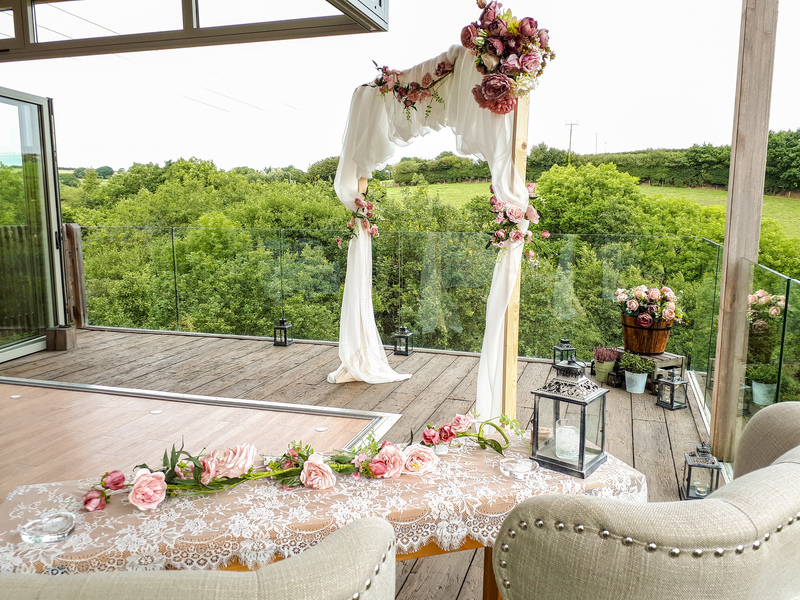 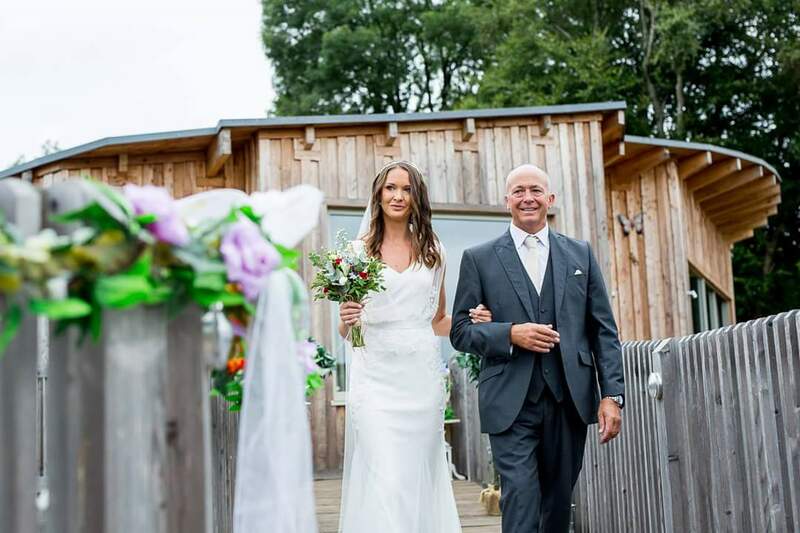 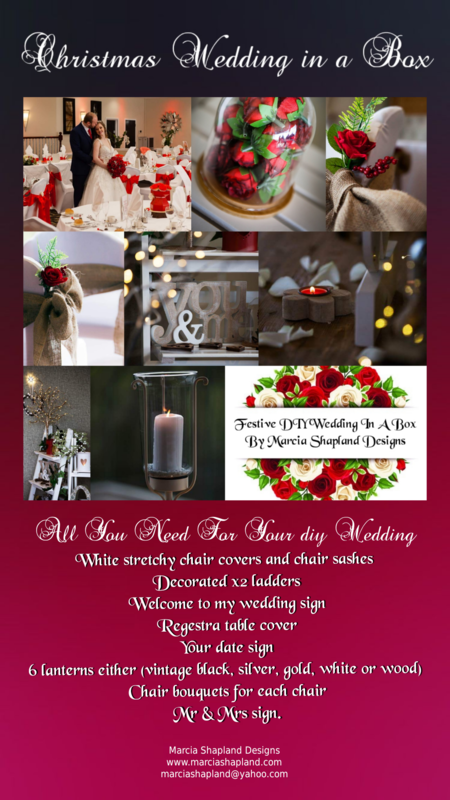 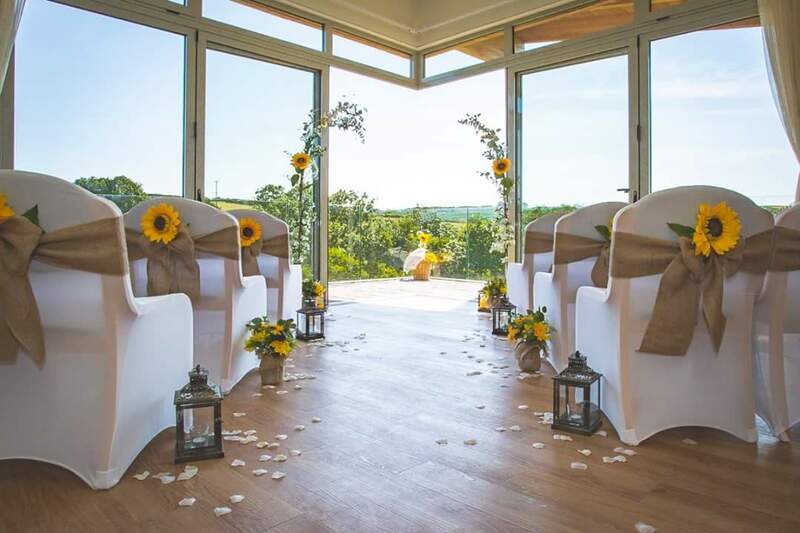 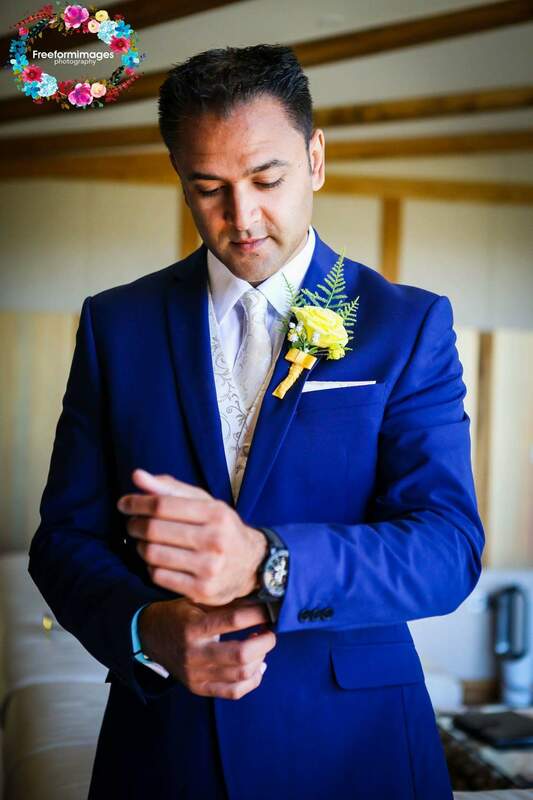 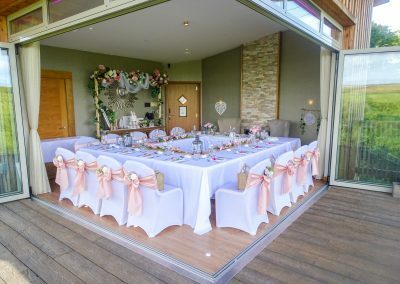 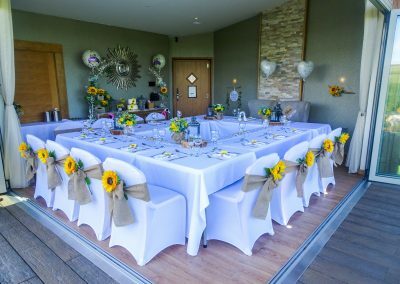 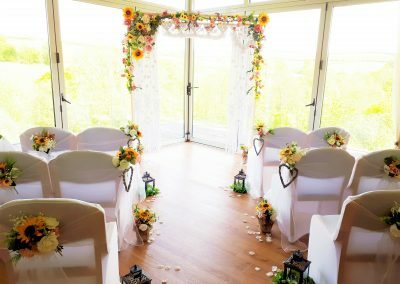 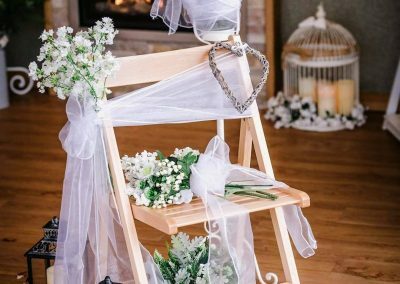 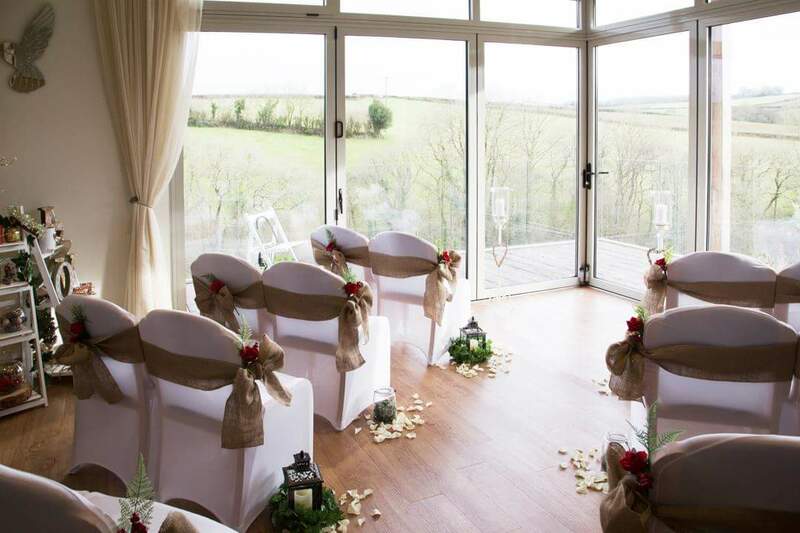 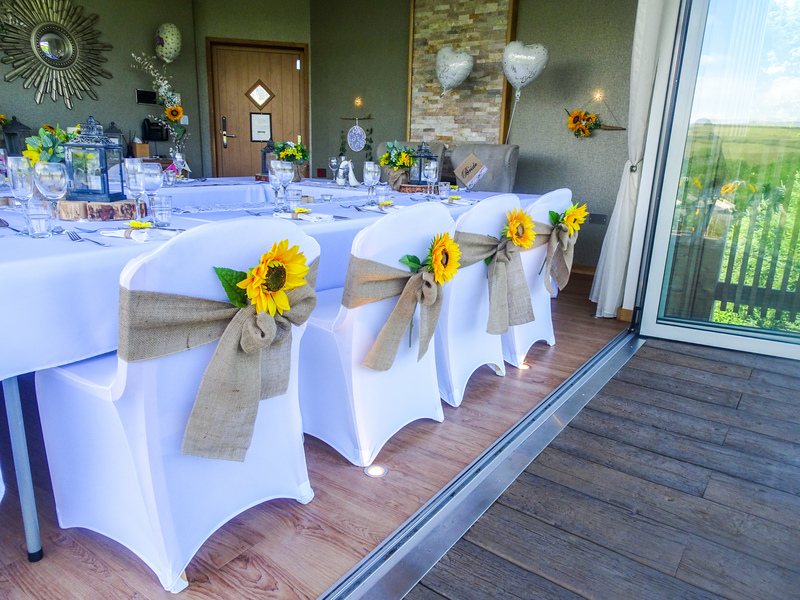 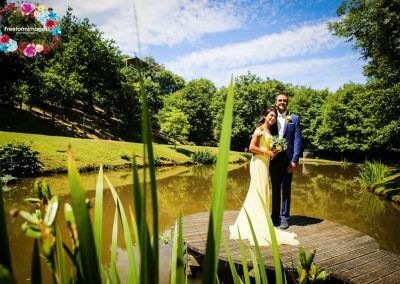 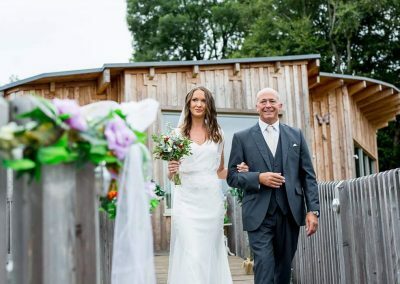 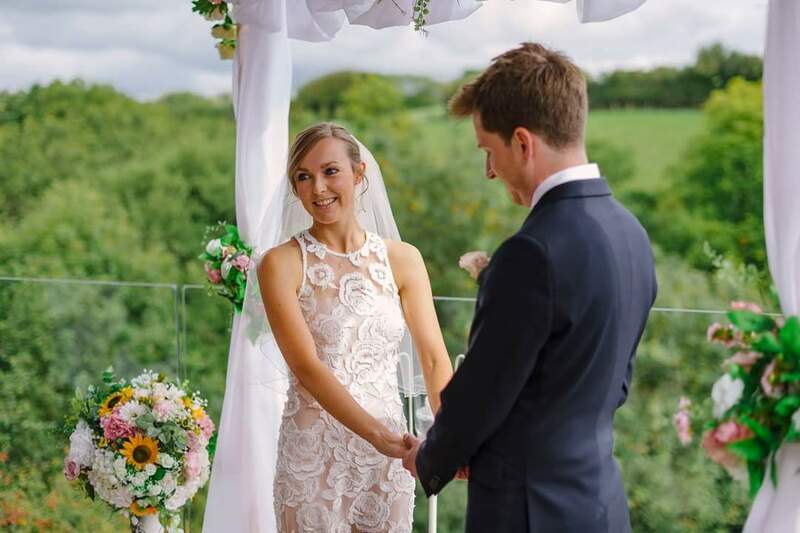 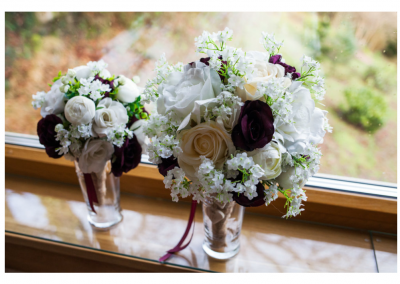 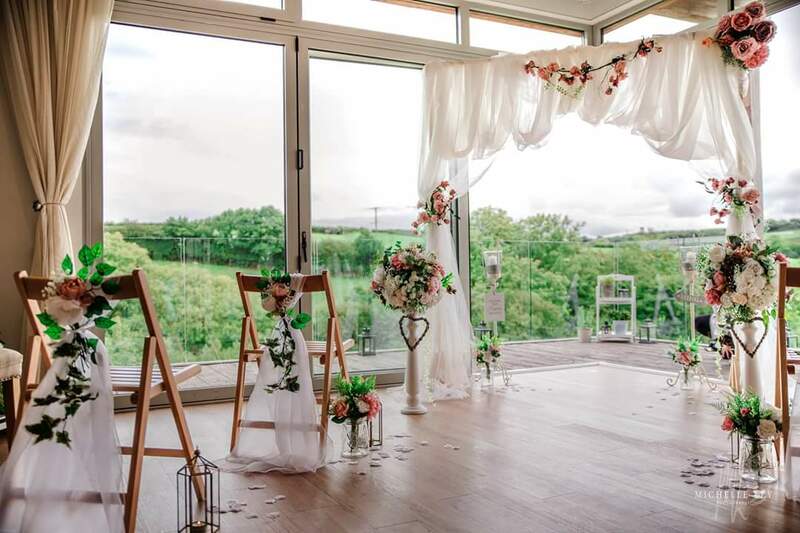 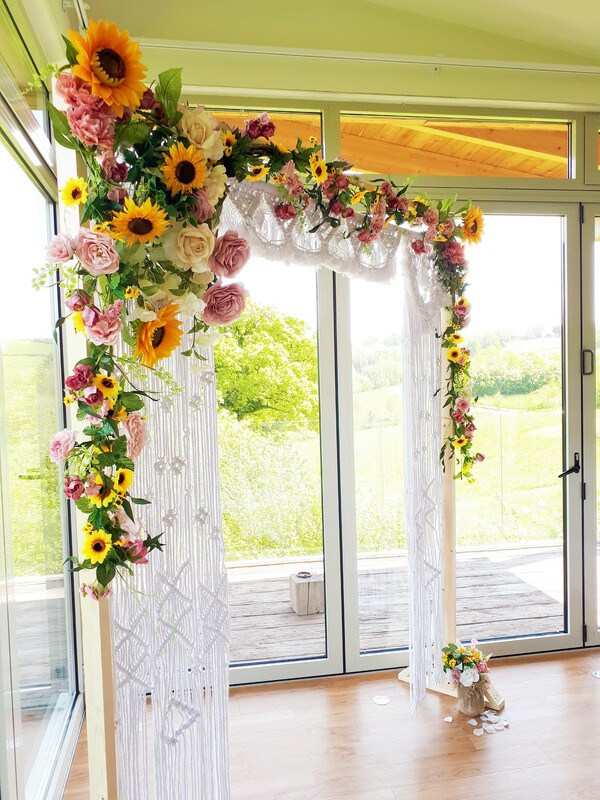 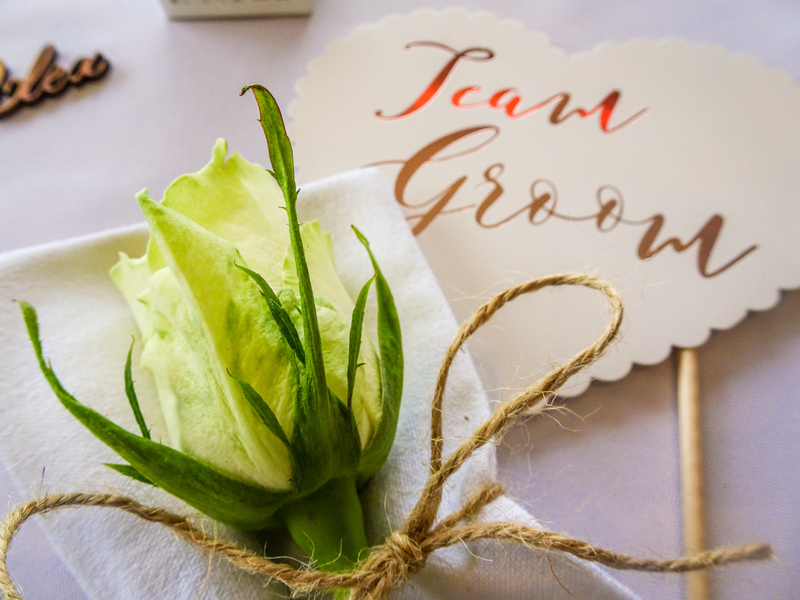 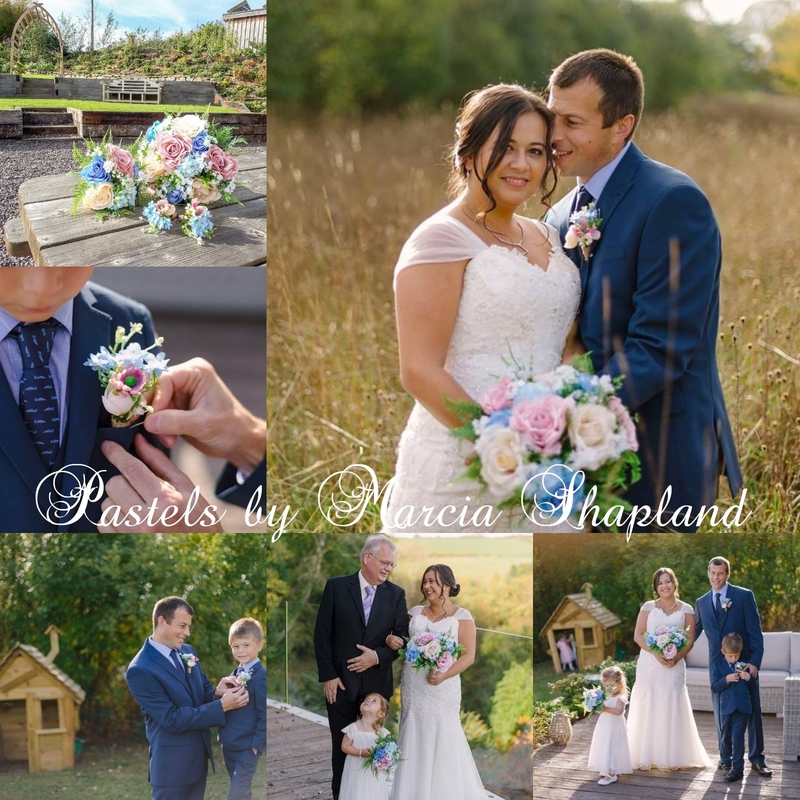 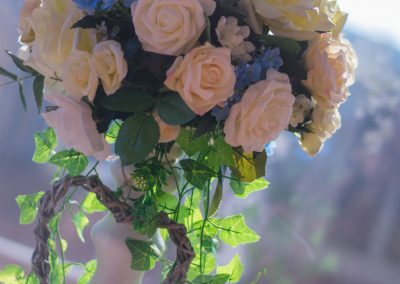 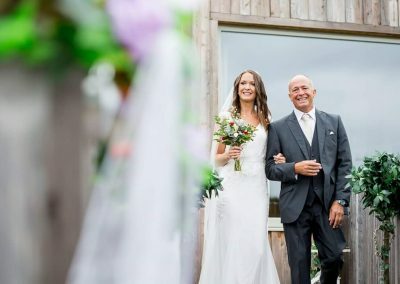 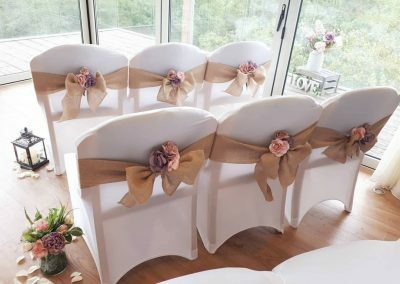 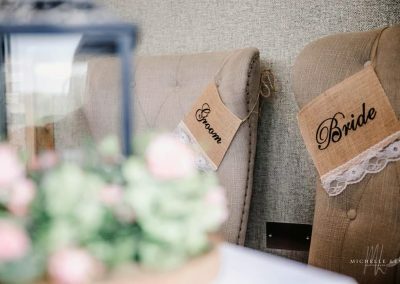 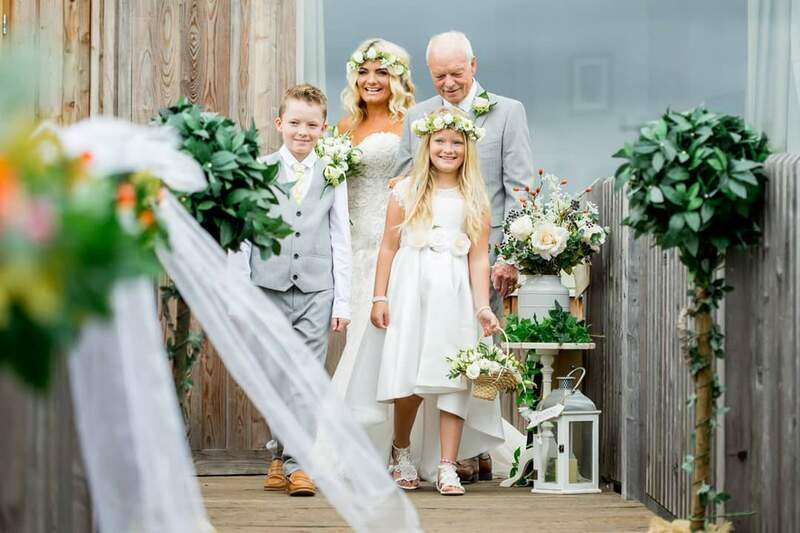 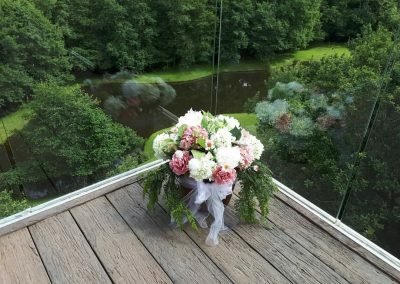 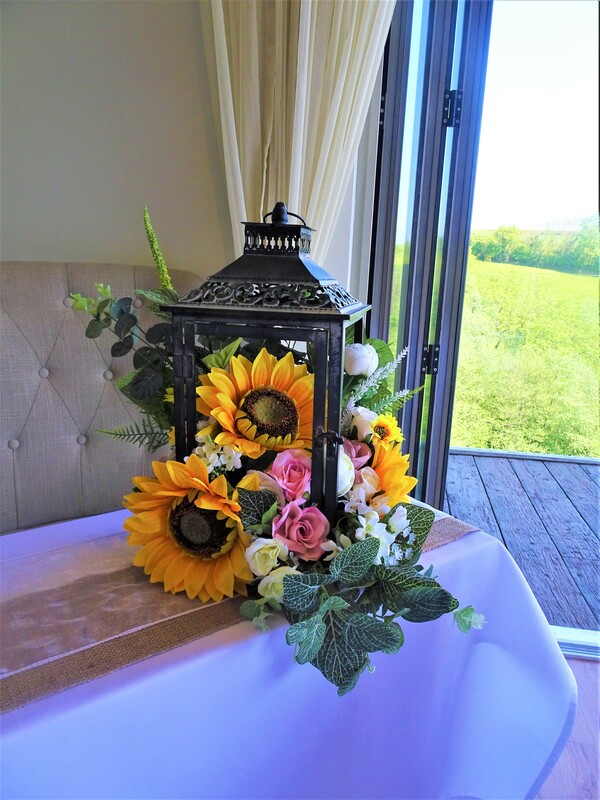 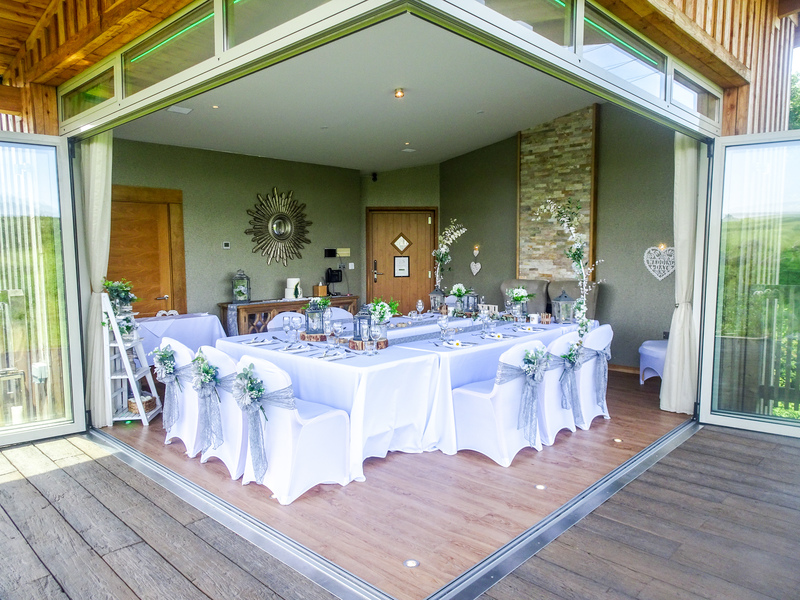 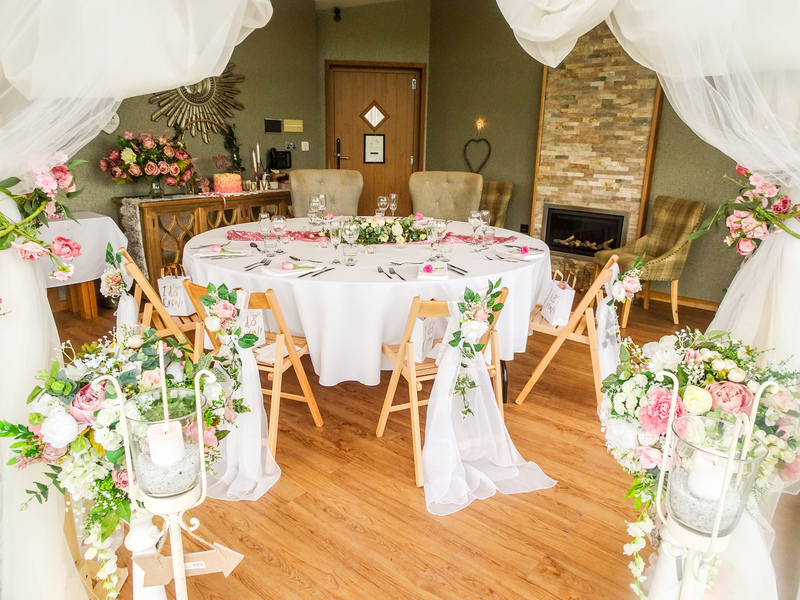 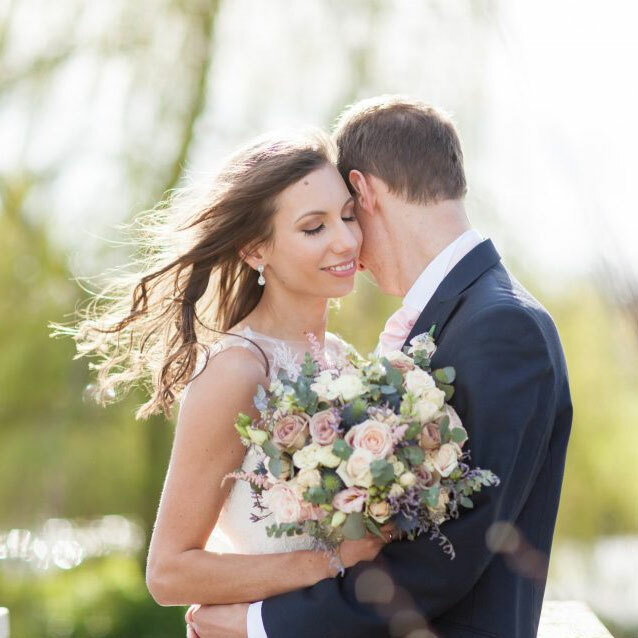 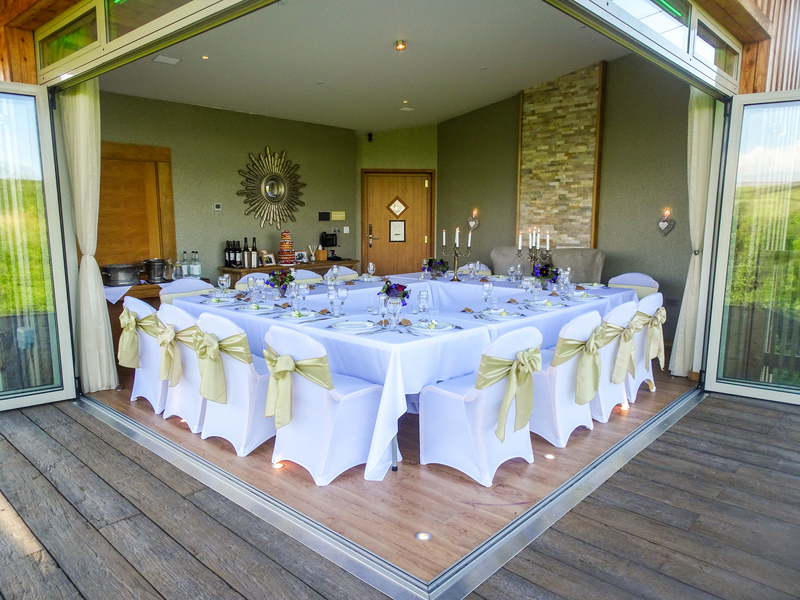 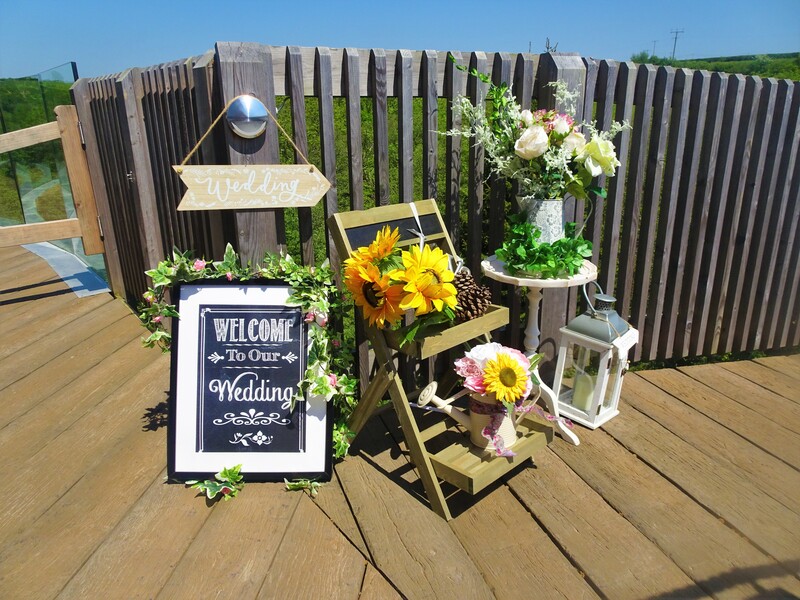 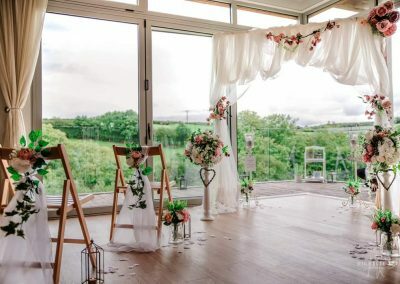 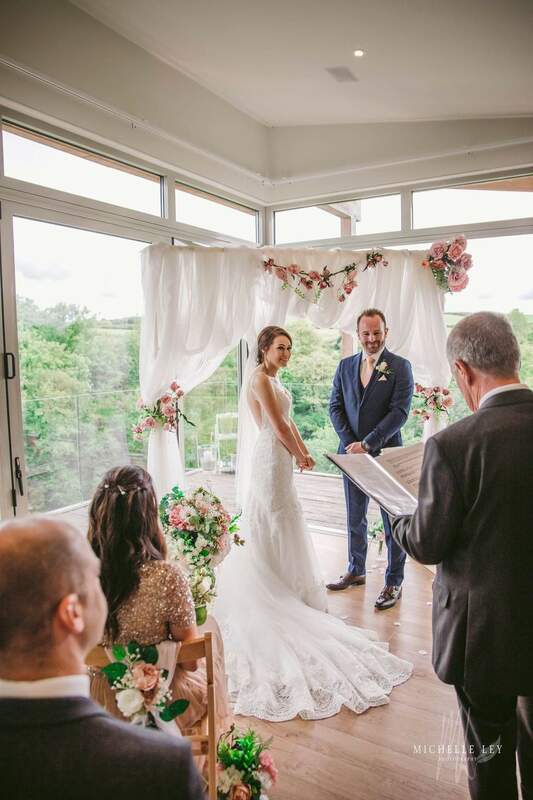 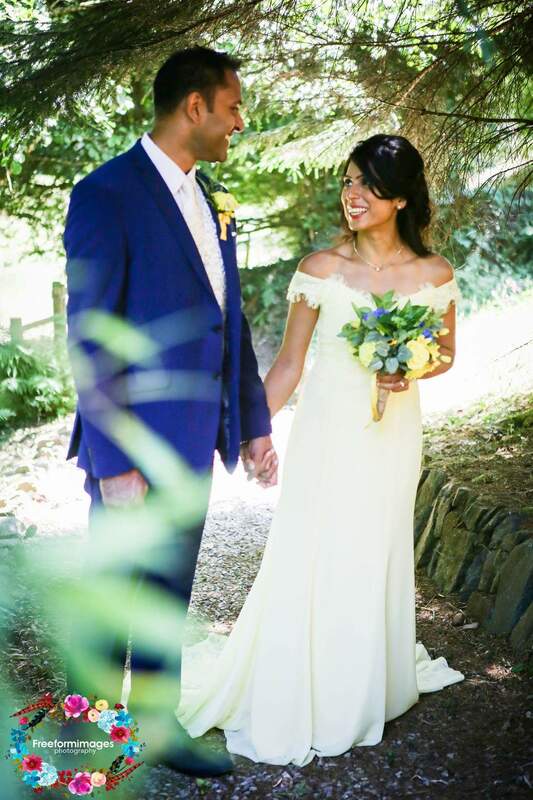 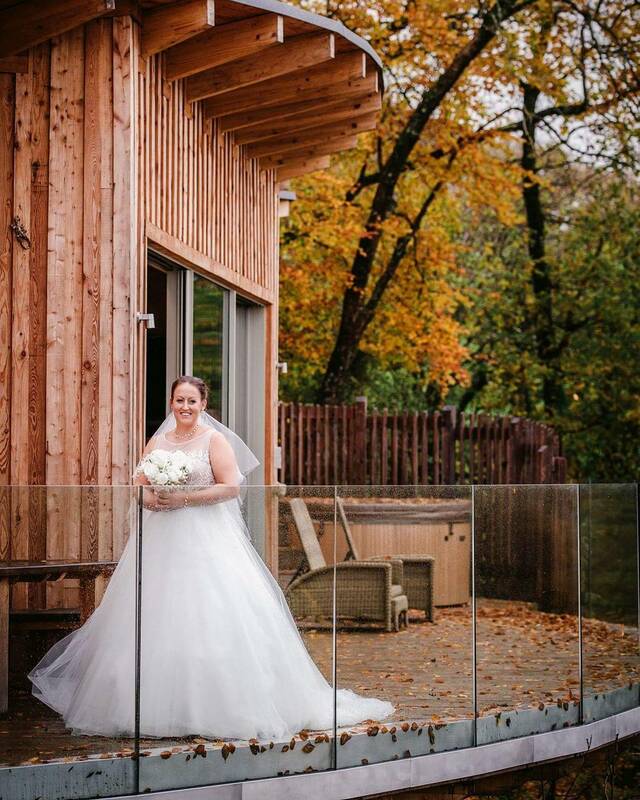 Whilst you are being looked after, I will be dressing your venue in the style and colours of your choice – including bouquets and button holes made from the finest silk. 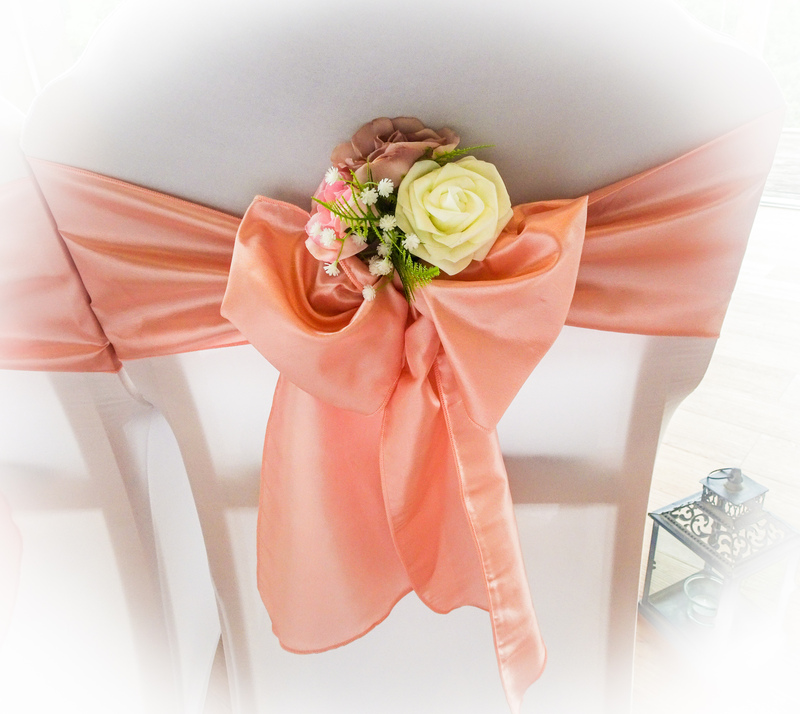 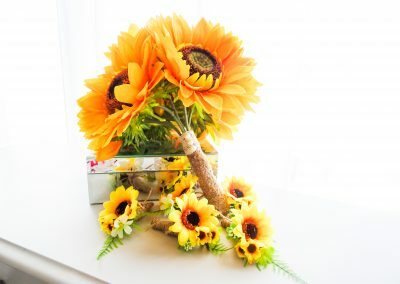 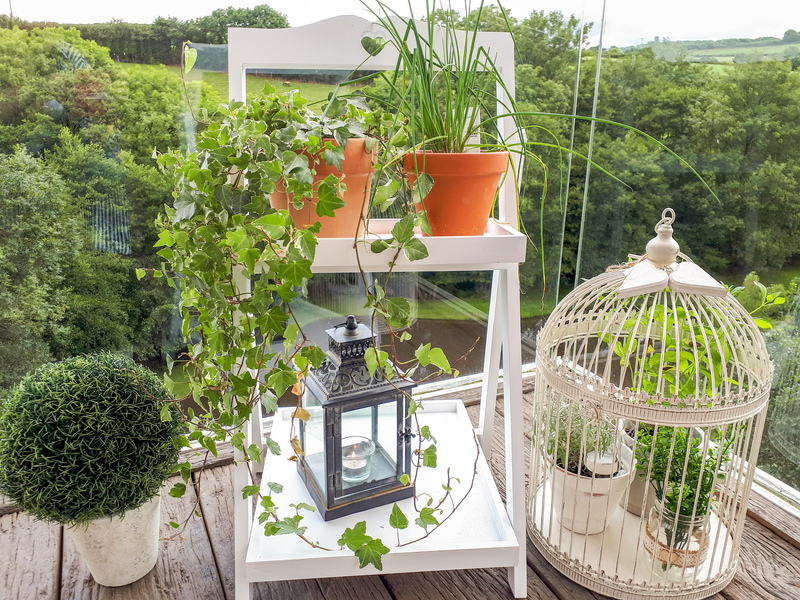 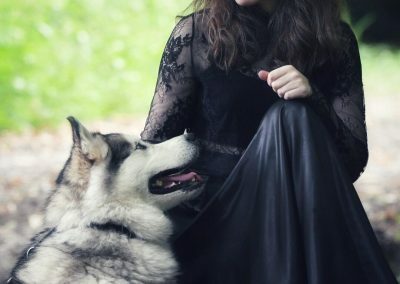 Not only do they look beautiful on the day, they provide an everlasting precious keepsake. 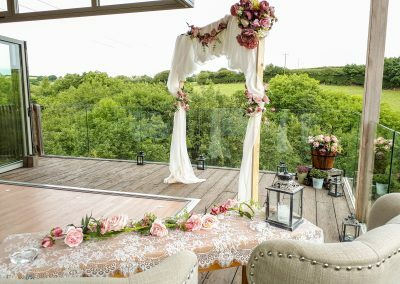 We go out of our way to provide a unique and bespoke experience to ensure that your wedding day dreams come true! 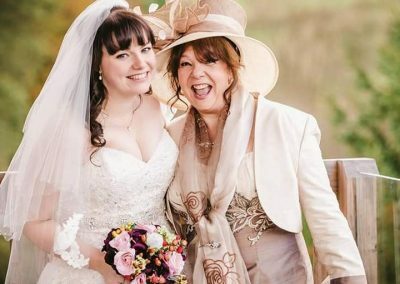 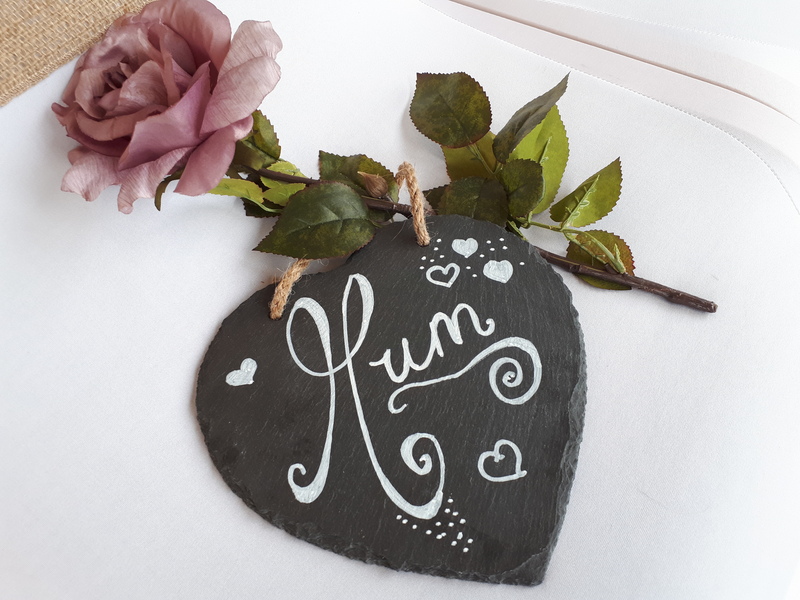 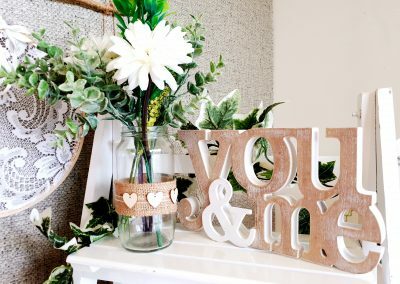 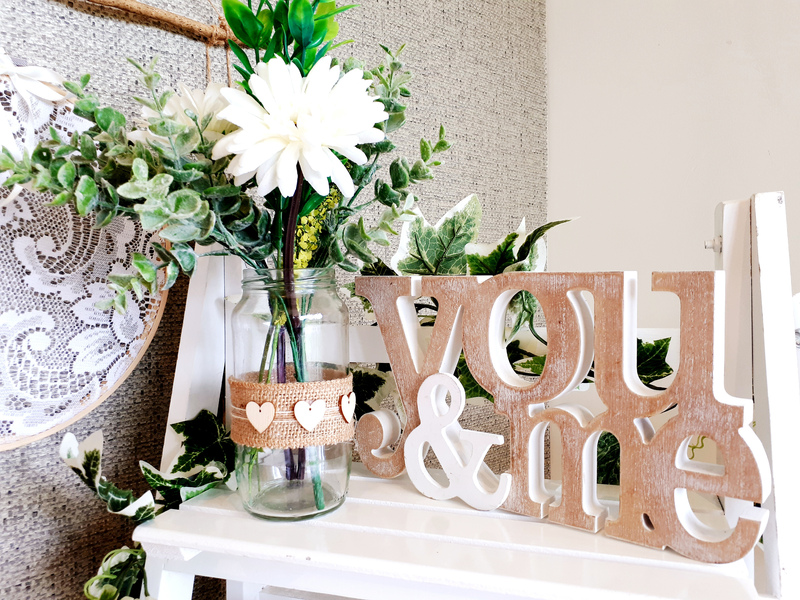 Don’t just take my word for it – here are some words left by my happy brides & other previous customers! 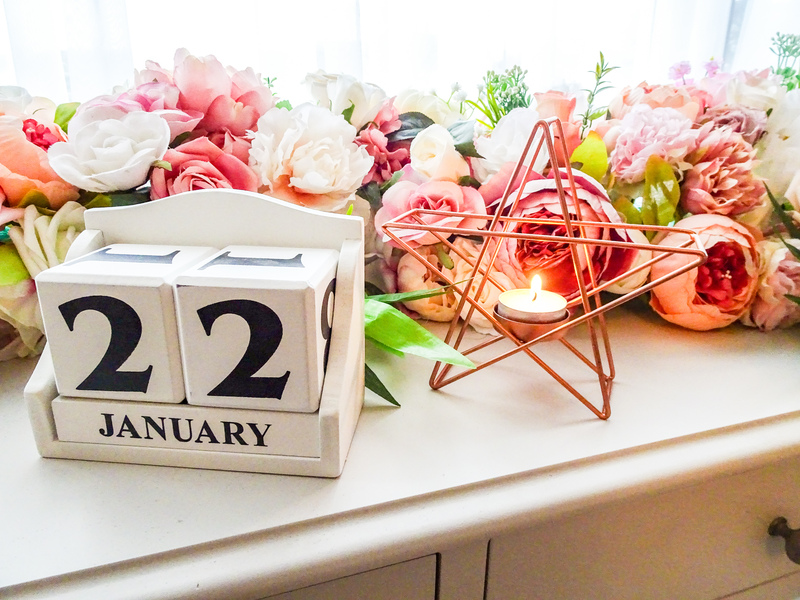 Everywhere looked perfect – the entire day was so stress free & beautiful! 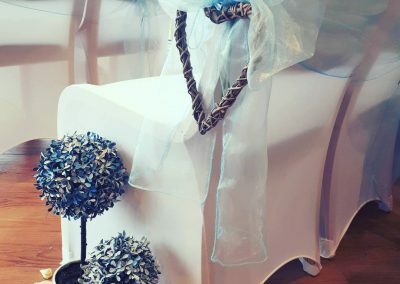 You did an amazing job, thank you so much for putting everything together so perfectly! 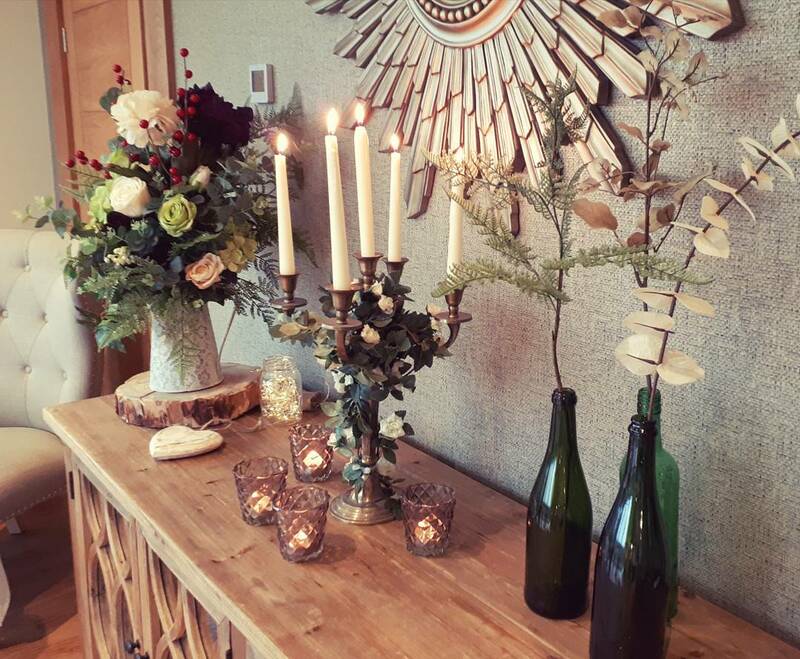 Thank you so much for a perfect evening. 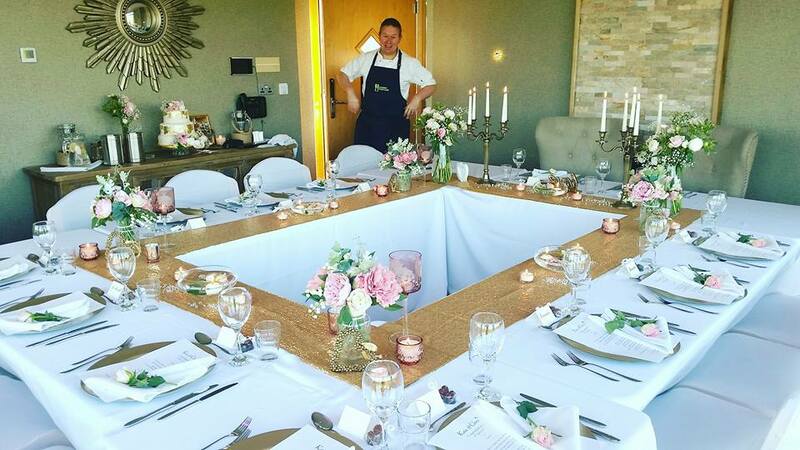 The food was stunning and so delicious – our guests loved all of the dishes! 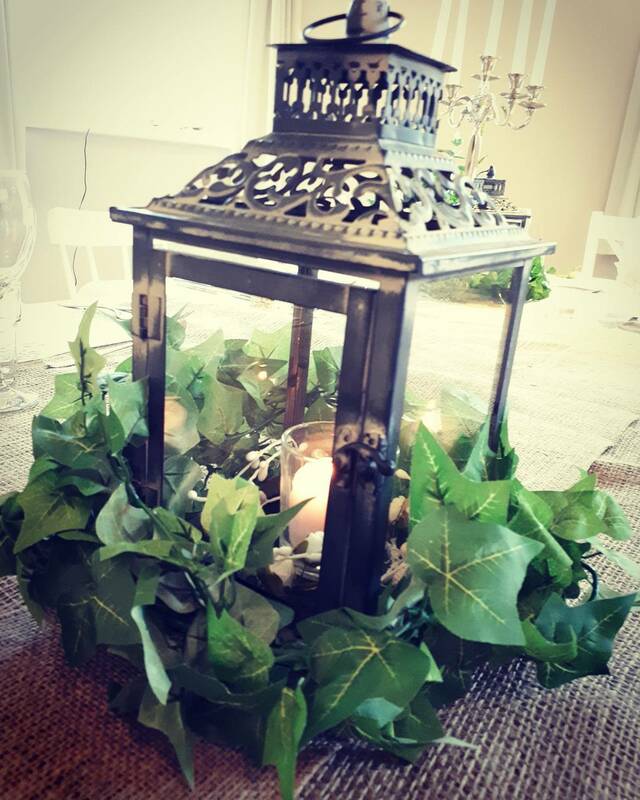 Thanks Marcia for decorating The Nest – it looked beautiful! 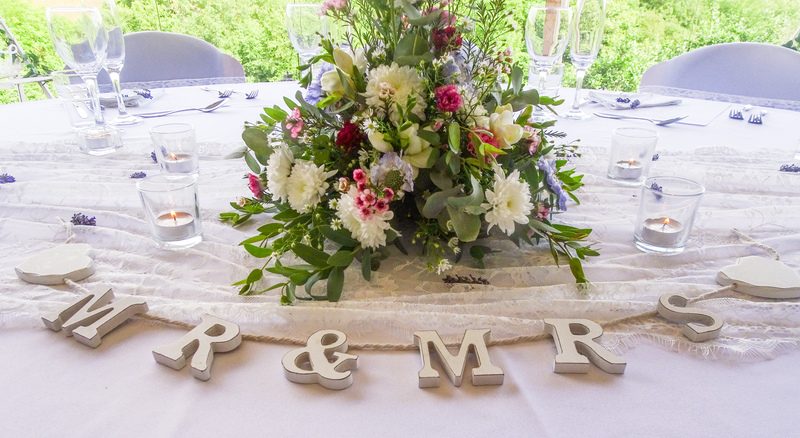 Thank you for everything Marcia – the decorations were so beautiful! 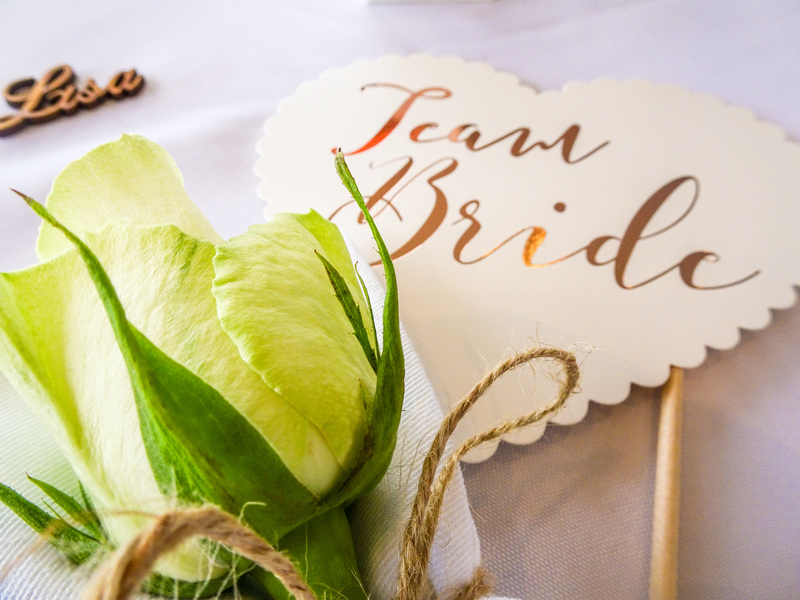 You have been so incredibly helpful throughout the whole process – you’re worth your weight in gold! 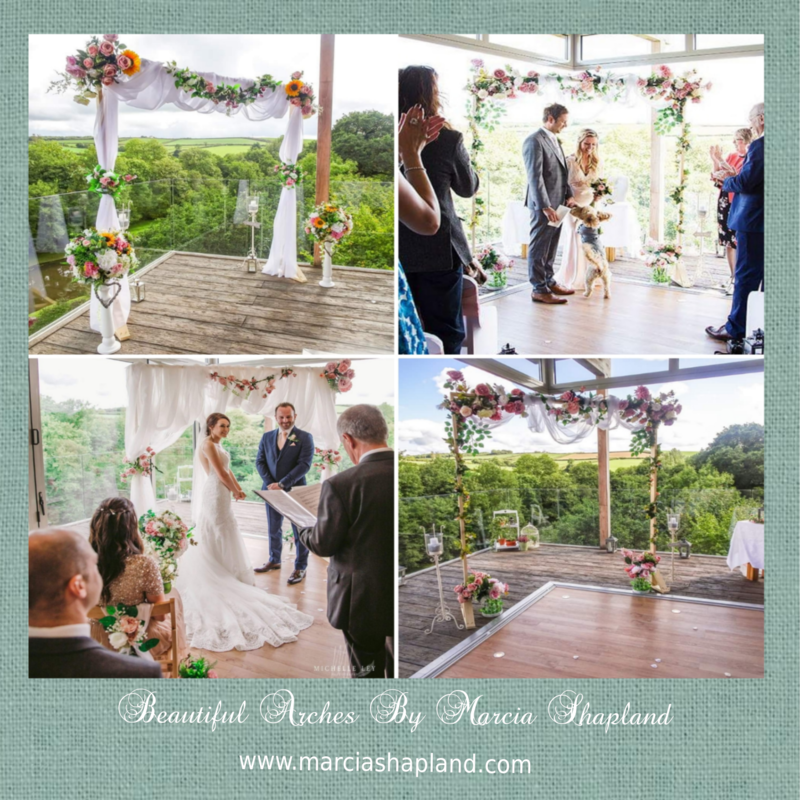 With only a few weeks notice Marcia absolutely transformed the already beautiful venue into the perfect wedding setting! 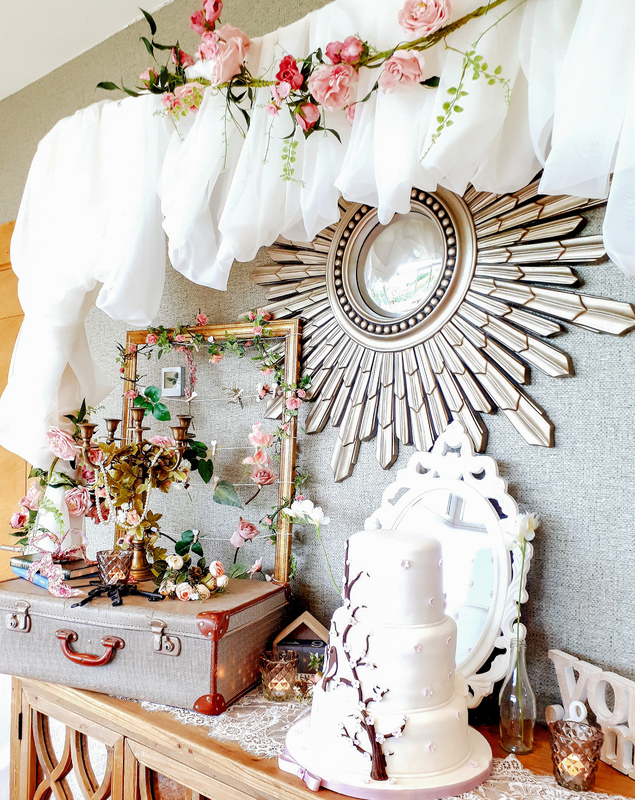 All our guests were blown away by the beautiful decorations as were we! 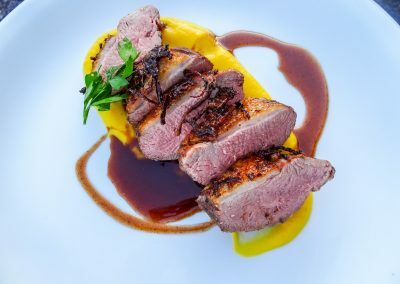 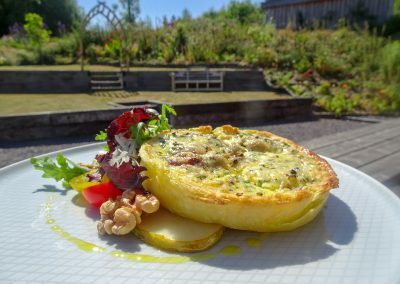 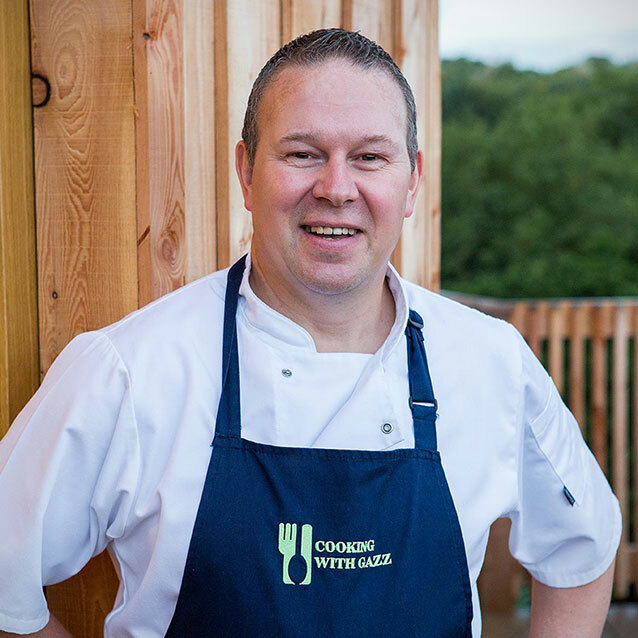 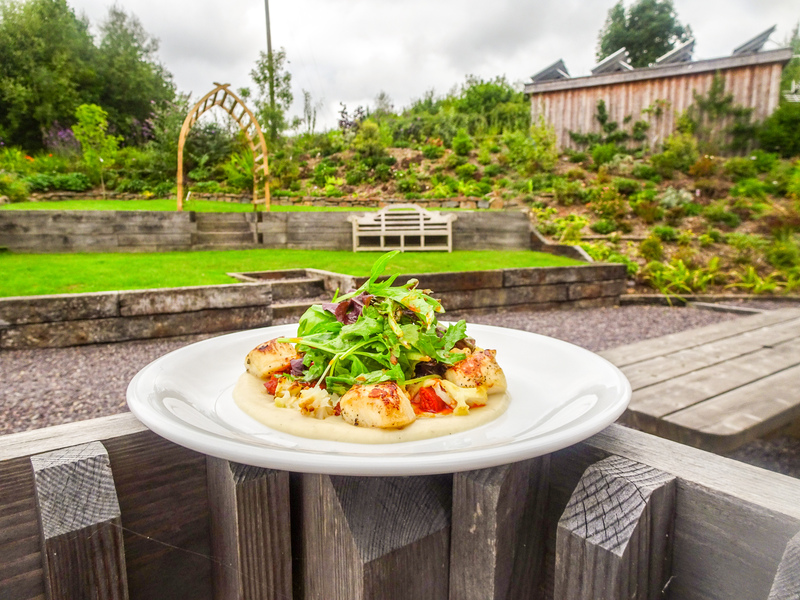 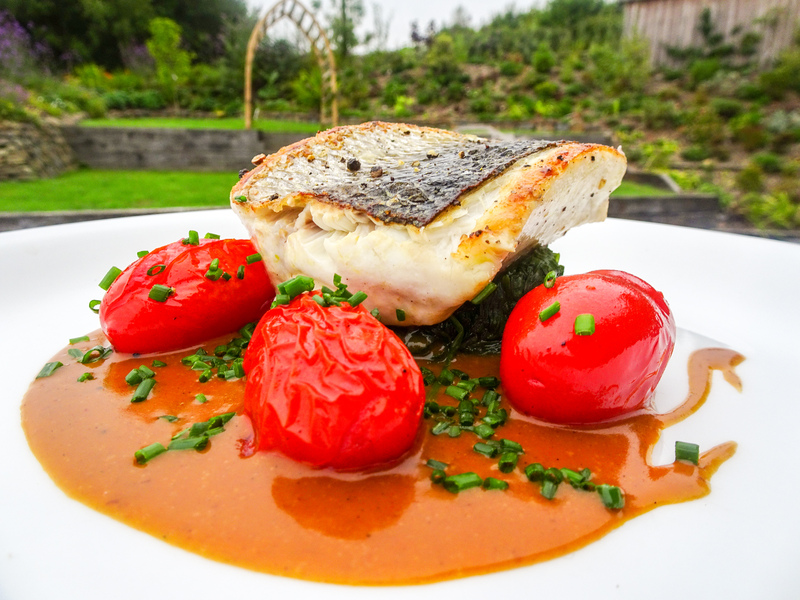 Professional chef Gary Shapland offers a completely bespoke catering package for any wedding, function or event. 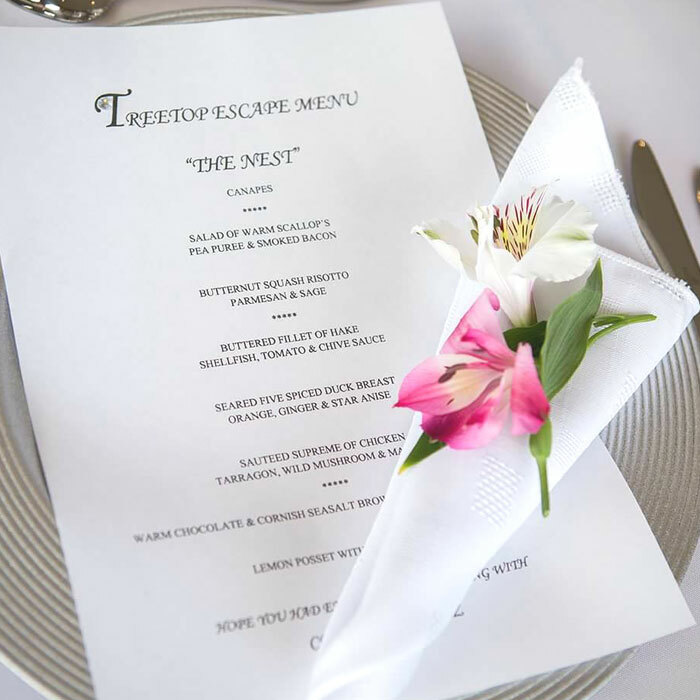 His food, menus & service will ensure that your guests have the best possible dining experience. 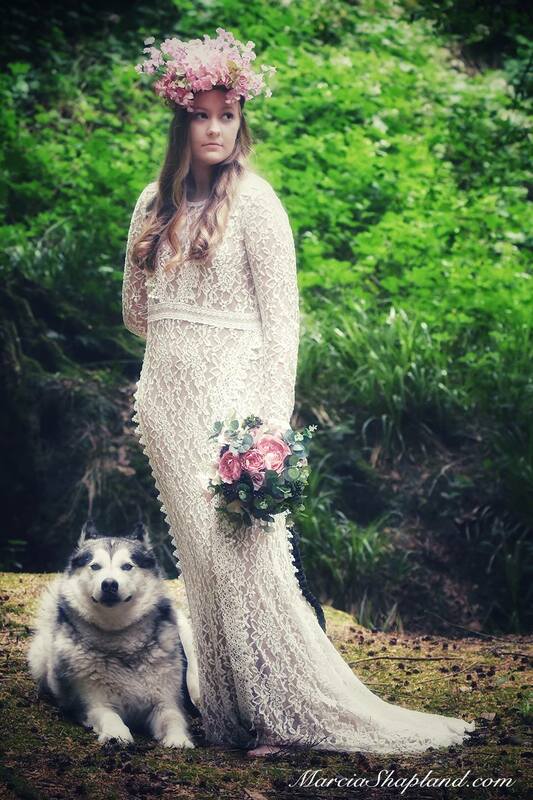 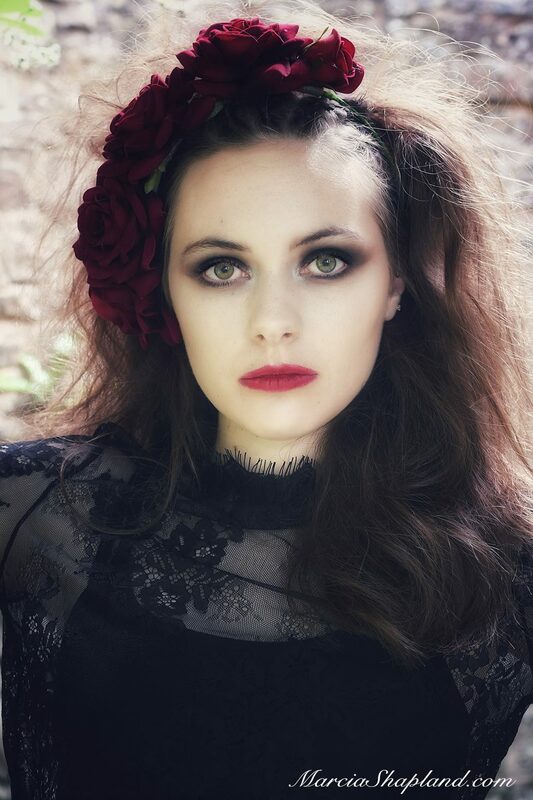 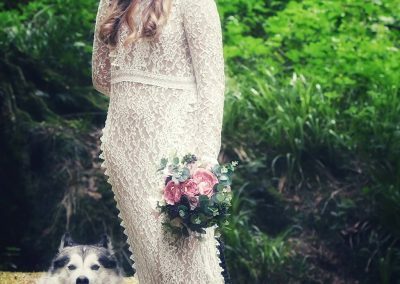 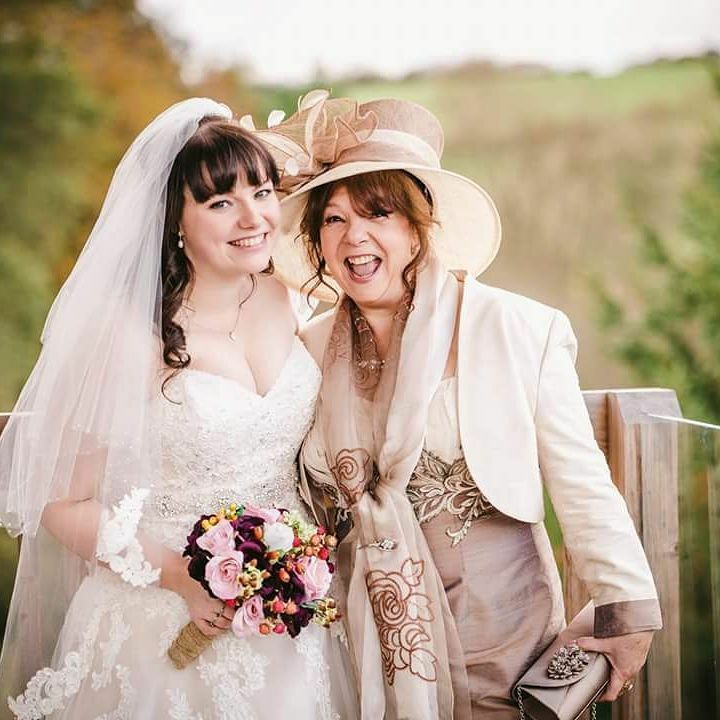 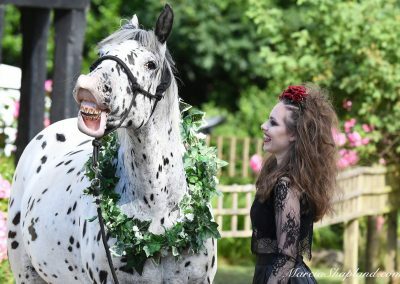 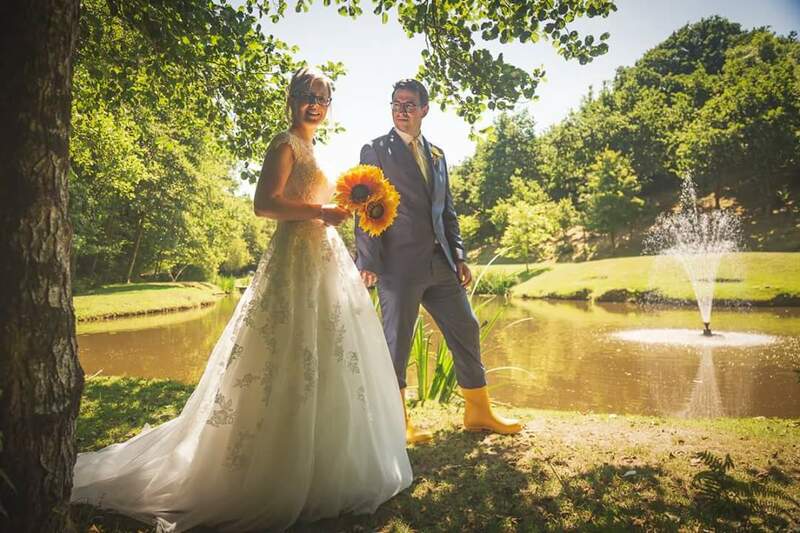 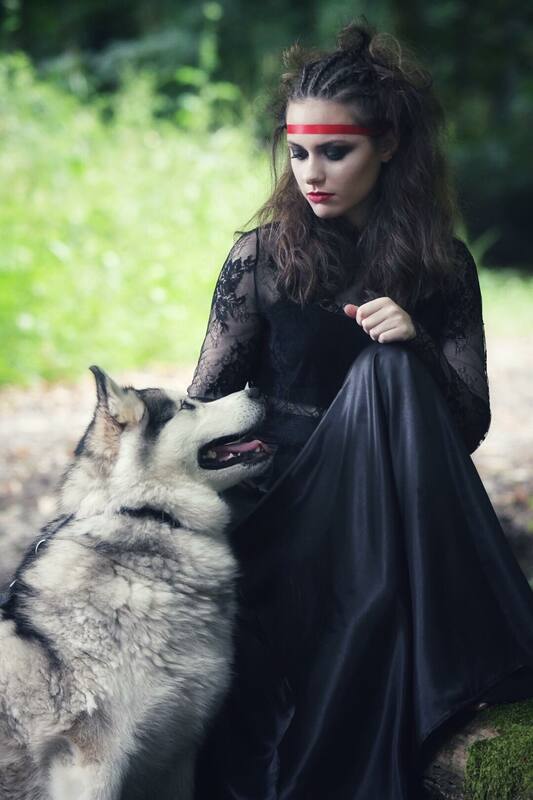 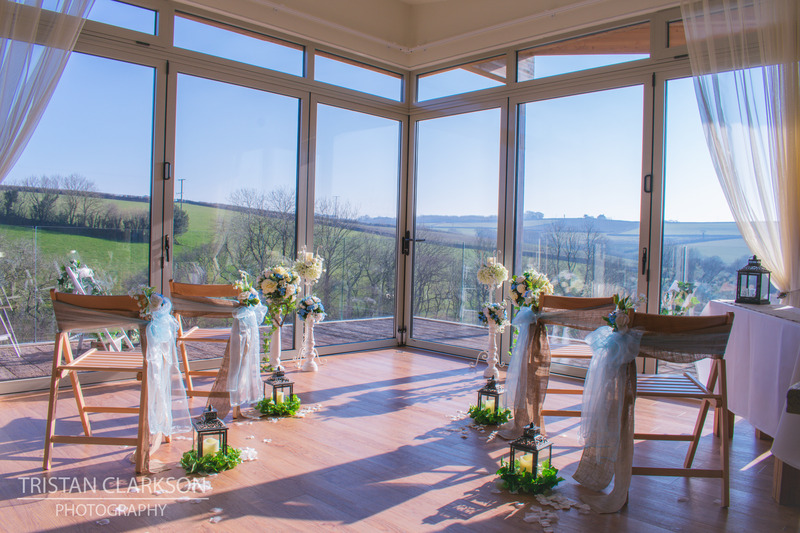 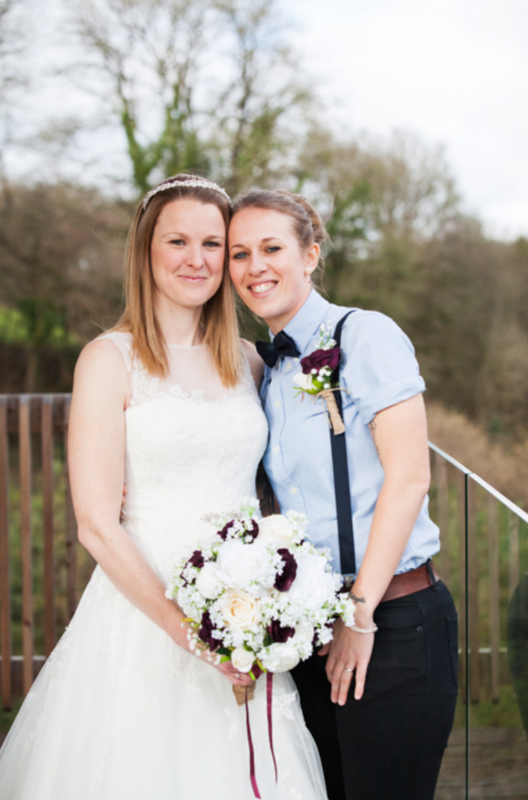 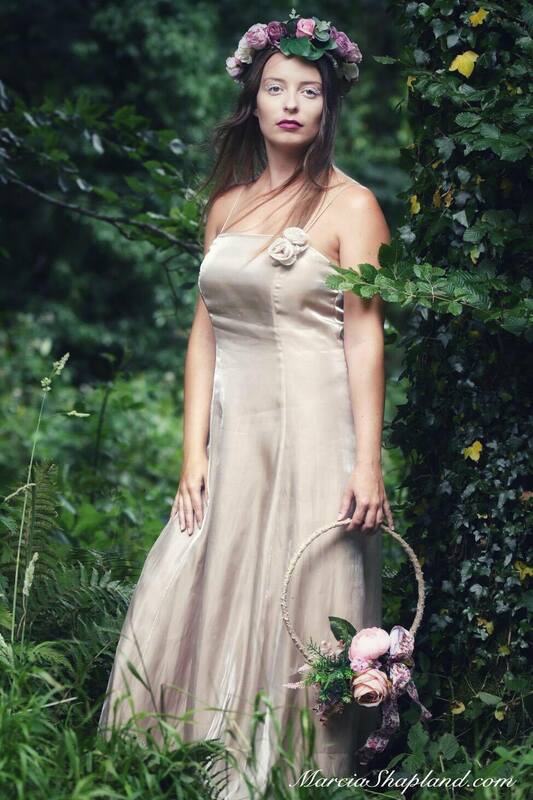 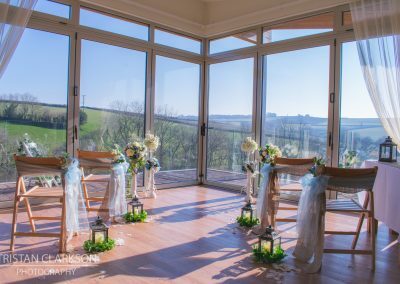 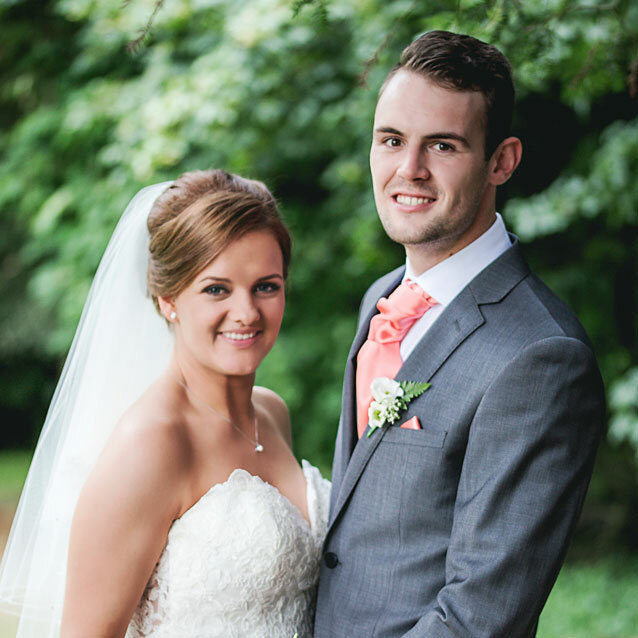 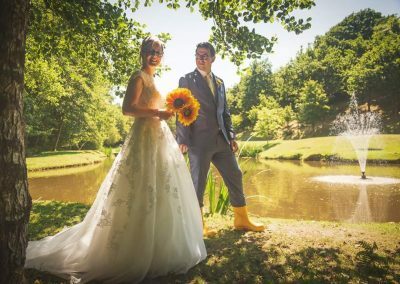 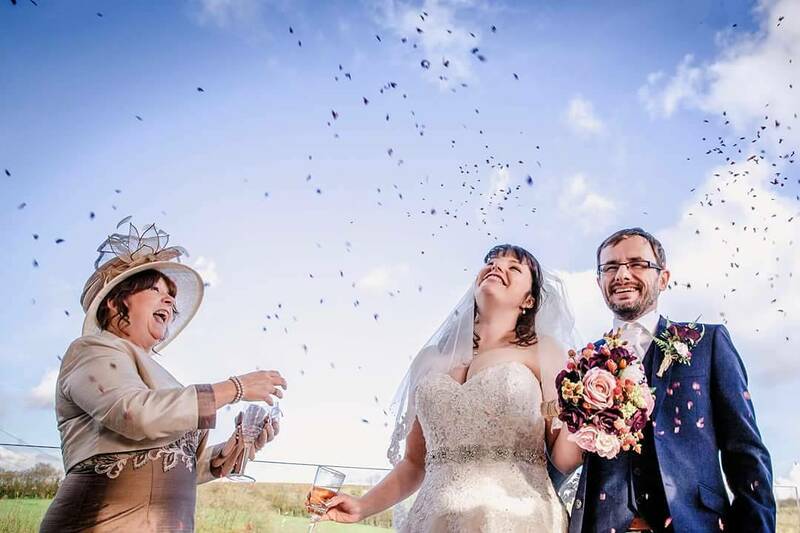 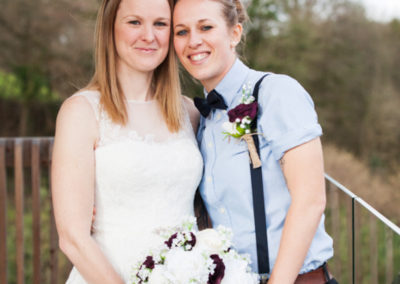 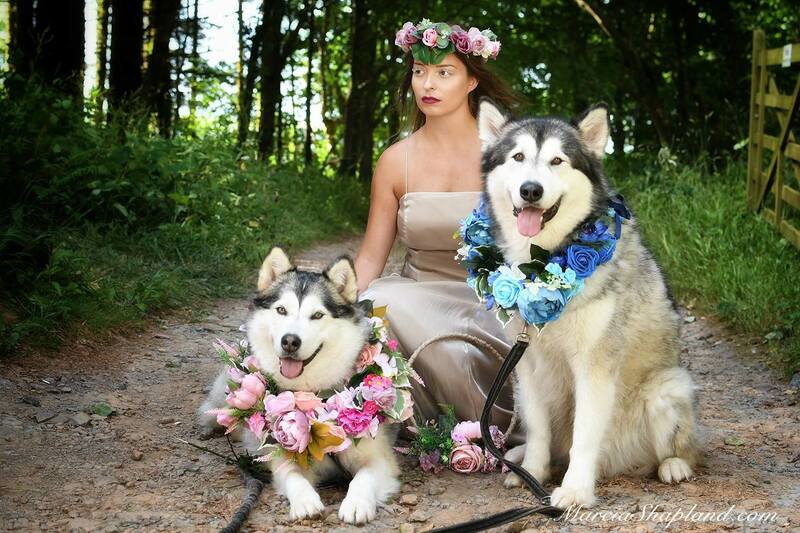 Rebecca is an extremely talented photographer offering creative wedding photography in the Westcountry. 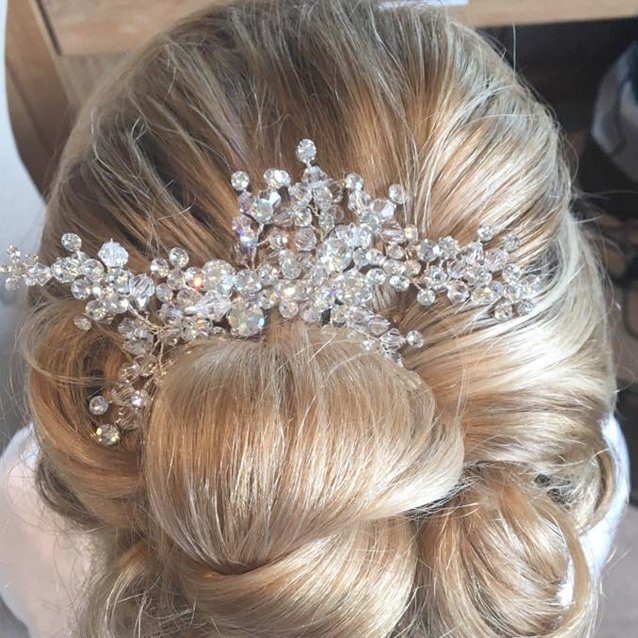 Cathy Procter is a professional beauty therapist specialising in bridal make-up, bridal hair & beauty therapy treatments. 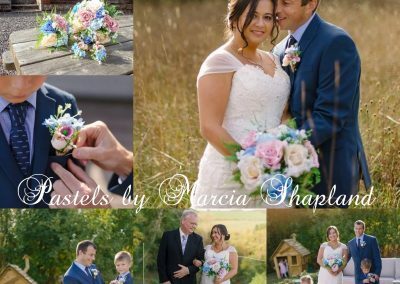 have no doubt that choosing Michelle to photograph your special day would only result in capturing the most precious of memories to cherish forever! 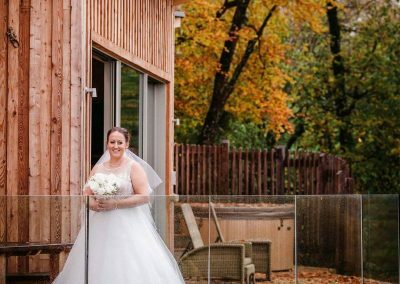 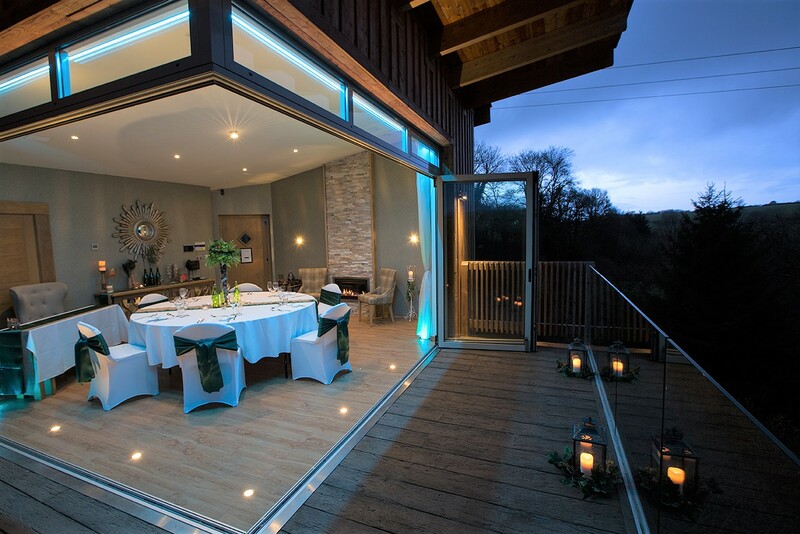 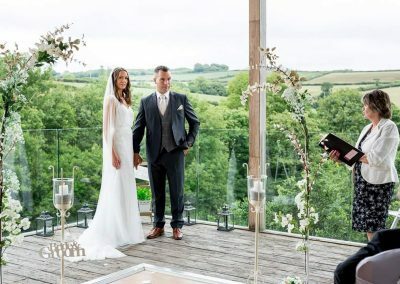 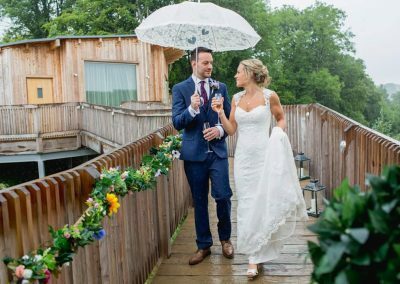 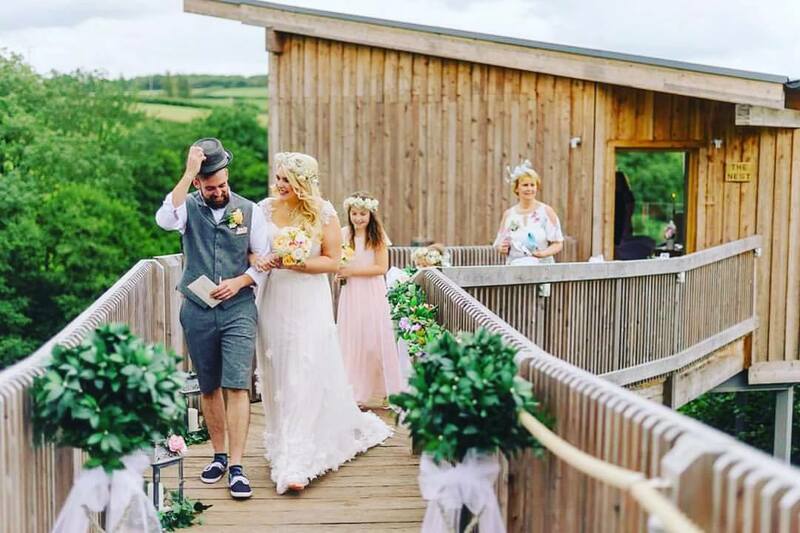 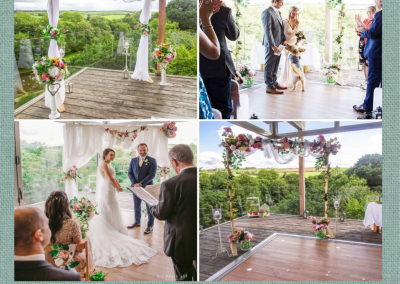 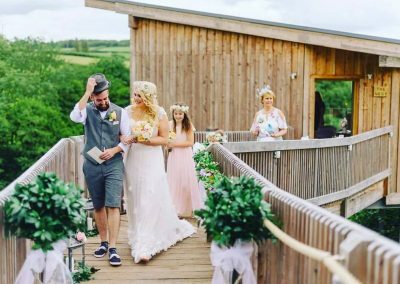 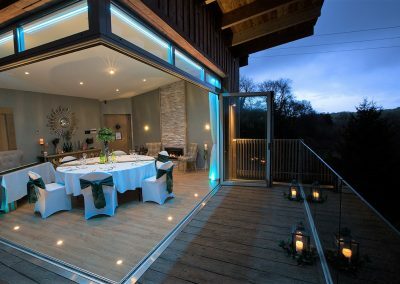 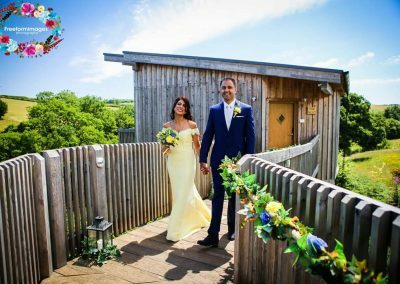 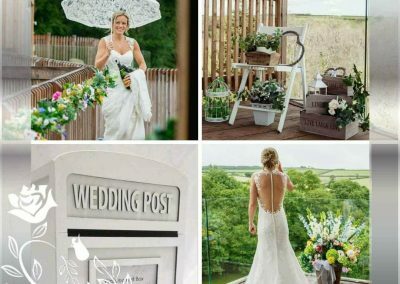 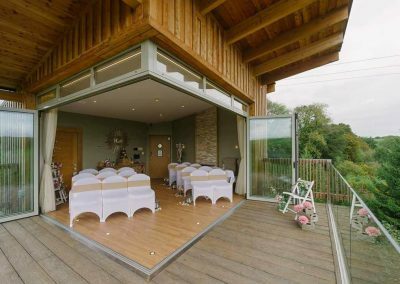 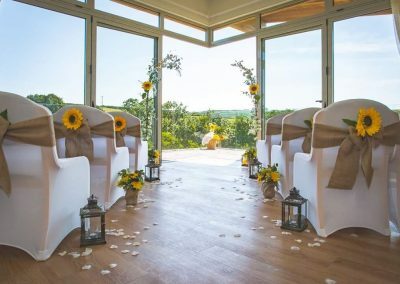 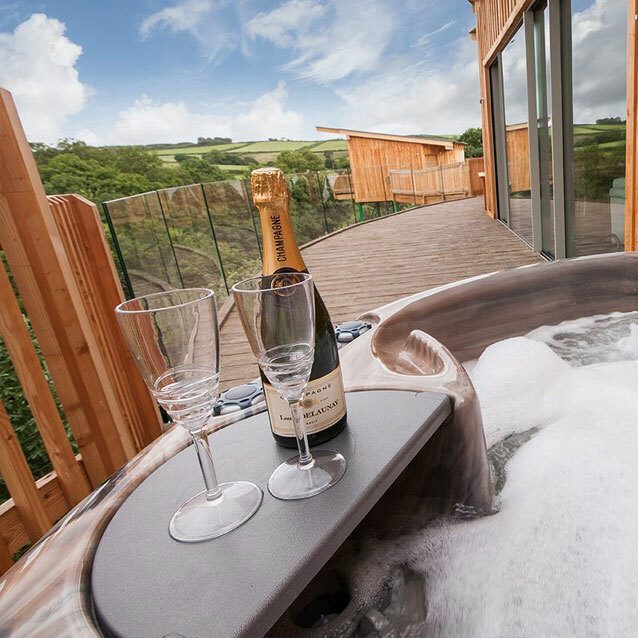 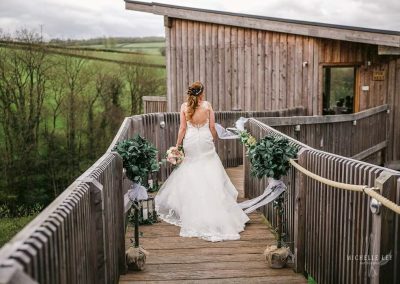 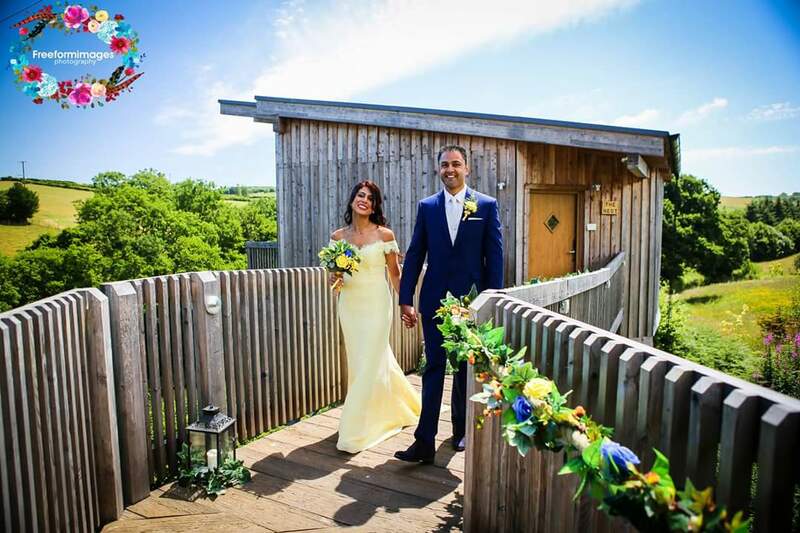 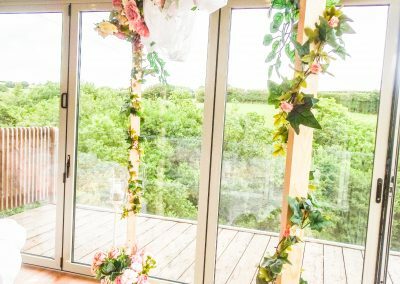 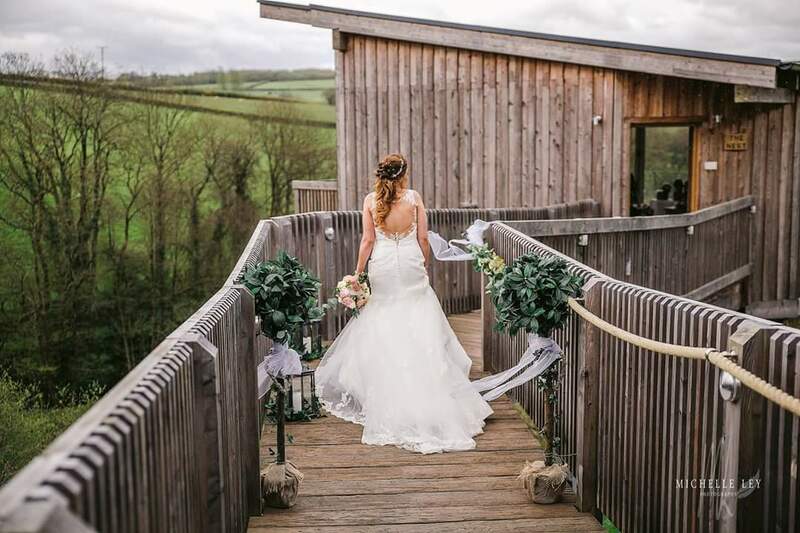 A luxurious hideaway haven and unique wedding venue perched above and amongst the trees on a beautiful private estate in North Devon. 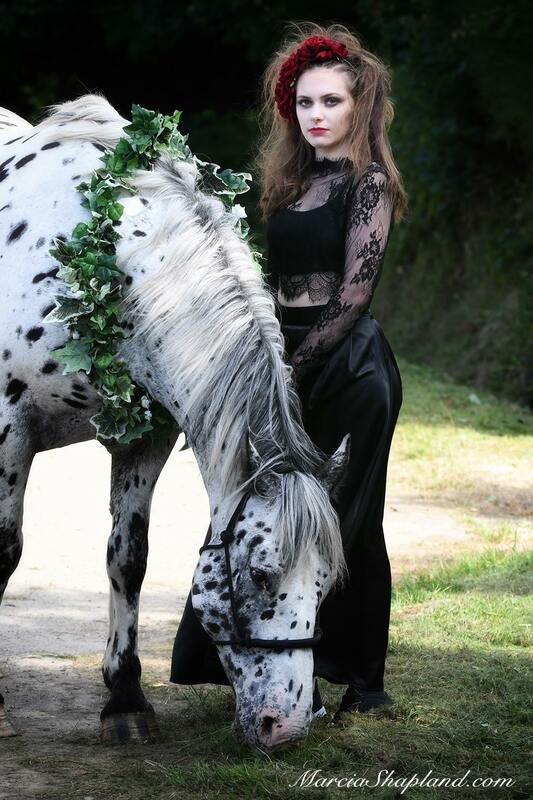 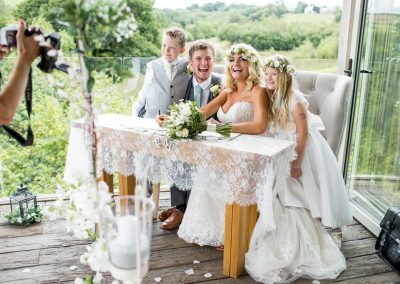 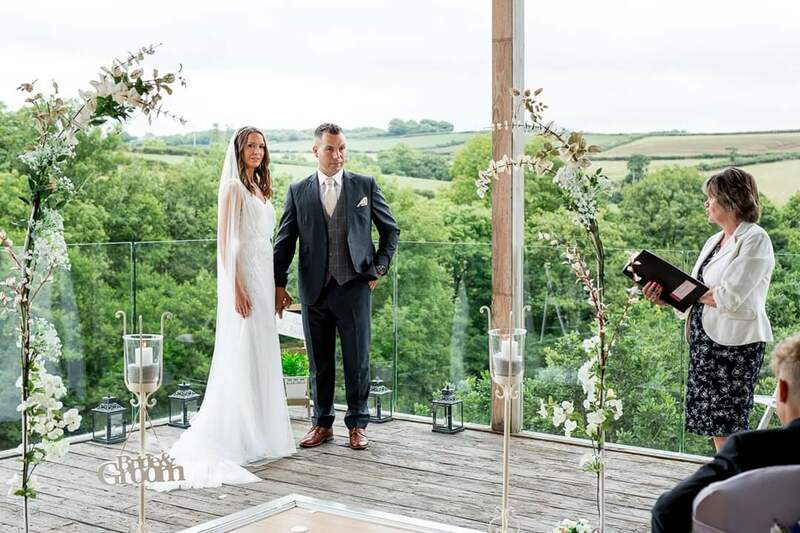 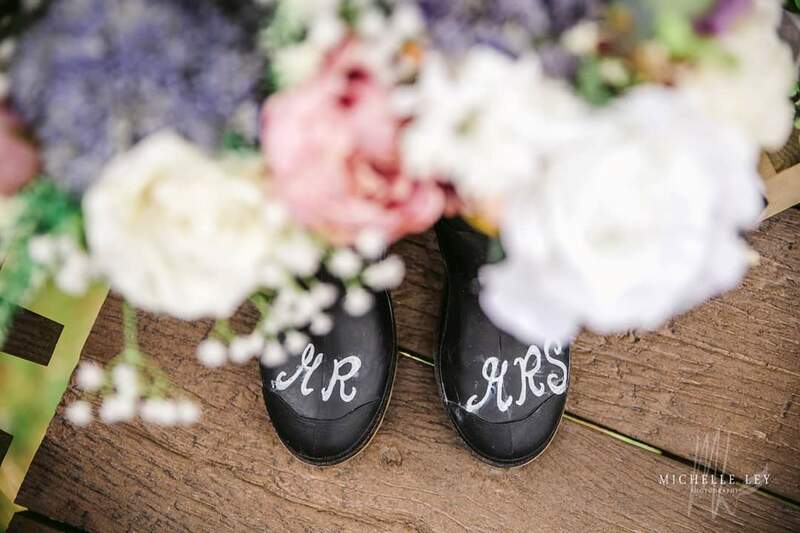 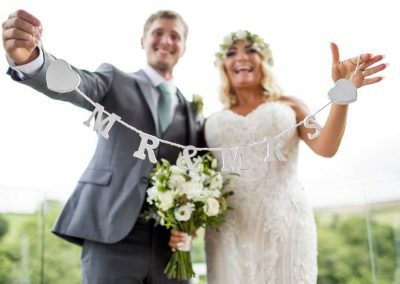 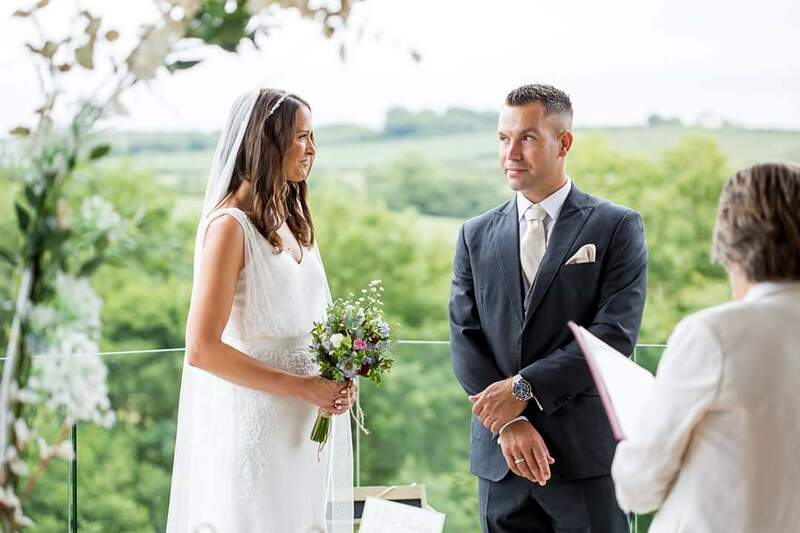 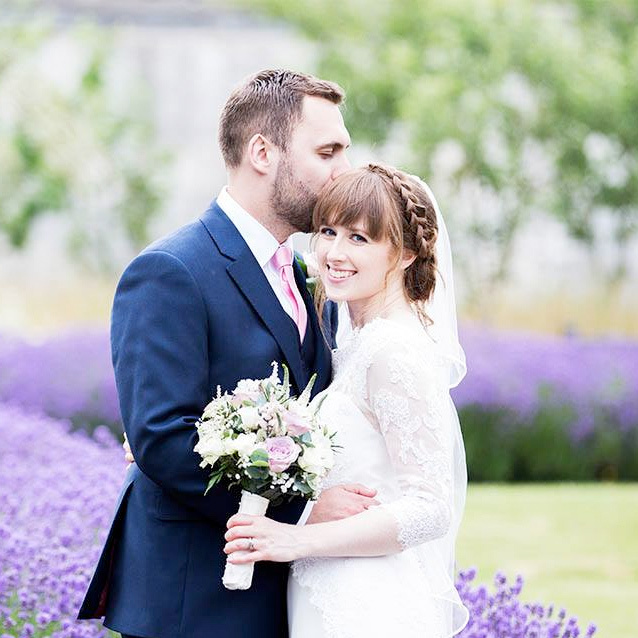 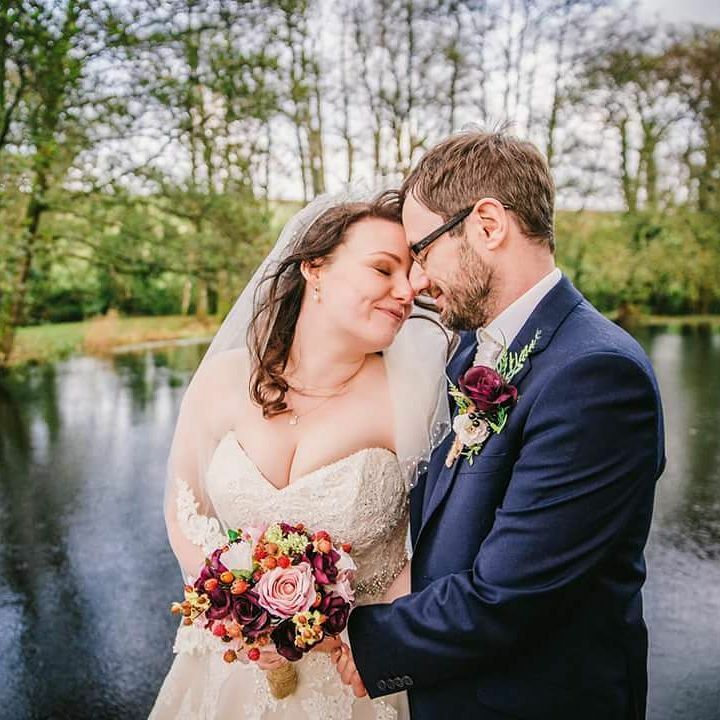 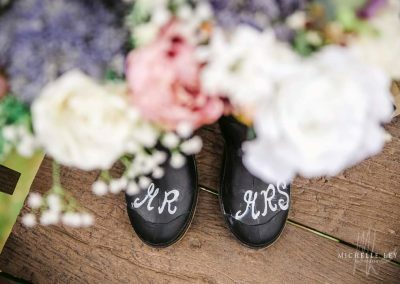 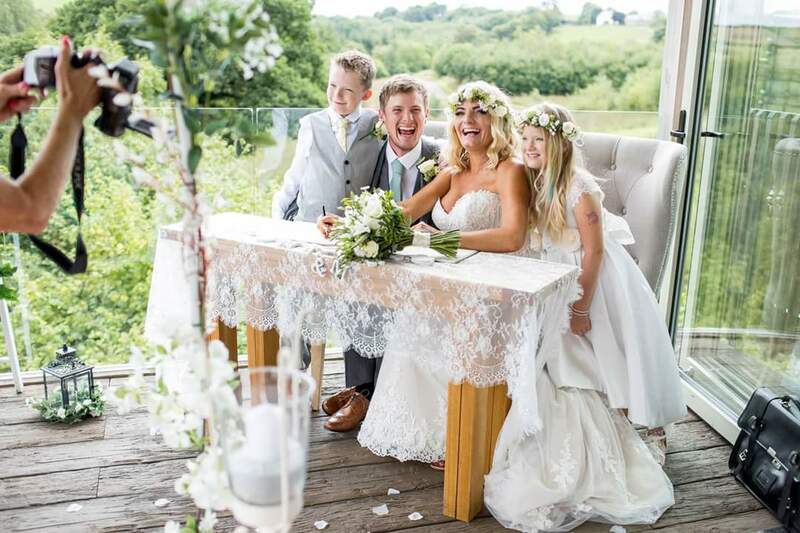 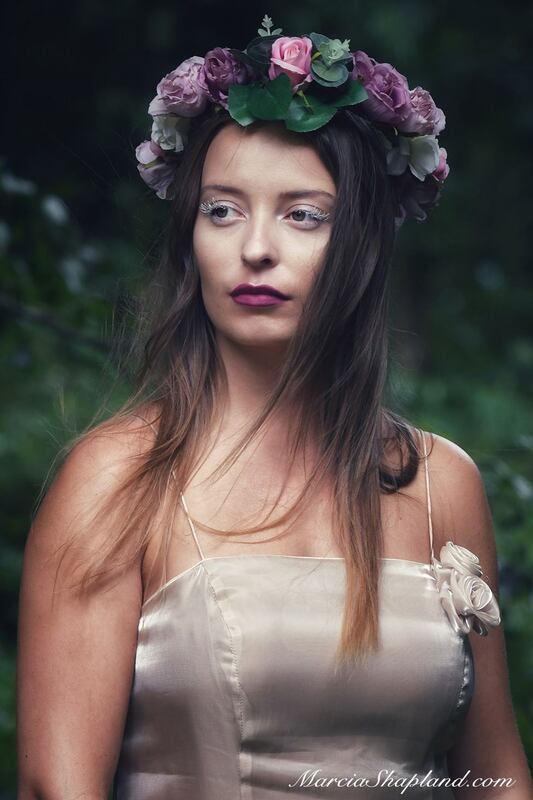 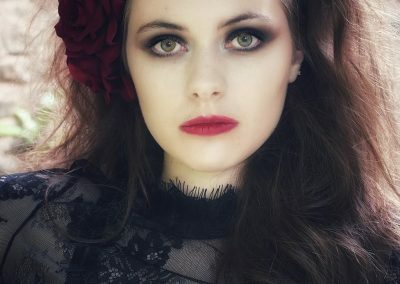 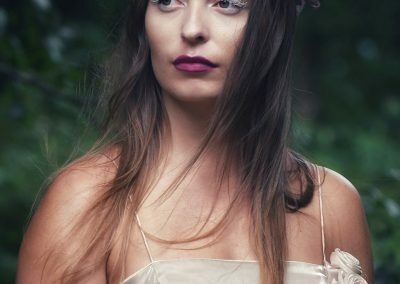 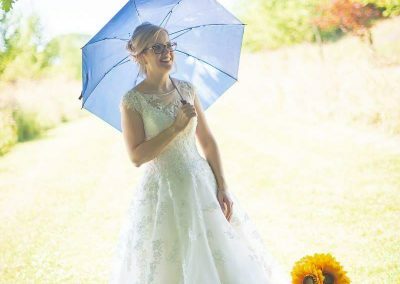 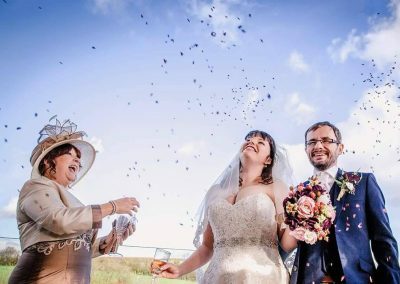 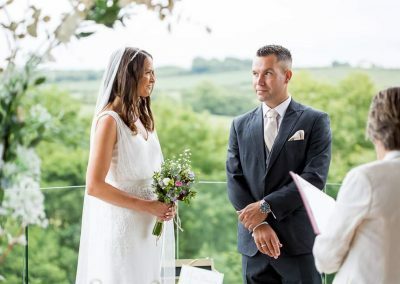 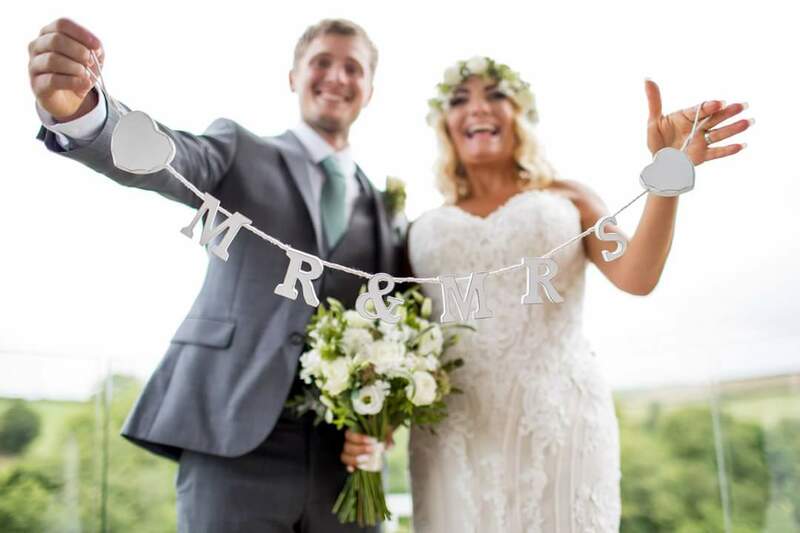 Based in Exeter, Rebecca is a wedding photographer specialising making use of available light, meaning your special is captured in a natural yet creative form.